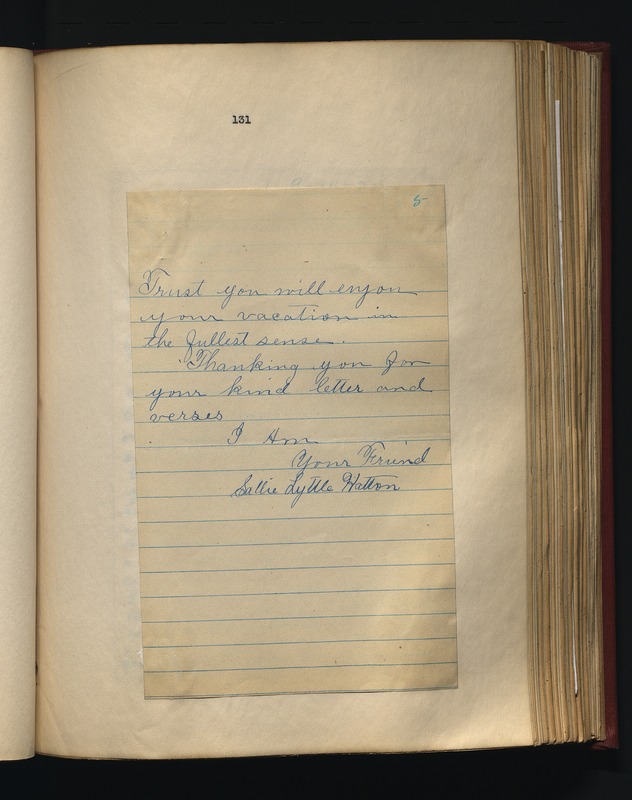 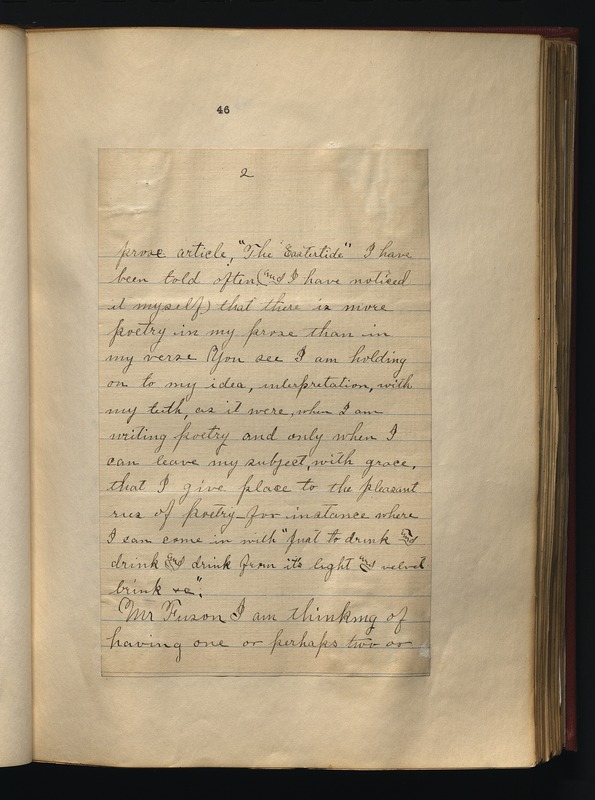 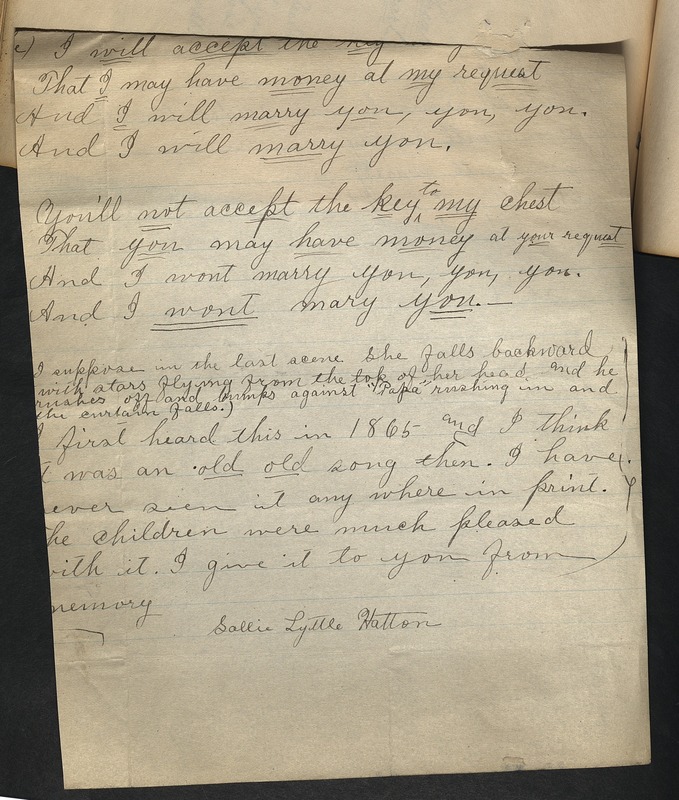 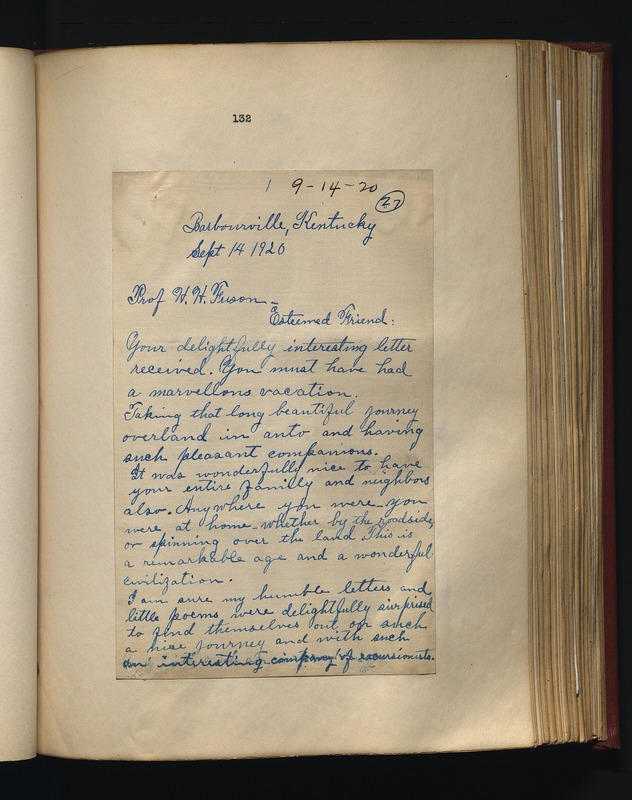 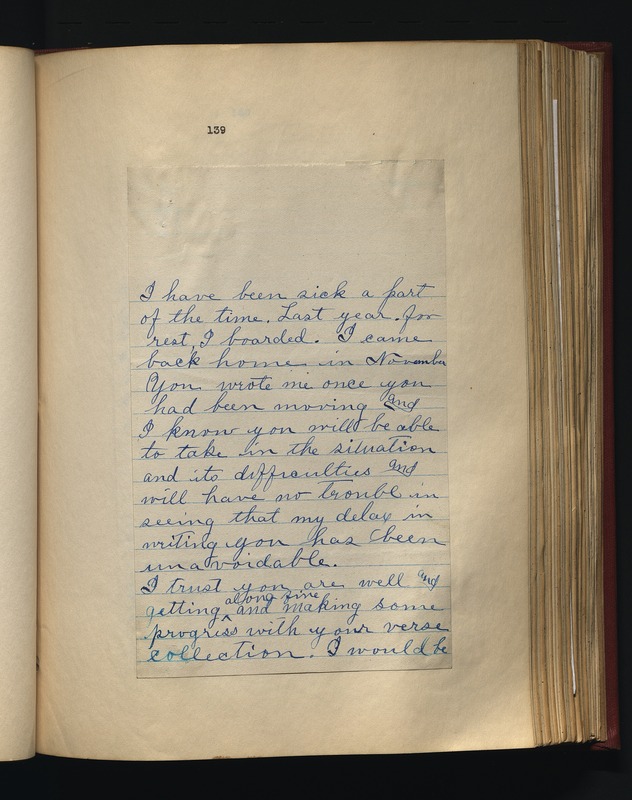 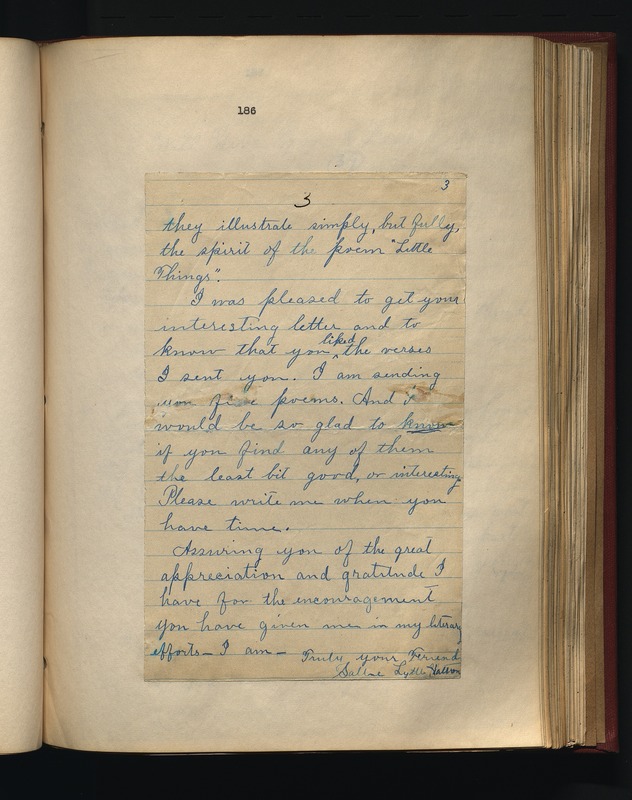 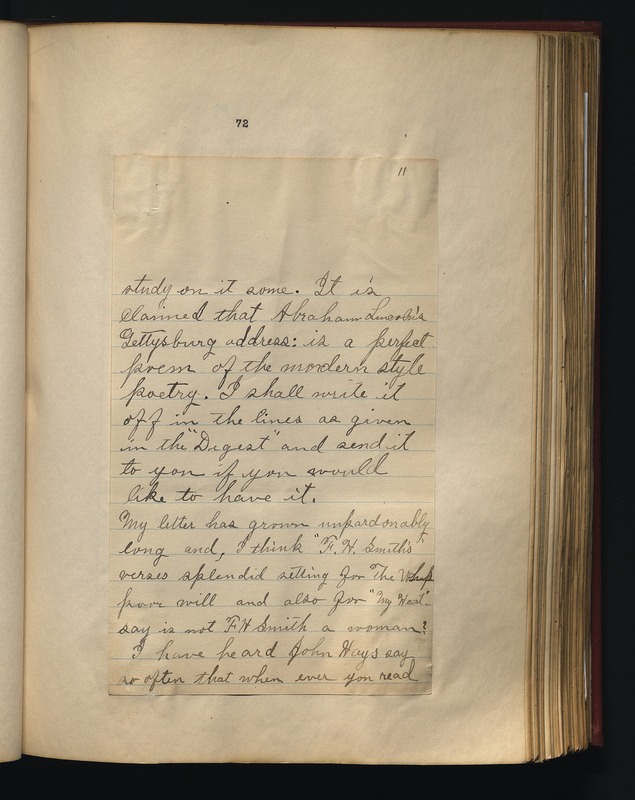 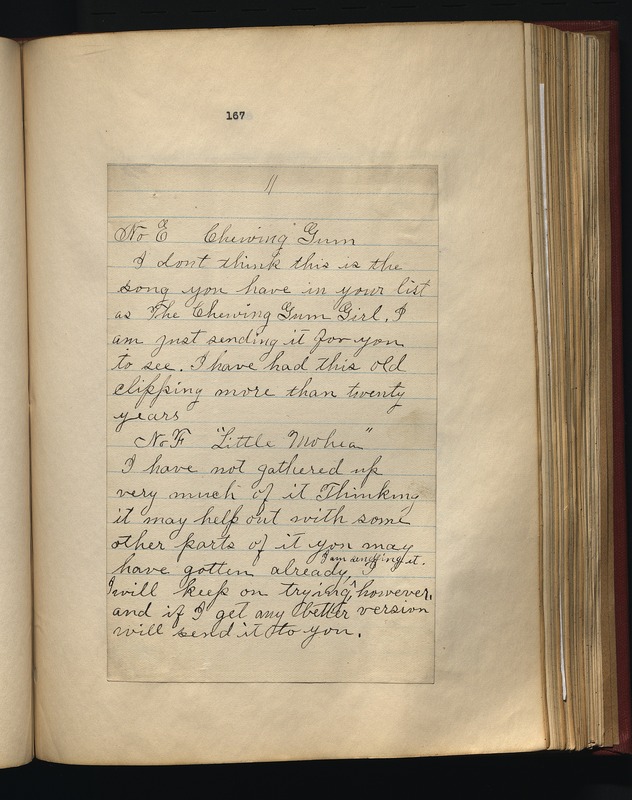 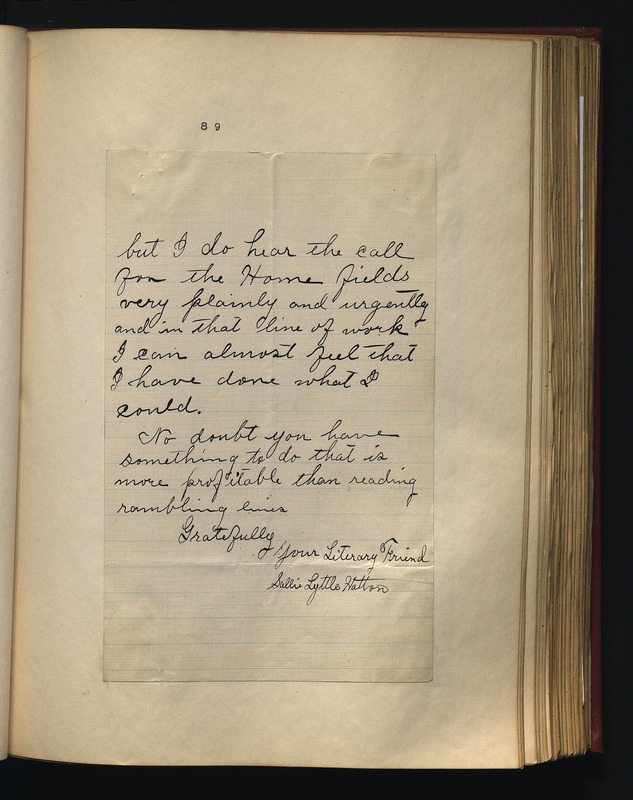 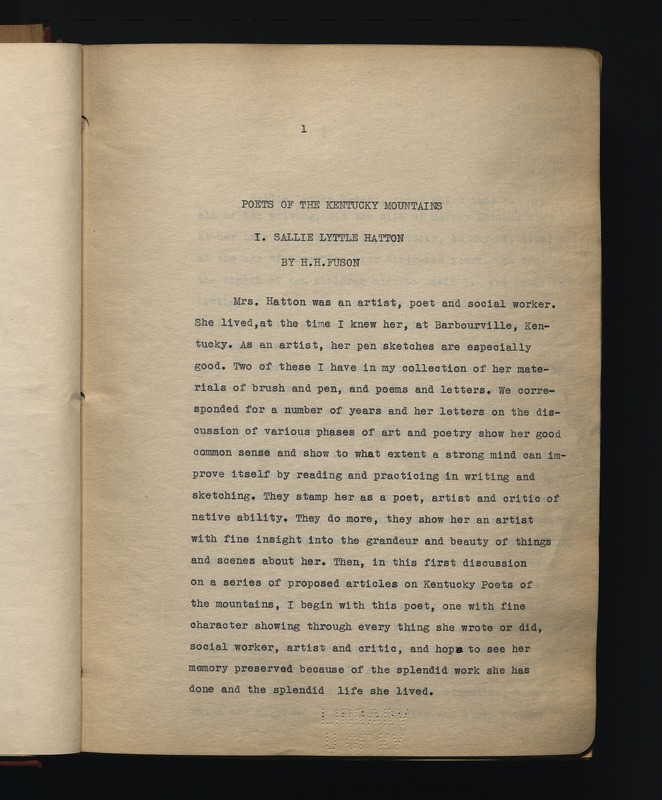 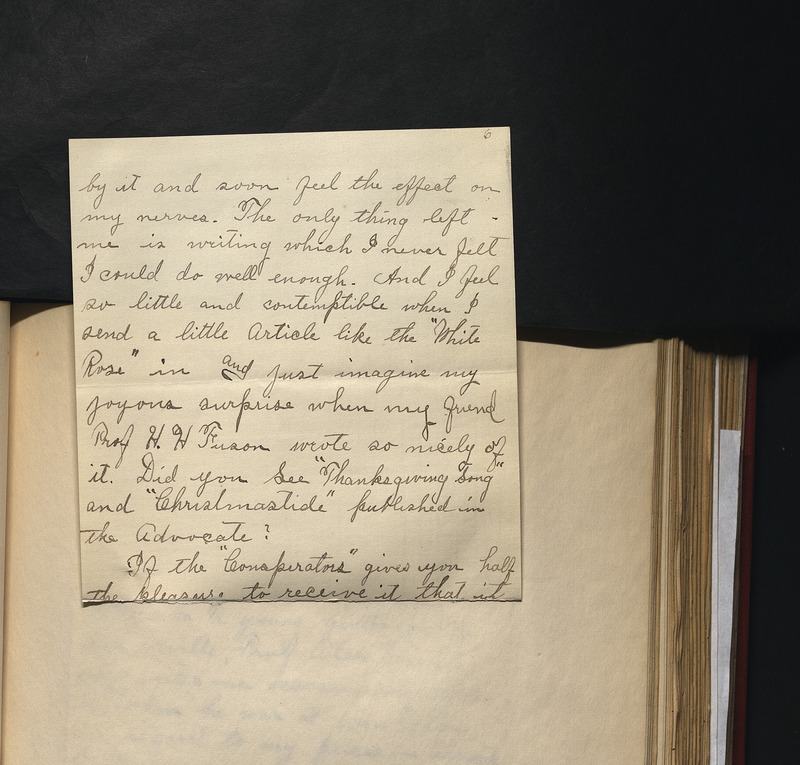 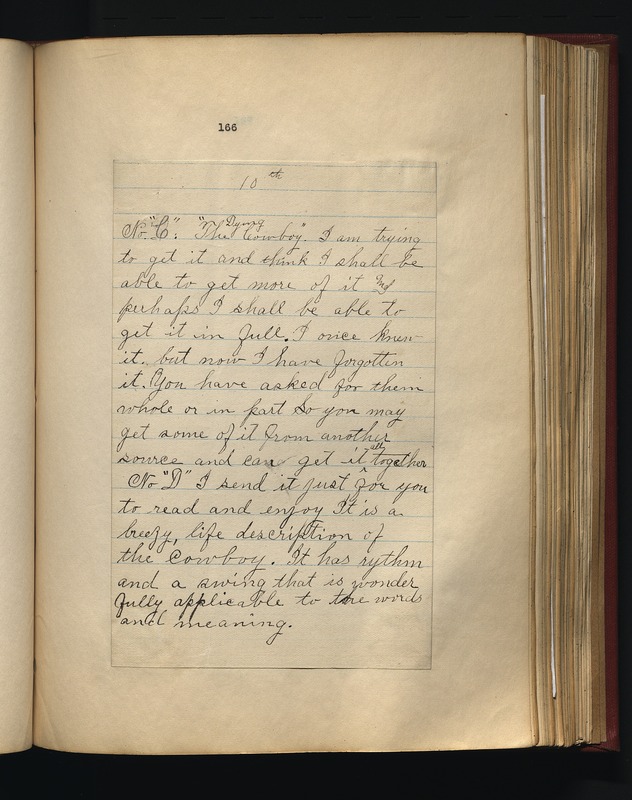 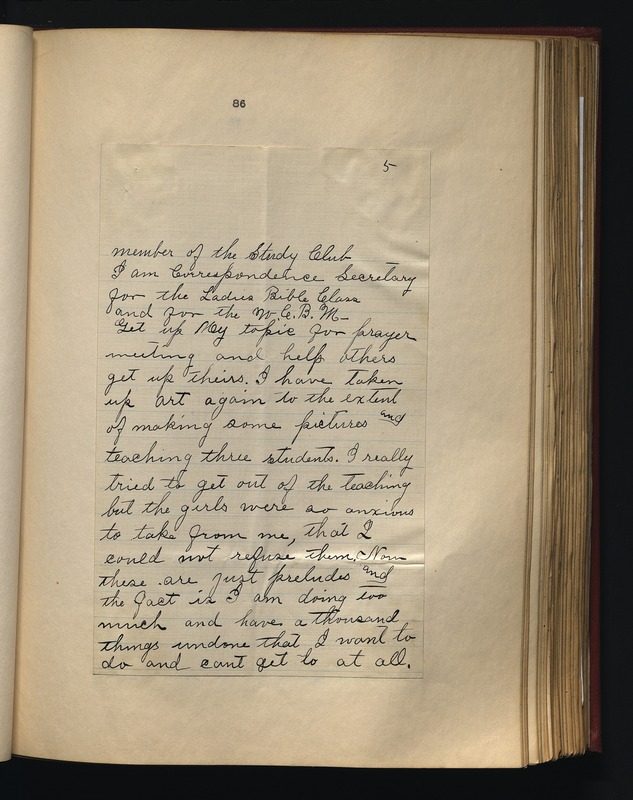 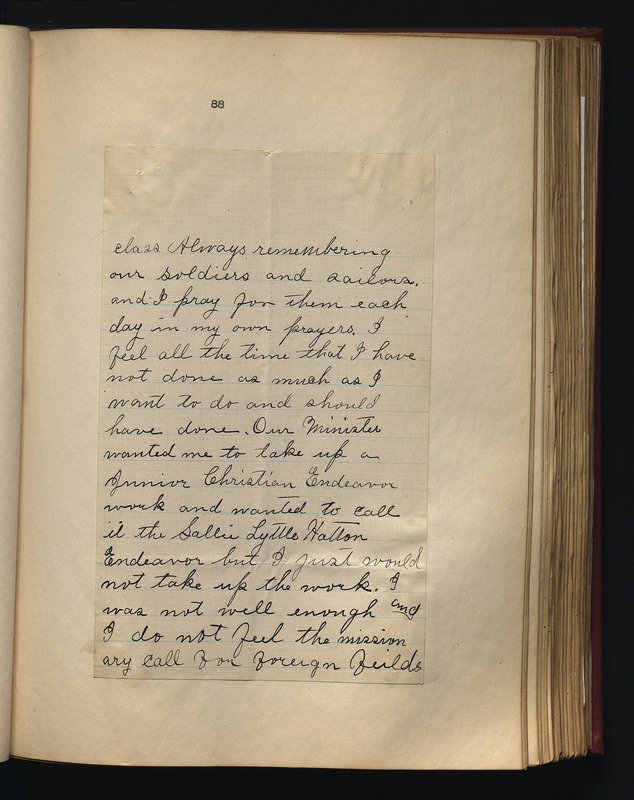 1997ms141 : [identification of item], Sallie Lyttle Hatton letters to Henry Harvey Fuson, 1896-1934, bulk 1916-1922, University of Kentucky Special Collections. 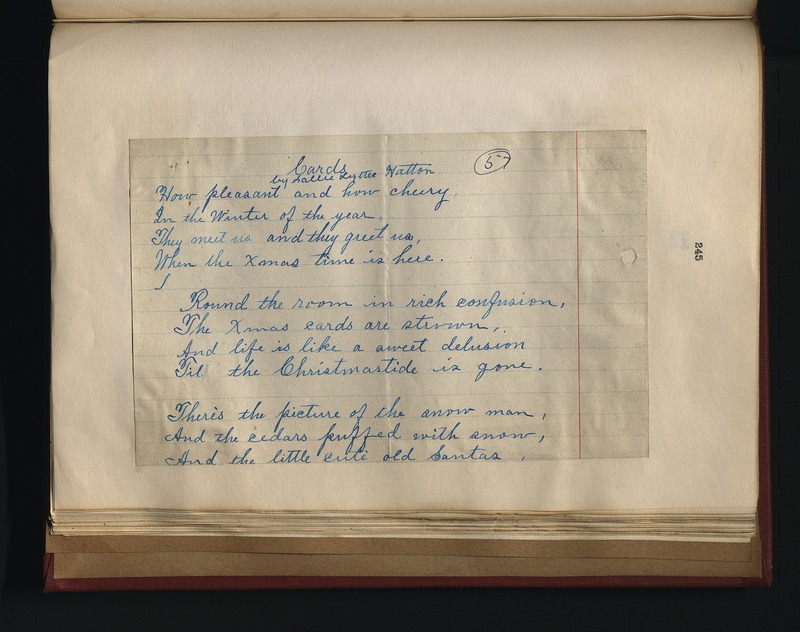 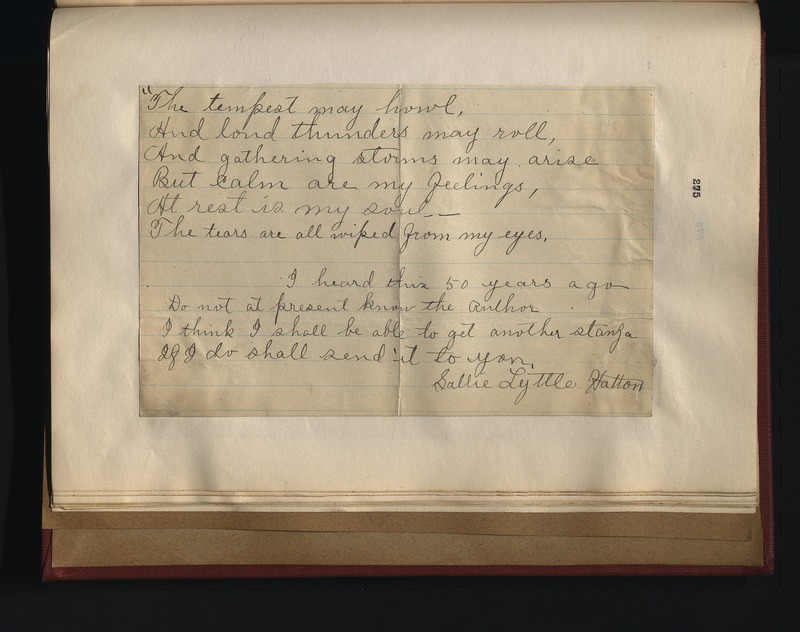 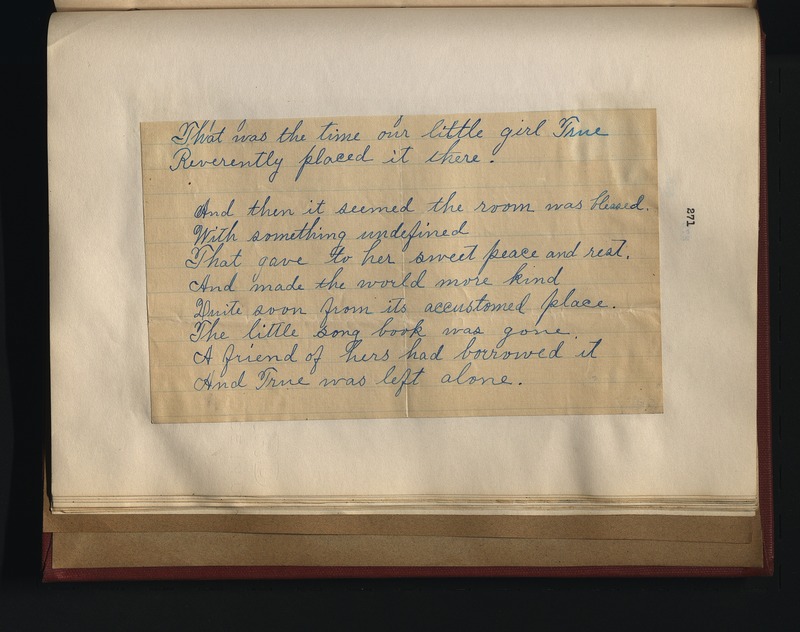 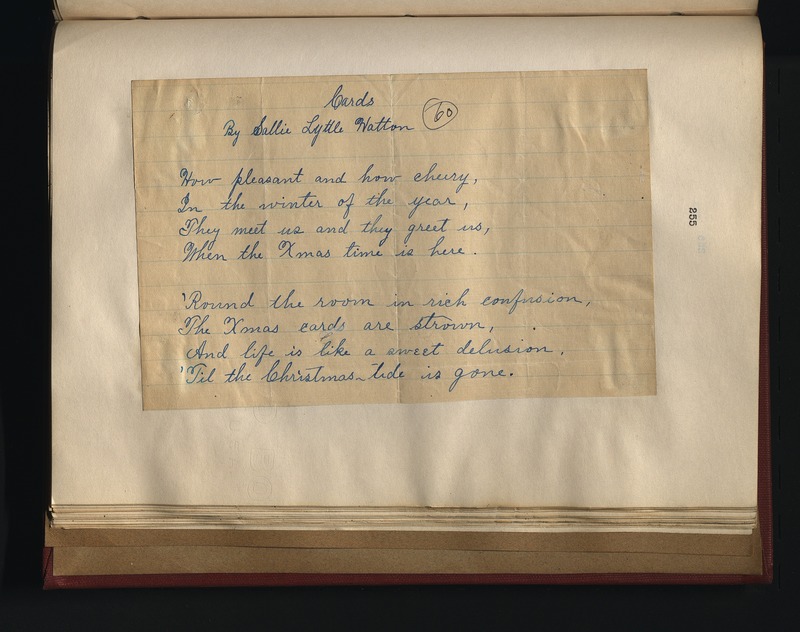 Sallie Lyttle Hatton, of Barbourville, Kentucky, was an Appalachian poet, artist, and song writer who made her living as a social worker. Intellectually curious, Hatton furthered her education through self-directed reading and studying. In her later years, she wrote hundreds of songs and poems, some of which were published in local newspapers and magazines. 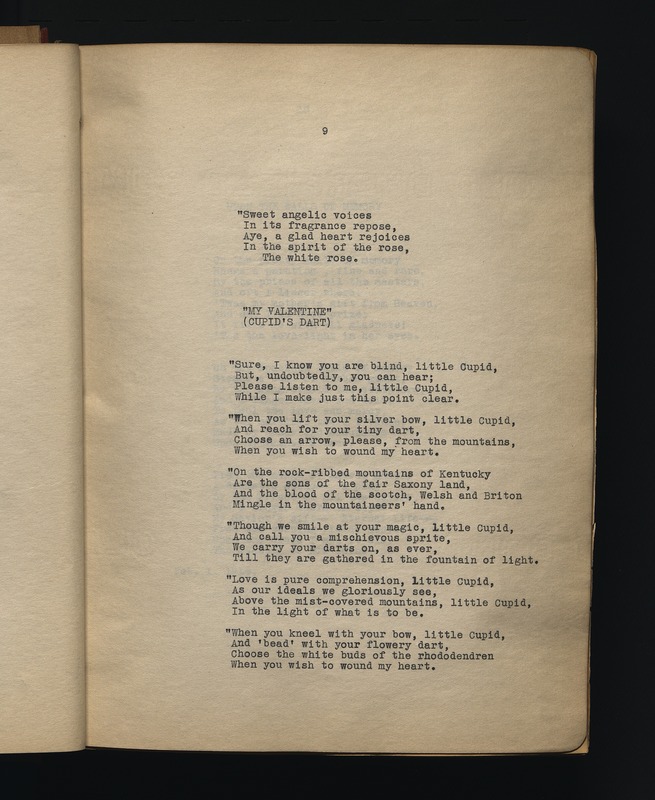 Her most well-known work was Cupid's Dart, a song published and copyrighted by the Willis Music Company of Cincinnati, Ohio. Hatton also collected Appalachian ballads and folk songs that she feared would disappear from memory as the older generations died out. 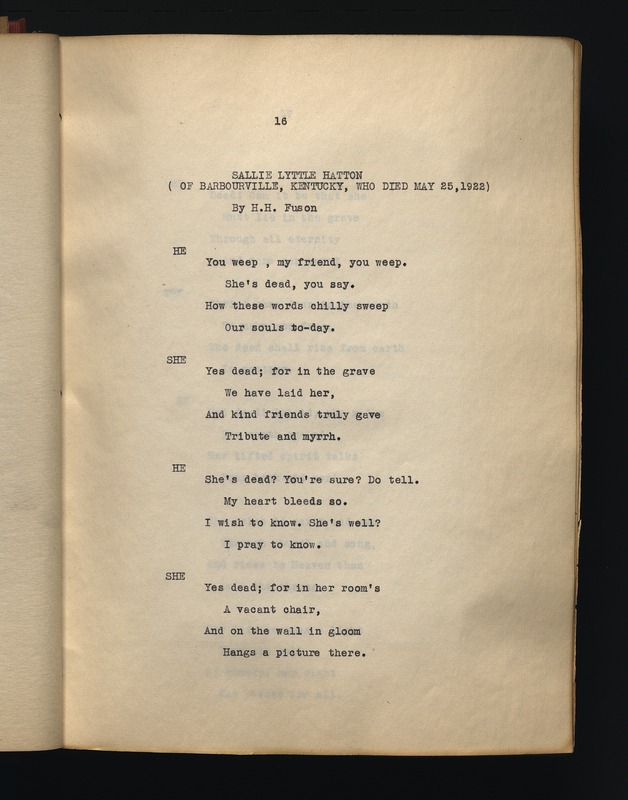 Henry Harvey Fuson recorded some of these songs in his book Ballads of the Kentucky Highlands (London: The Mitre Press, 1931). 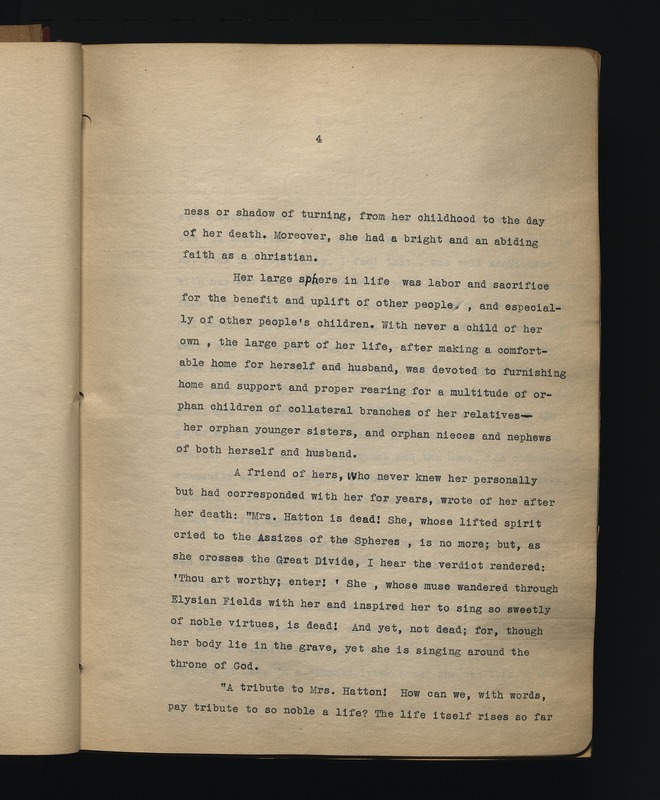 The wife of Harvey L. Hatton, she died on May 25, 1922. Henry Harvey Fuson, author, poet, teacher, and lawyer, was born in Bell County, Kentucky, in 1876. He received his A.B. in 1905 from Cumberland College and his B.S. 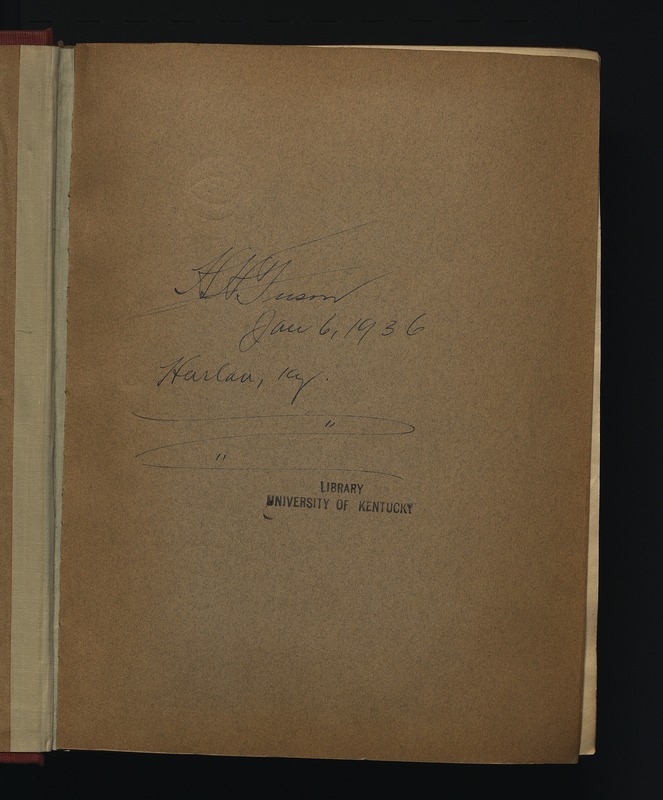 in 1920 from the University of Cincinnati. Throughout his life, Fuson sustained interests in the history of Kentucky, in particular the southeastern region, and the literature of the state. His books include: The Pinnacle and Other Kentucky Mountain Poems (Louisville, Kentucky: J.P. Morton, 1921); Ballads of the Kentucky Highlands (London, Kentucky: The Mitre Press, 1931); History of the Fuson Family, Vol. 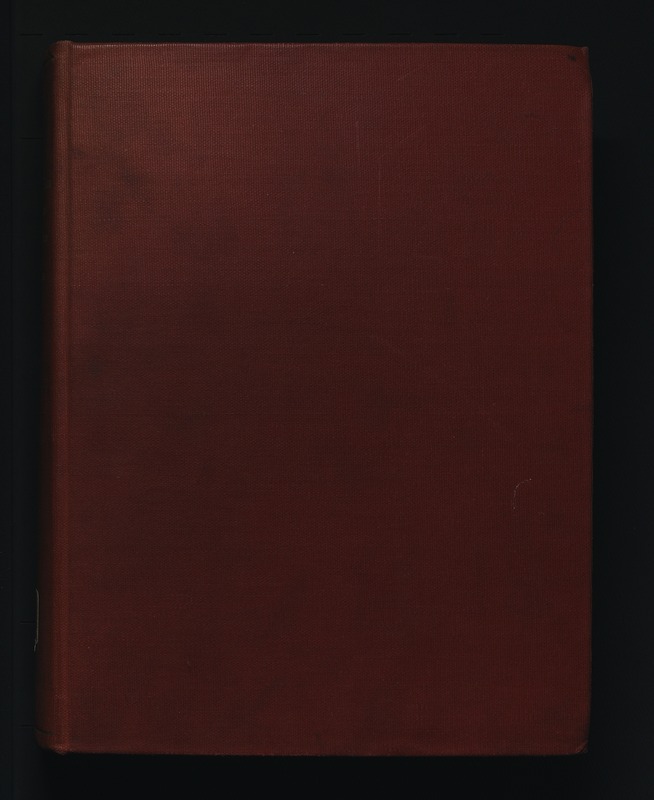 1-2 (London, Kentucky: Mitre Press, 1932, 1938); and History of Bell County, Kentucky (New York: Hobson Book Press, 1947). Fuson was also an editor of Kentucky Folk Lore and Poetry Magazine and a member of the Kentucky State Historical Society. 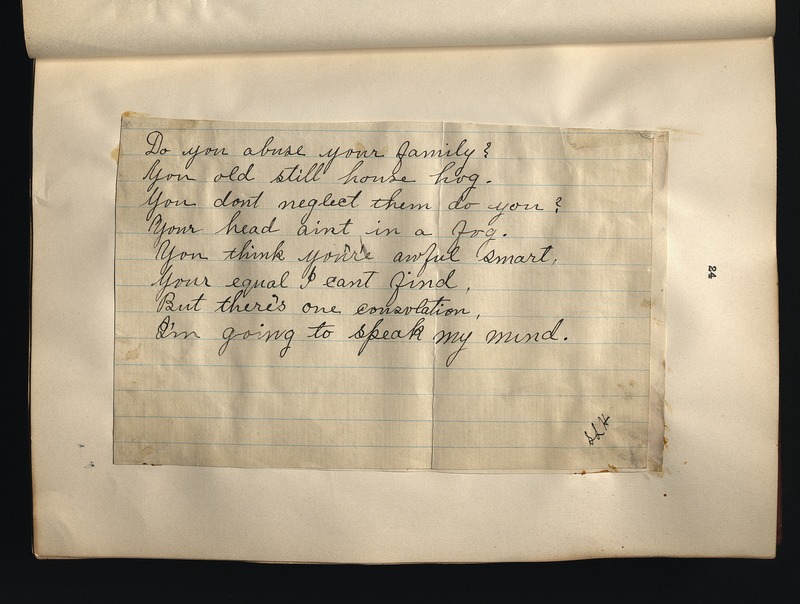 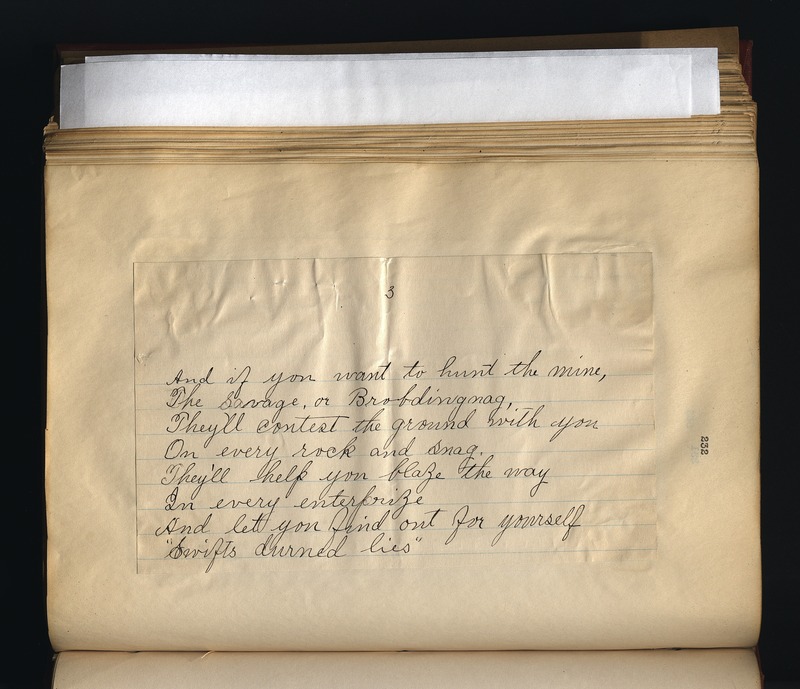 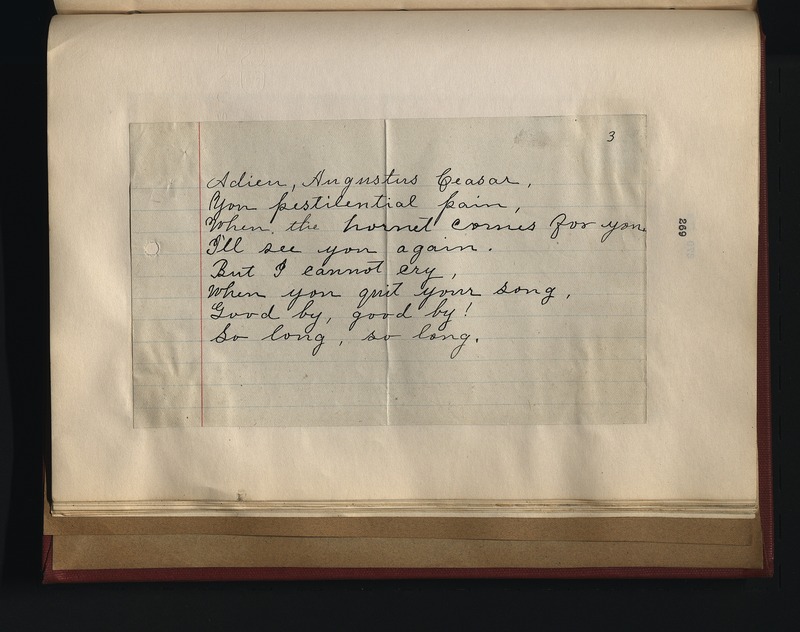 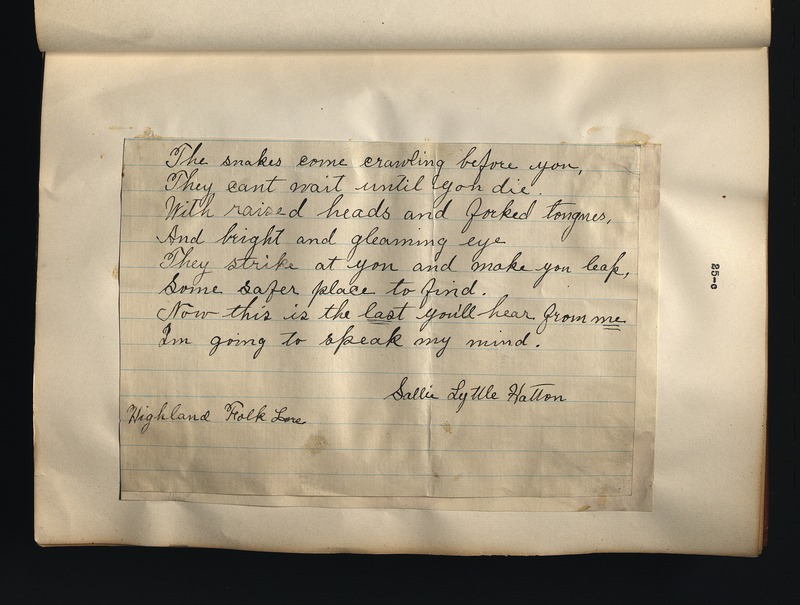 The Sallie Lyttle Hatton letters to Henry Harvey Fuson (dated 1916-1934, bulk 1916-1922; 0.23 cubic feet; 1 item) primarily comprise correspondence, including poems and pencil sketches, written by Sallie Lyttle Hatton and sent to Harlan County educator Henry Harvey Fuson (1876-1964) between 1916-1922. 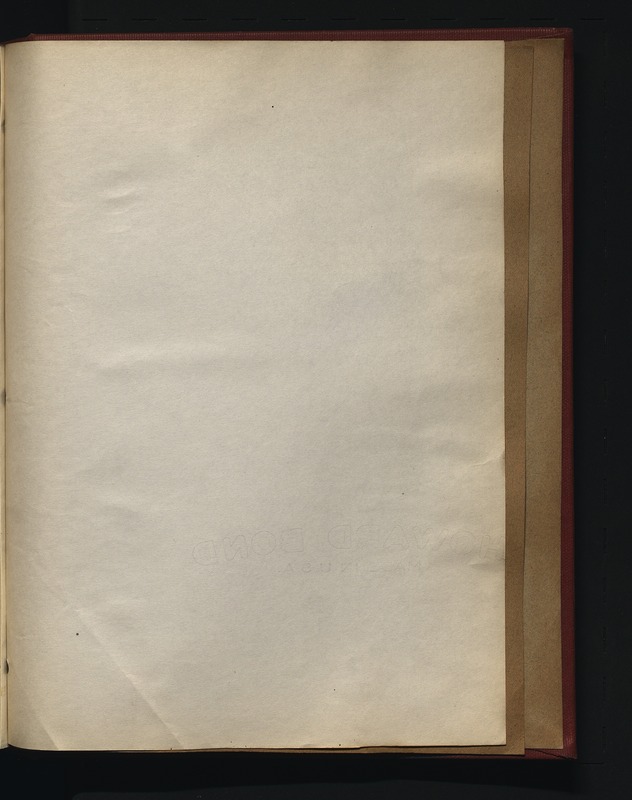 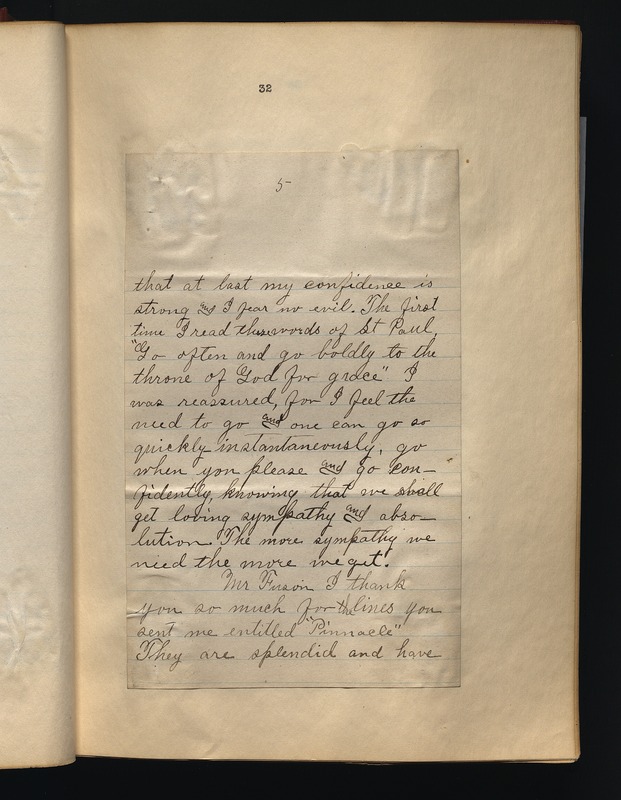 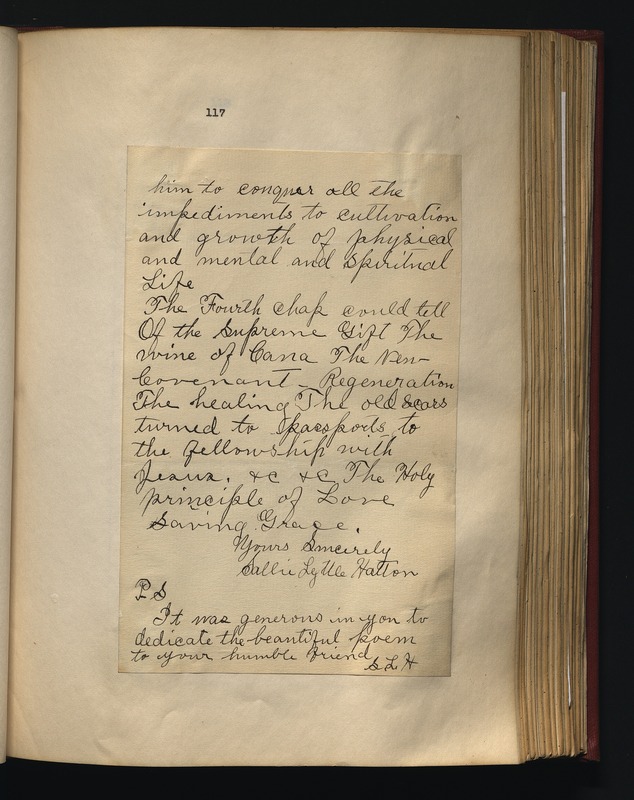 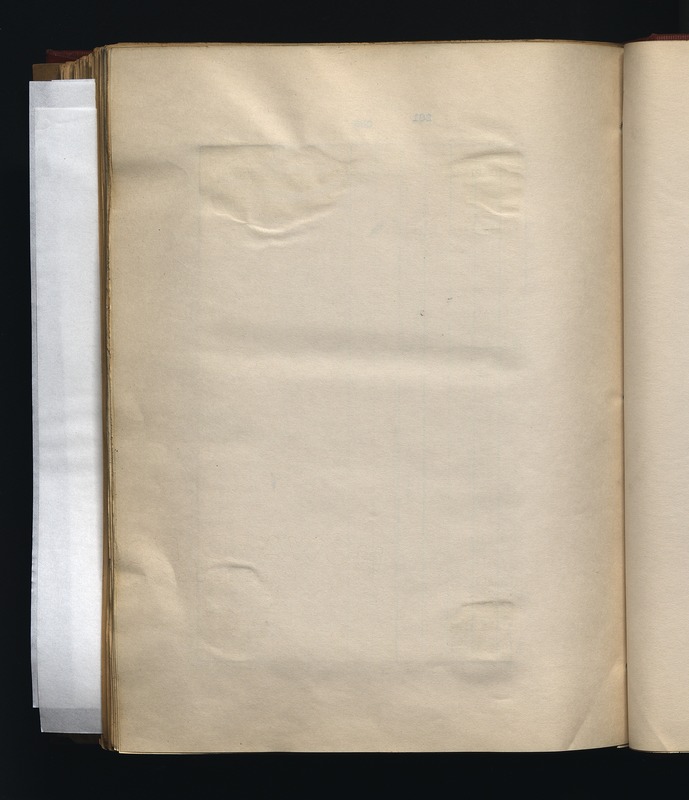 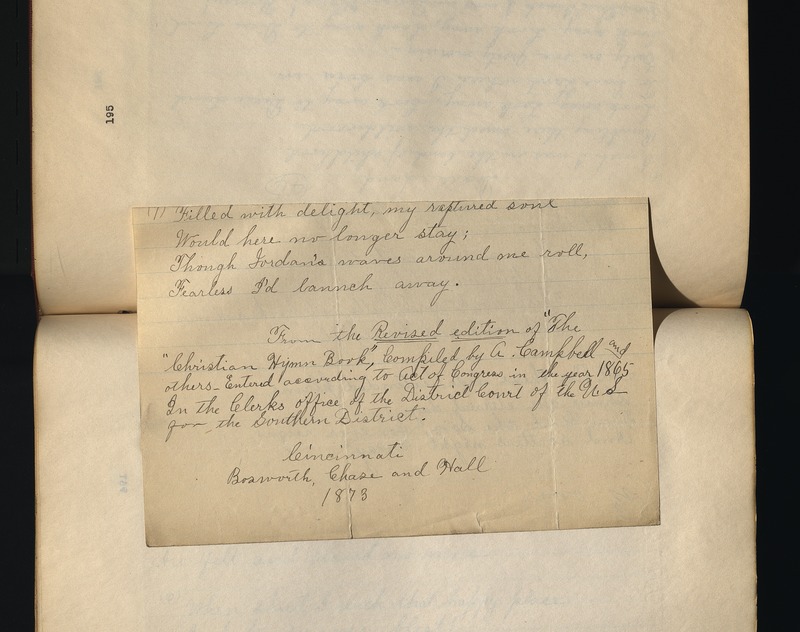 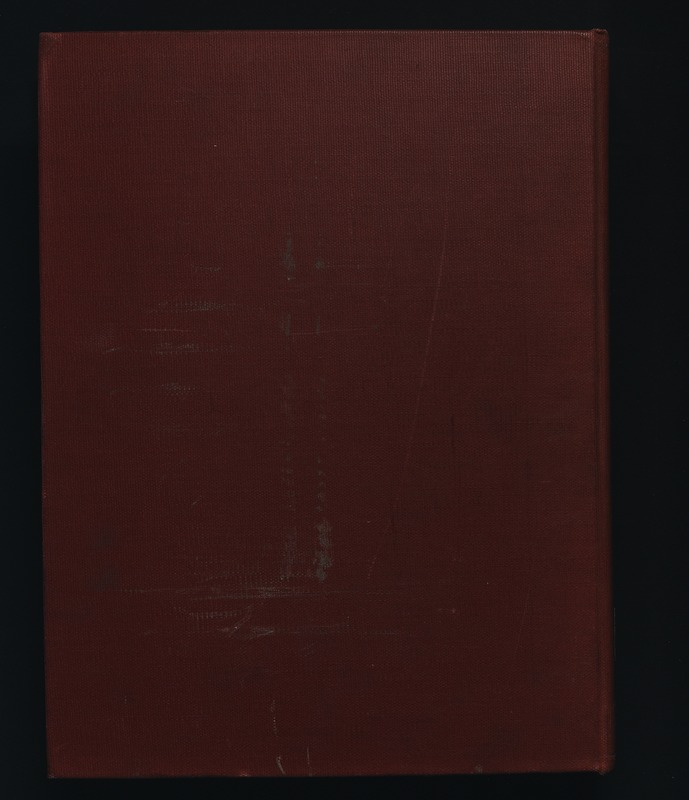 In 1934 Fuson had the letters collected in a bound volume. 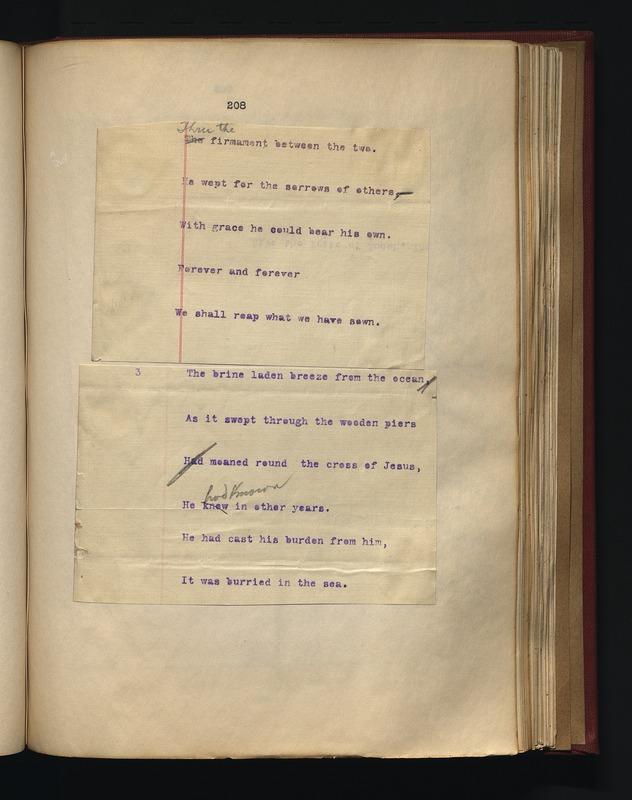 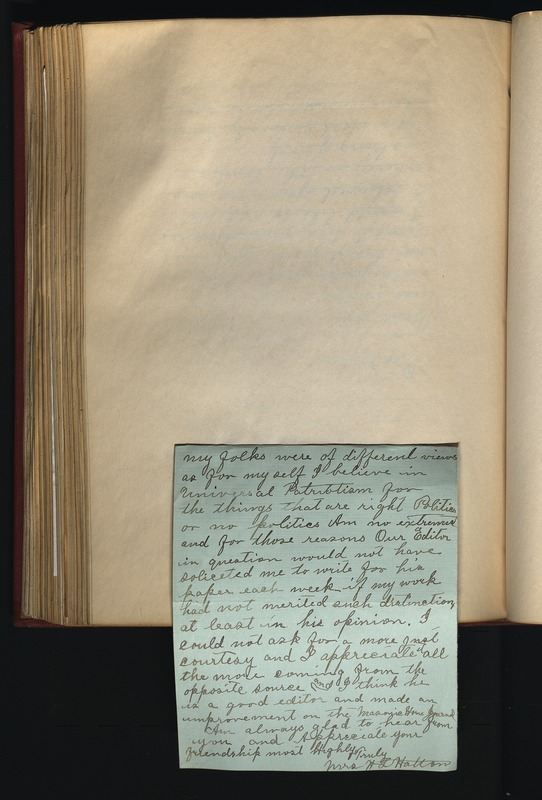 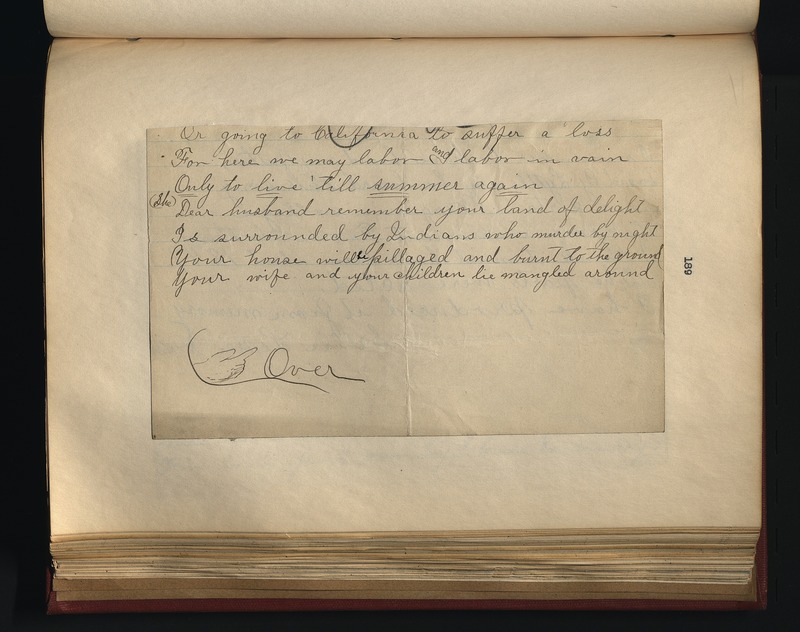 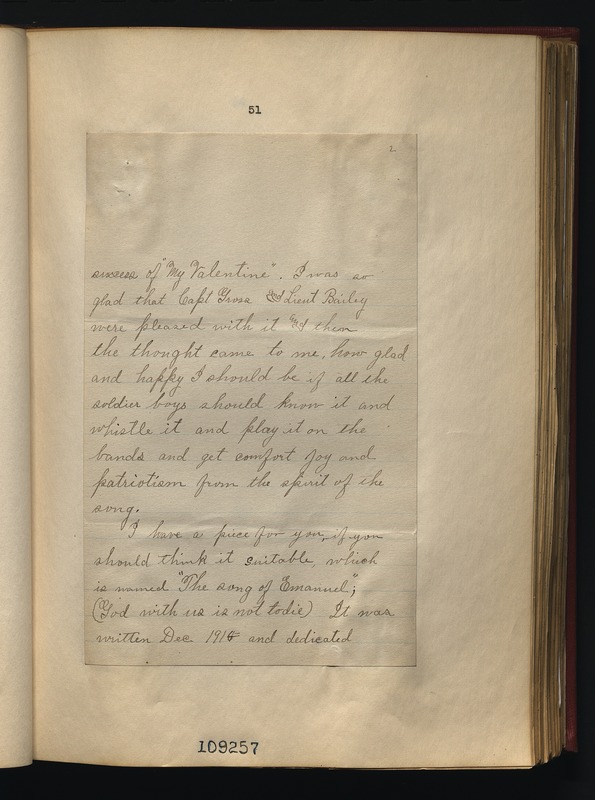 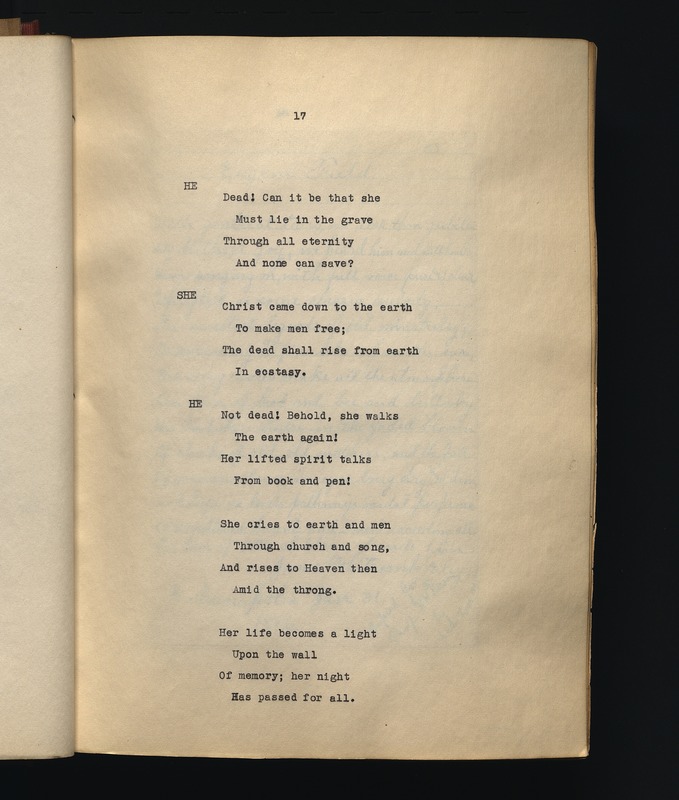 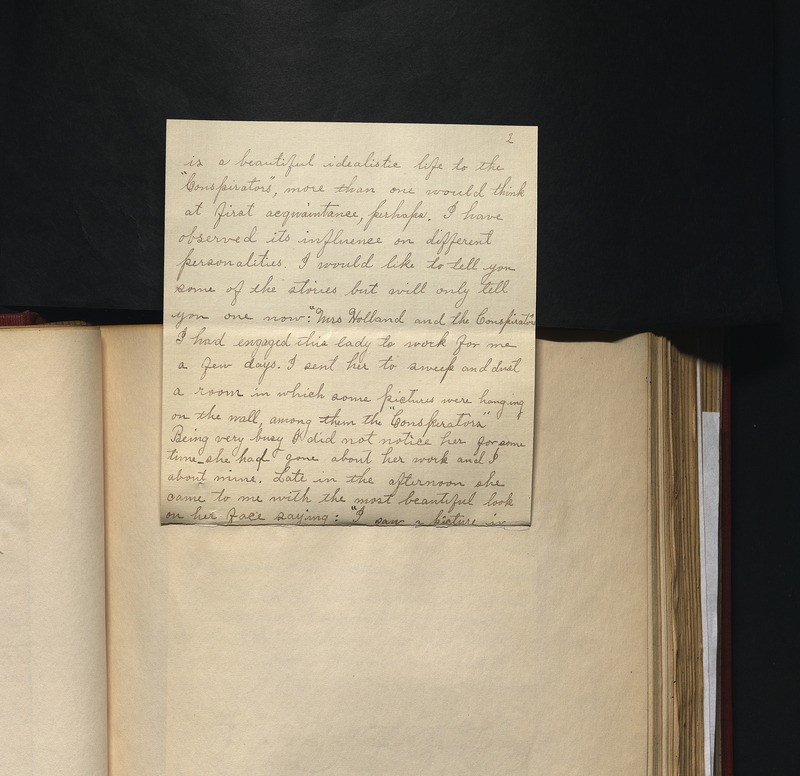 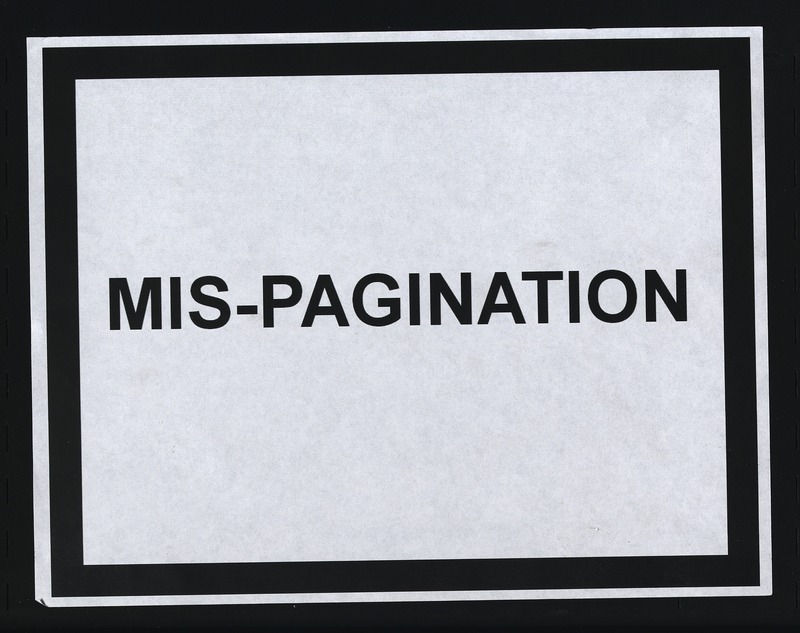 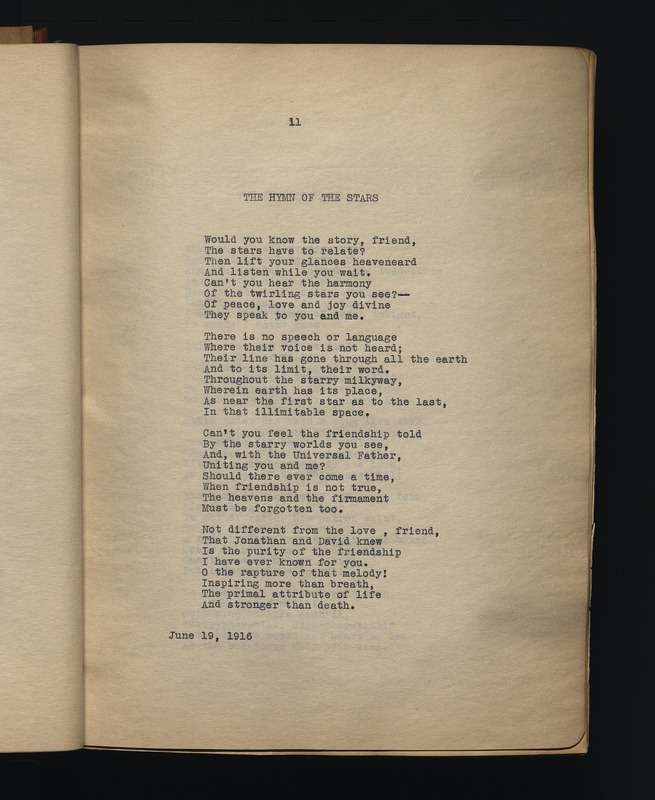 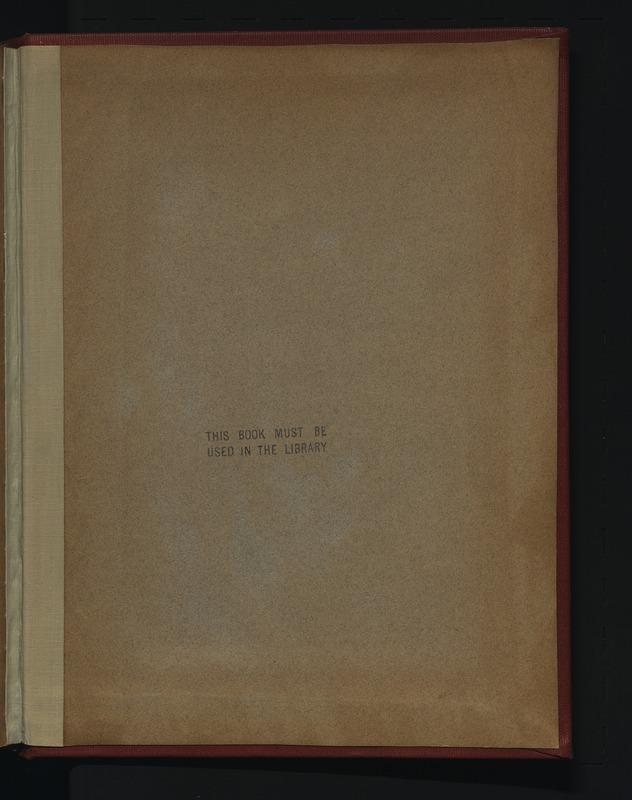 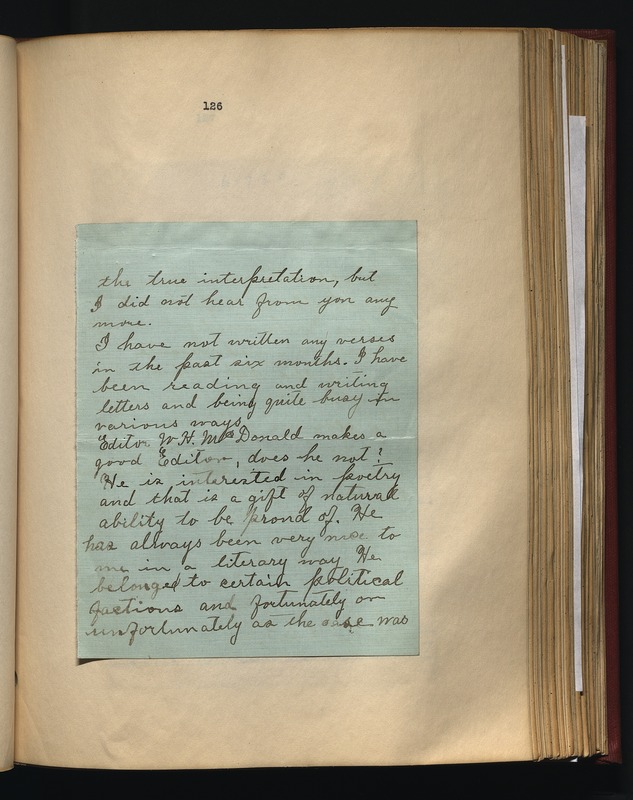 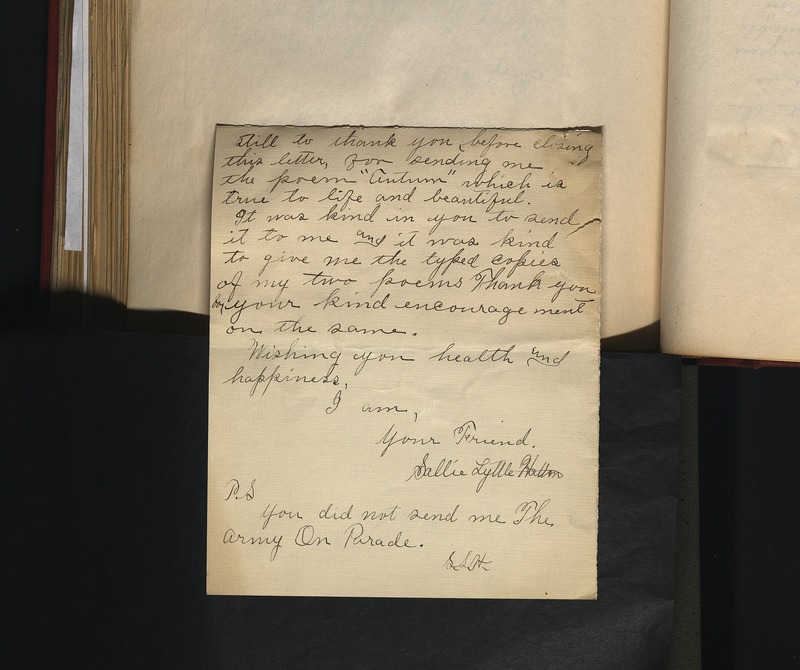 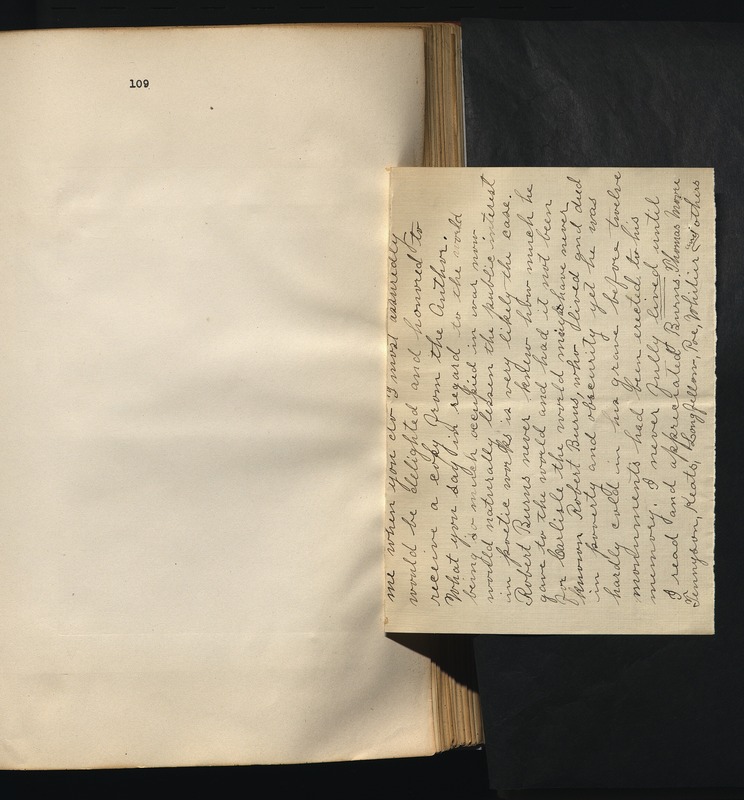 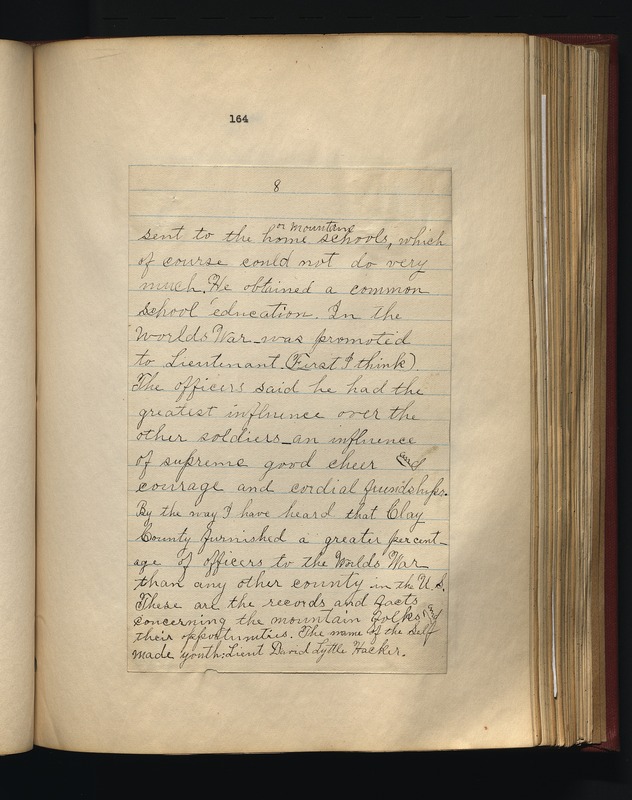 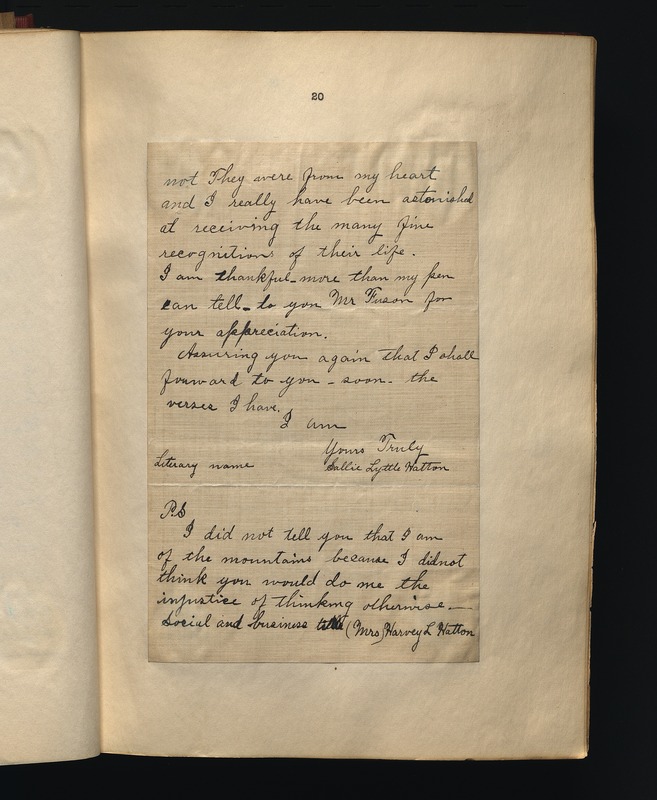 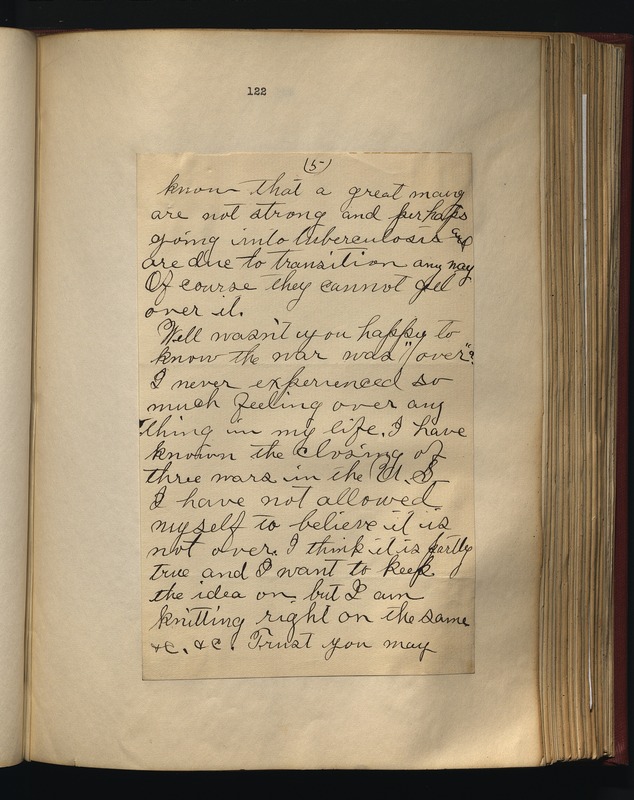 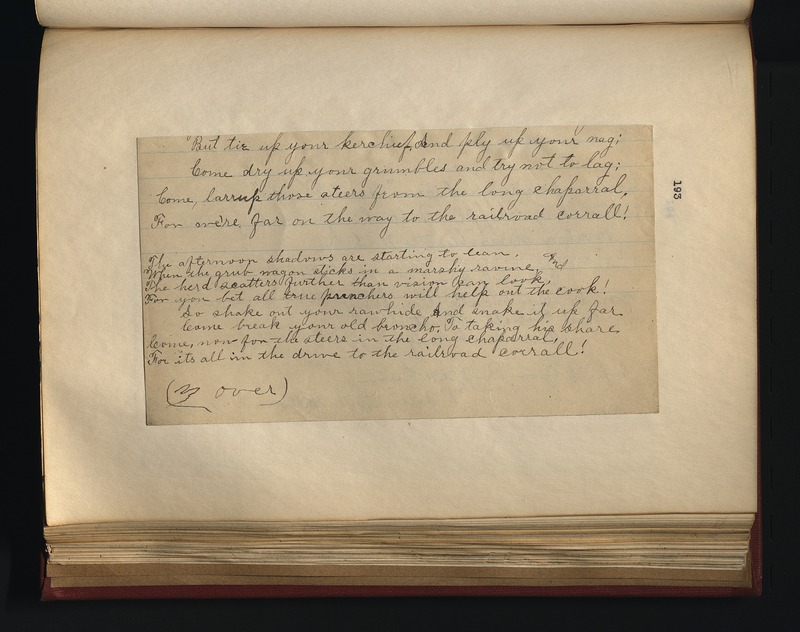 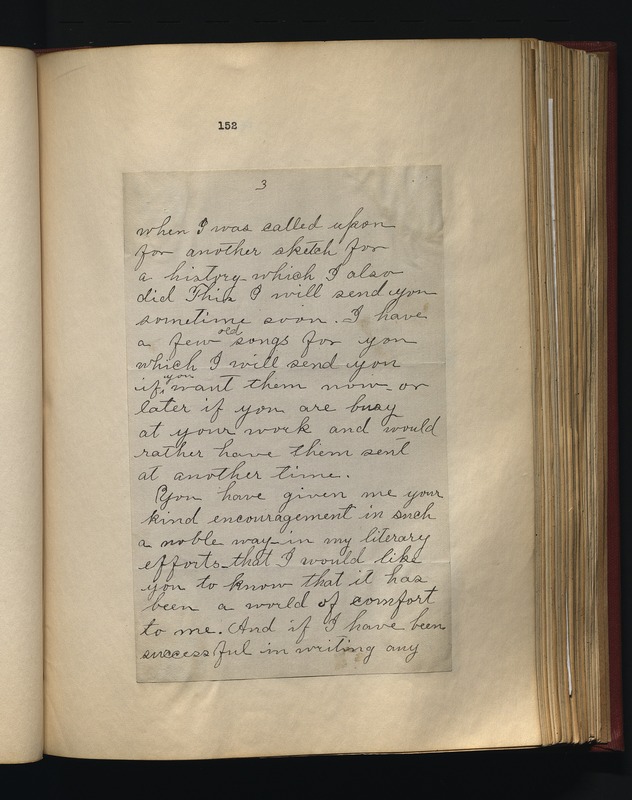 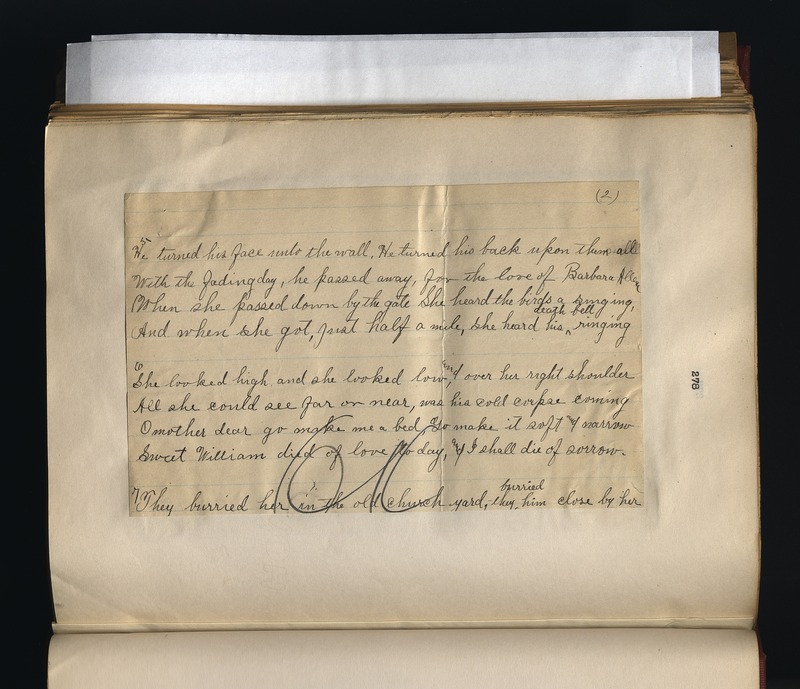 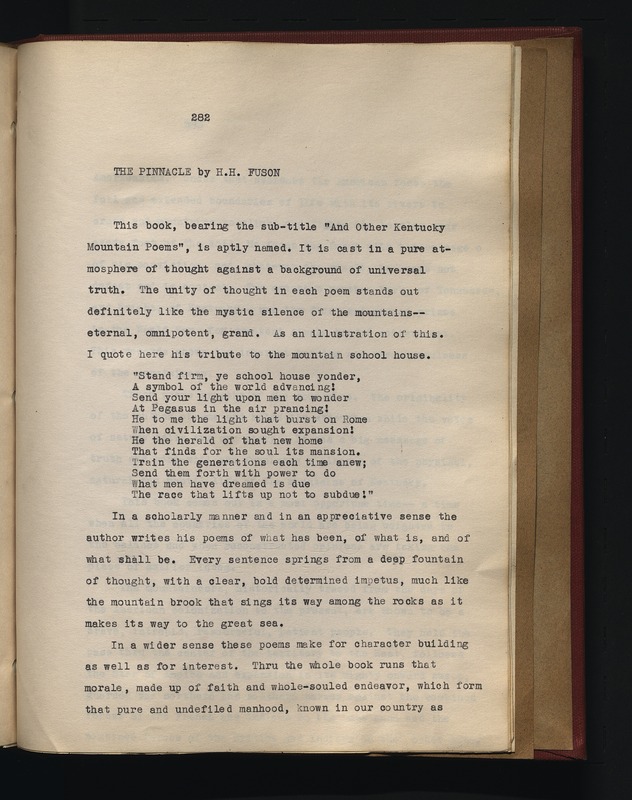 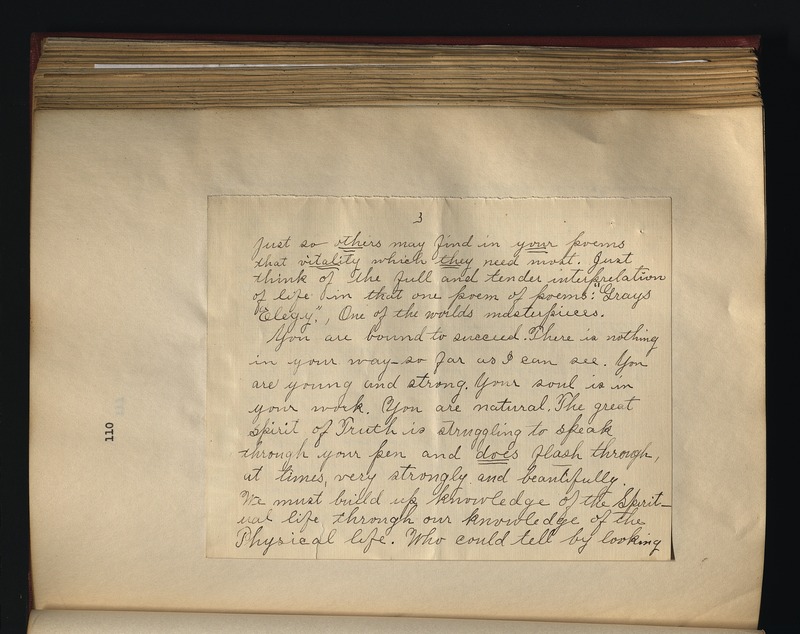 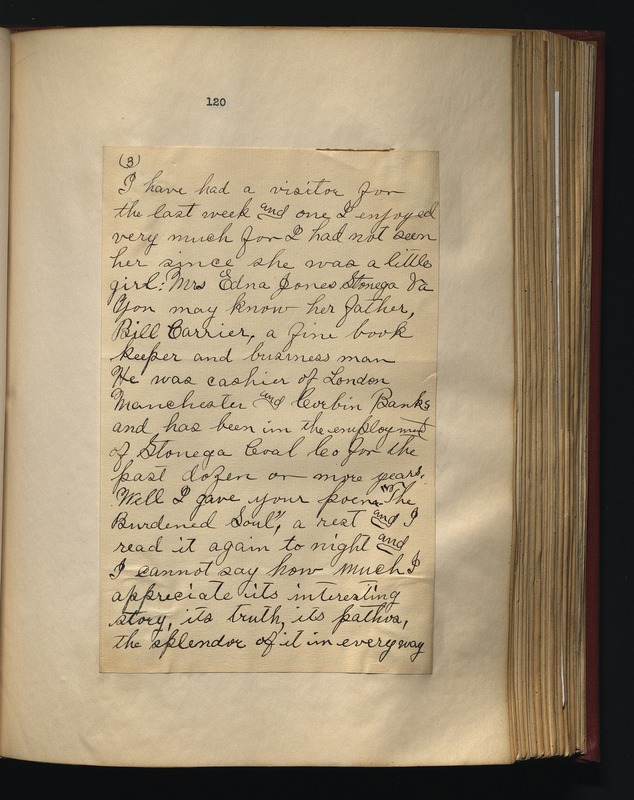 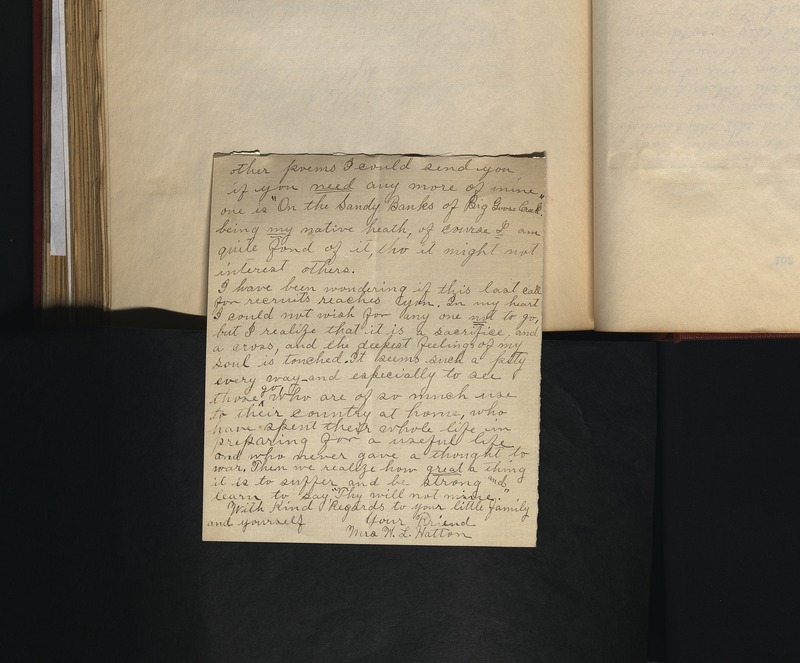 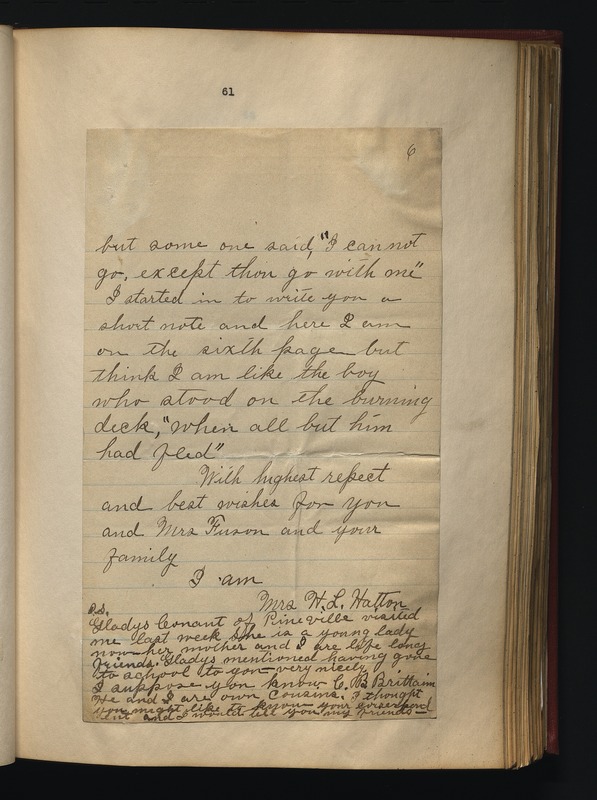 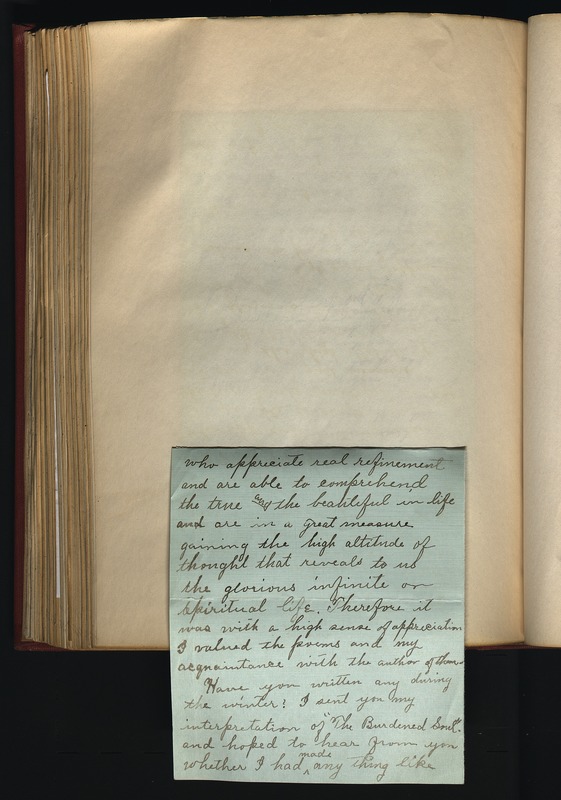 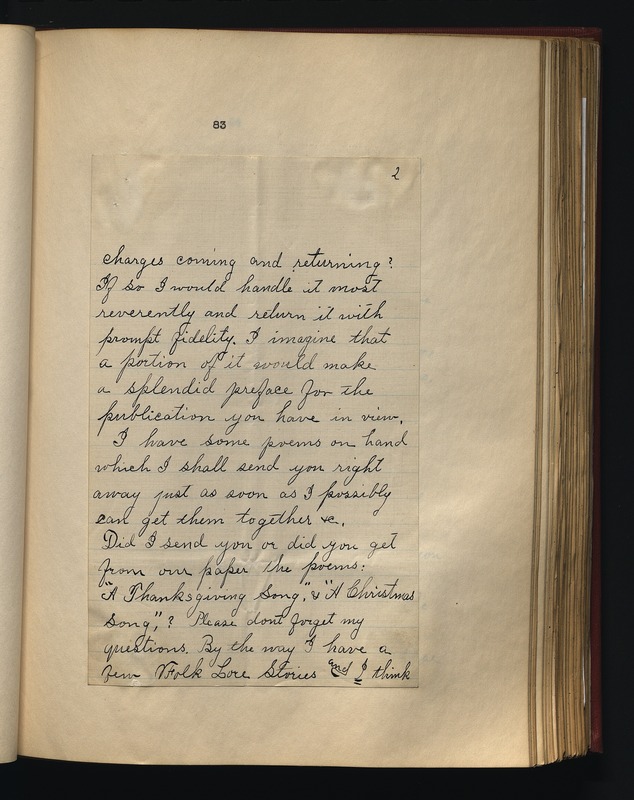 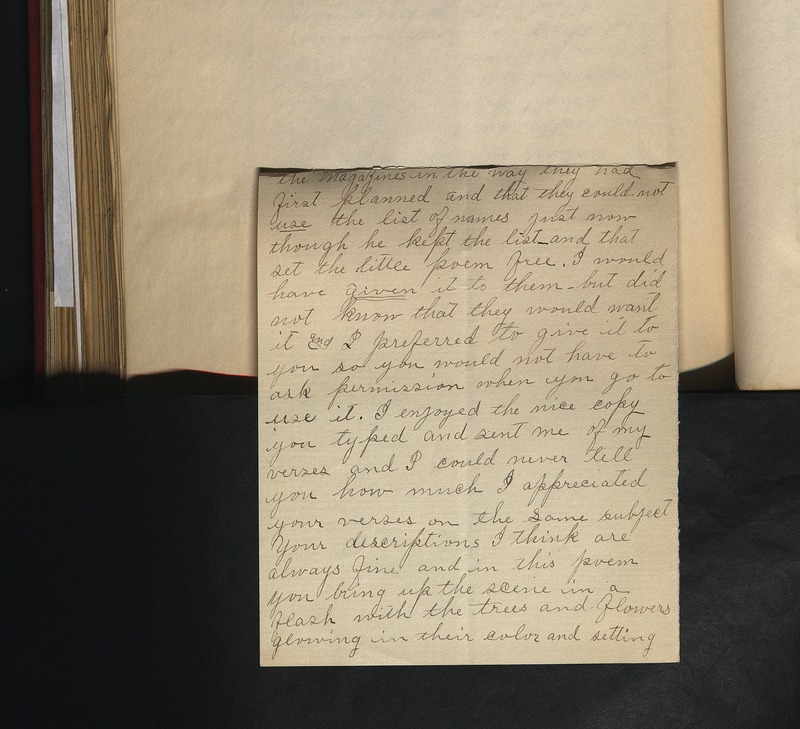 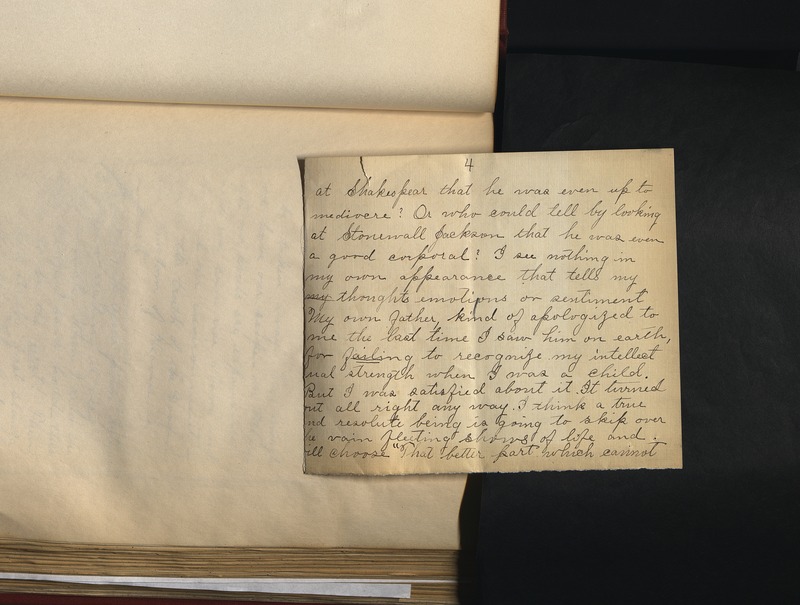 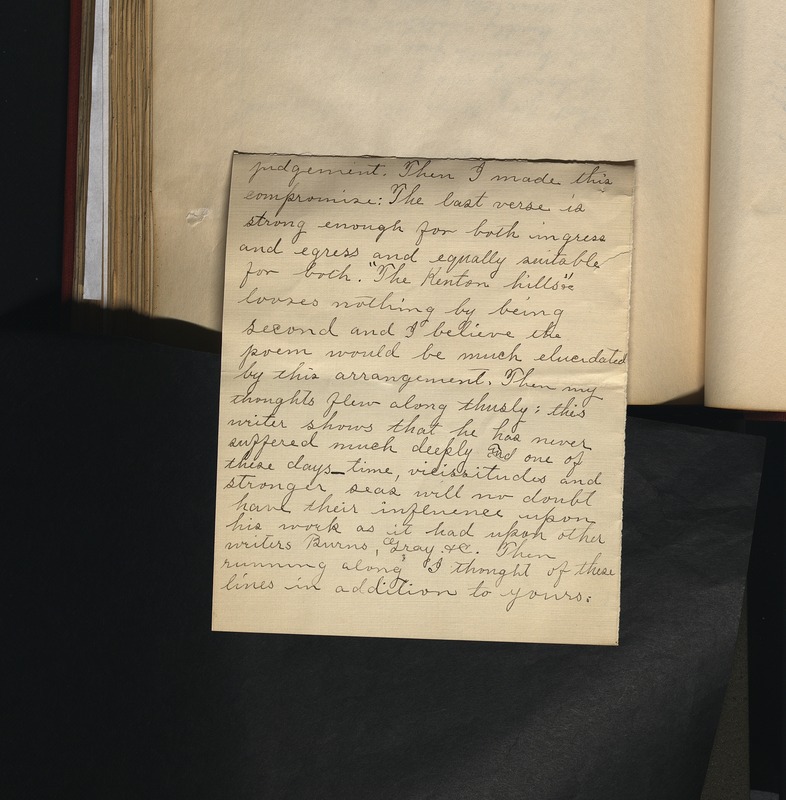 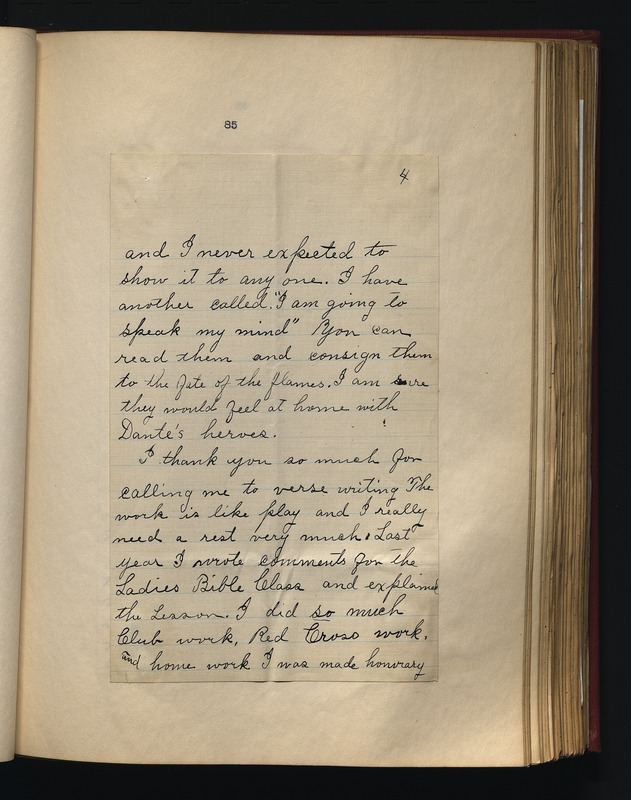 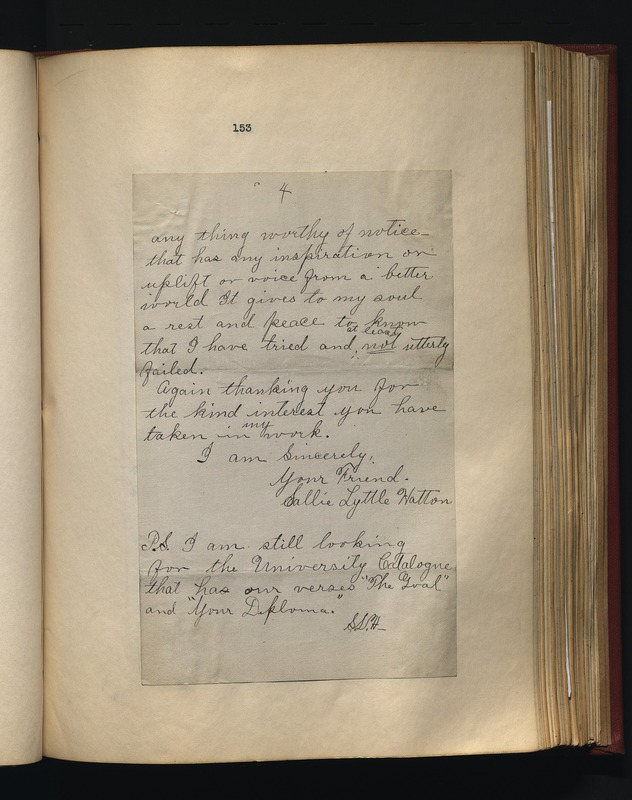 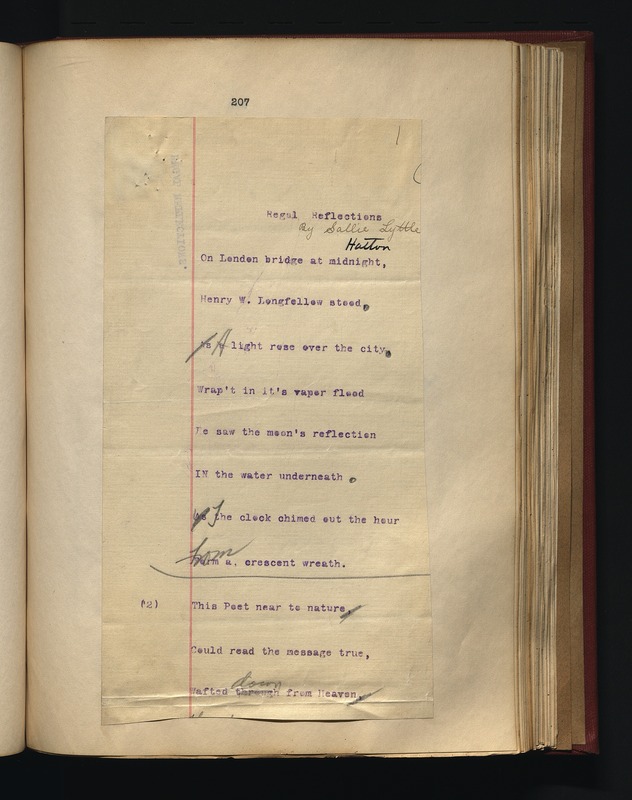 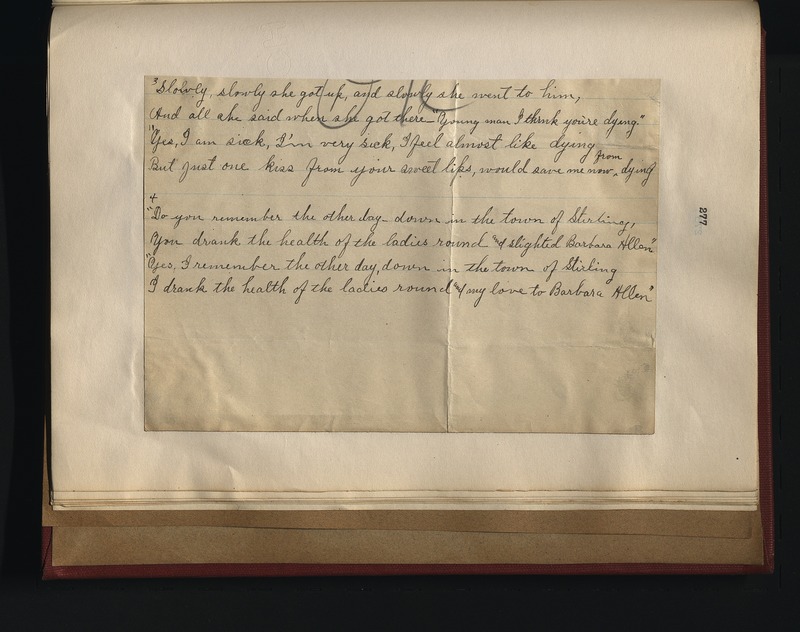 Much of this correspondence centers on the sharing of Hatton's poems with Fuson, requests for critiques, and questions about copyright and publishing issues. 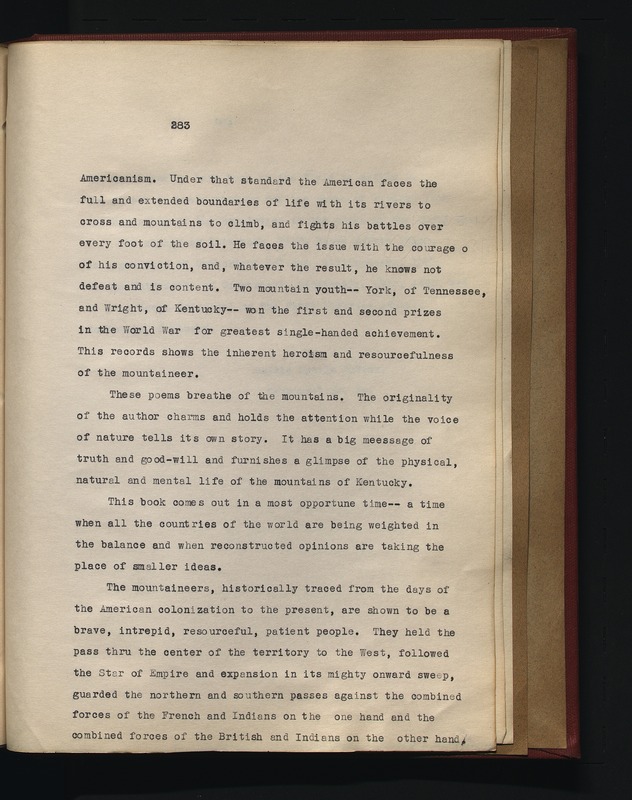 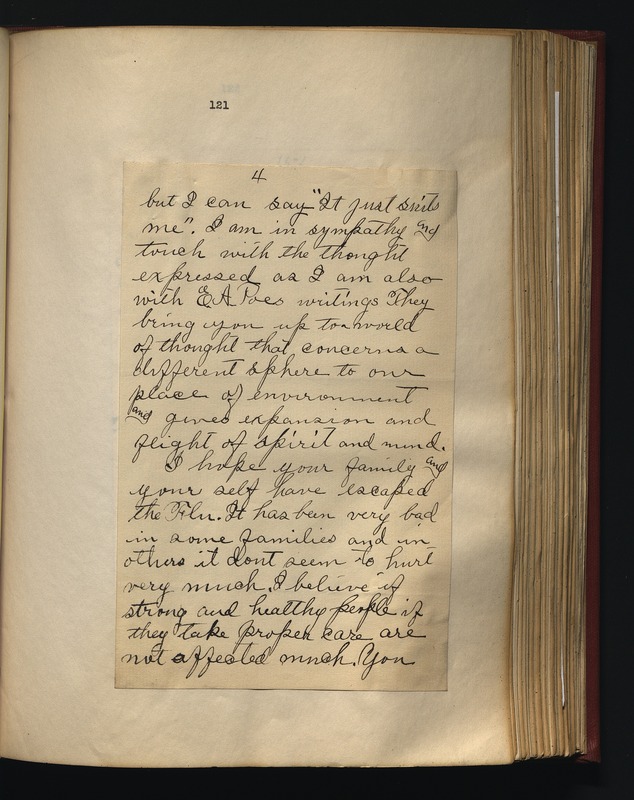 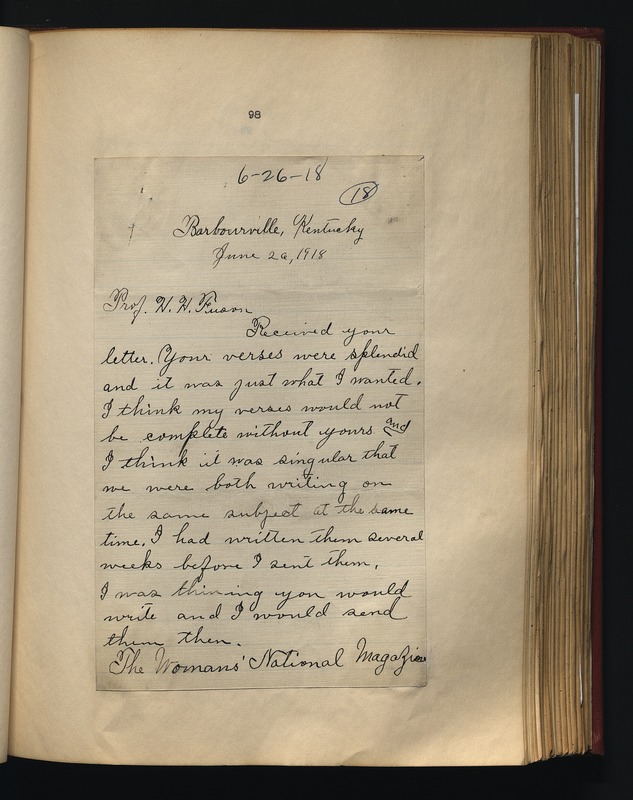 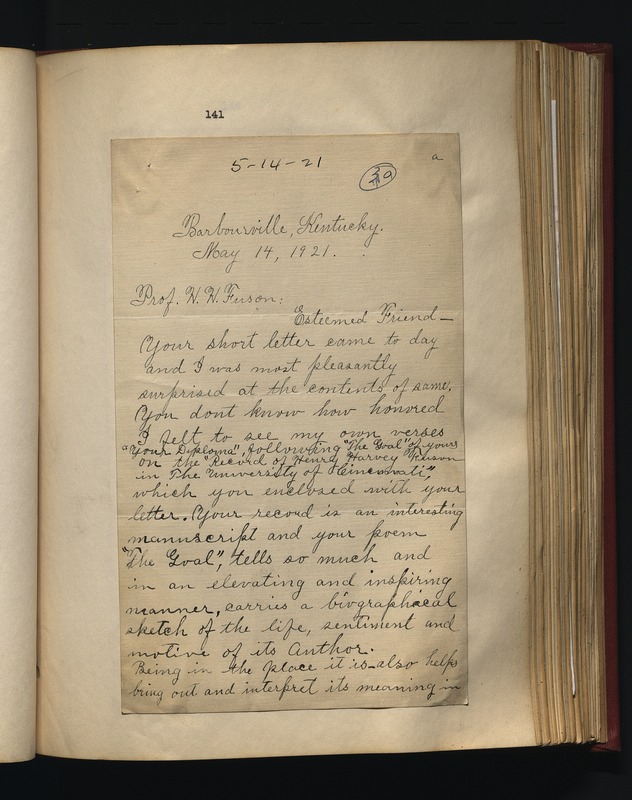 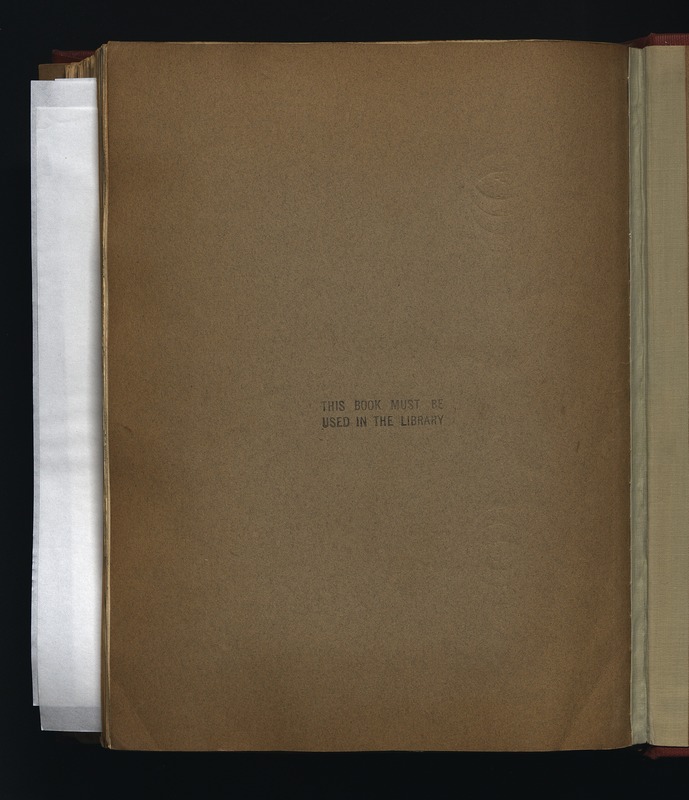 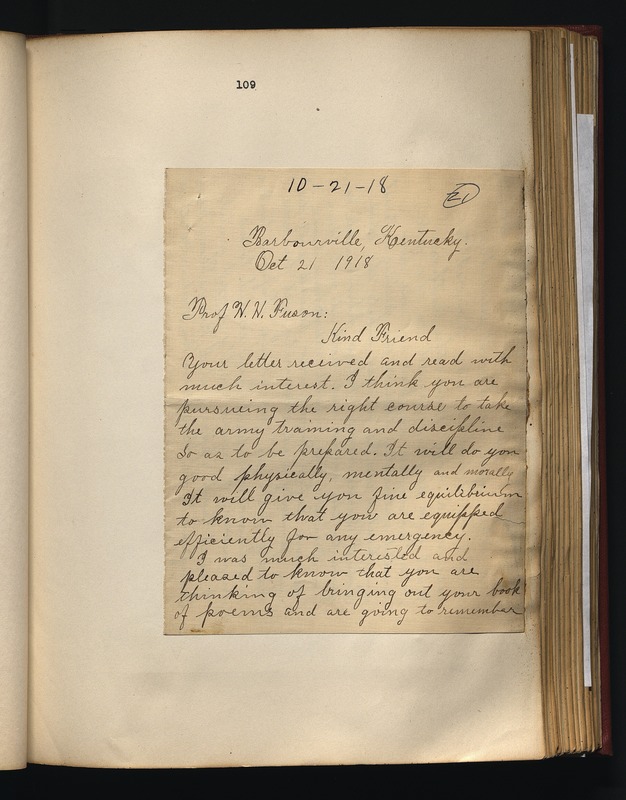 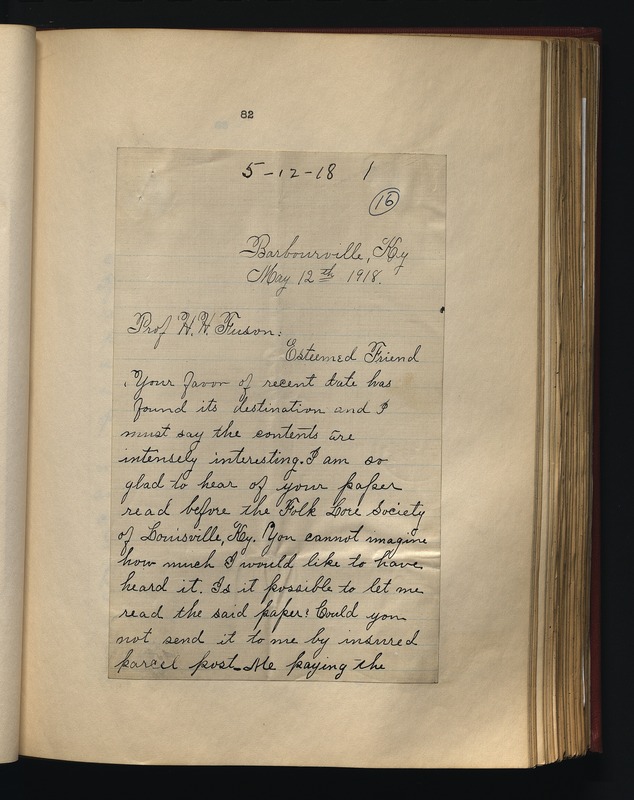 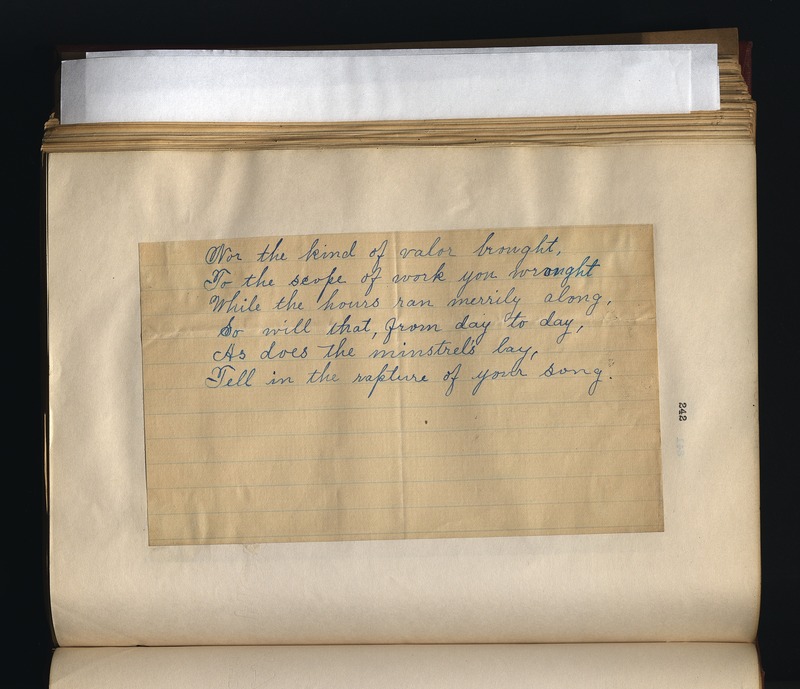 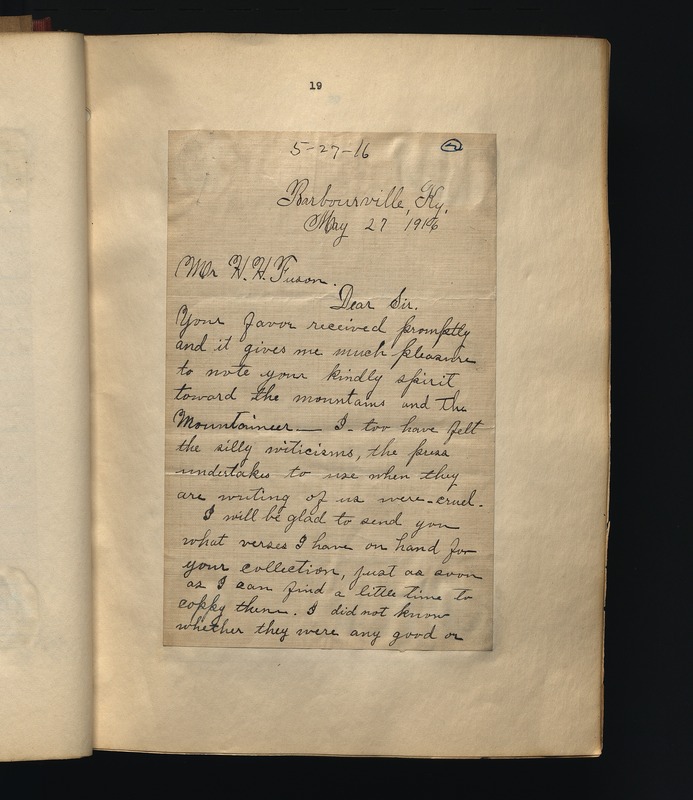 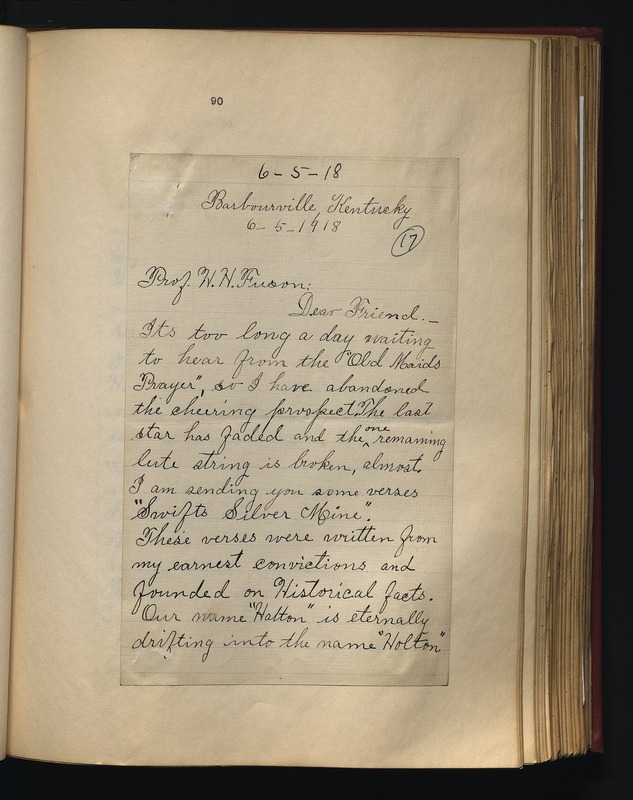 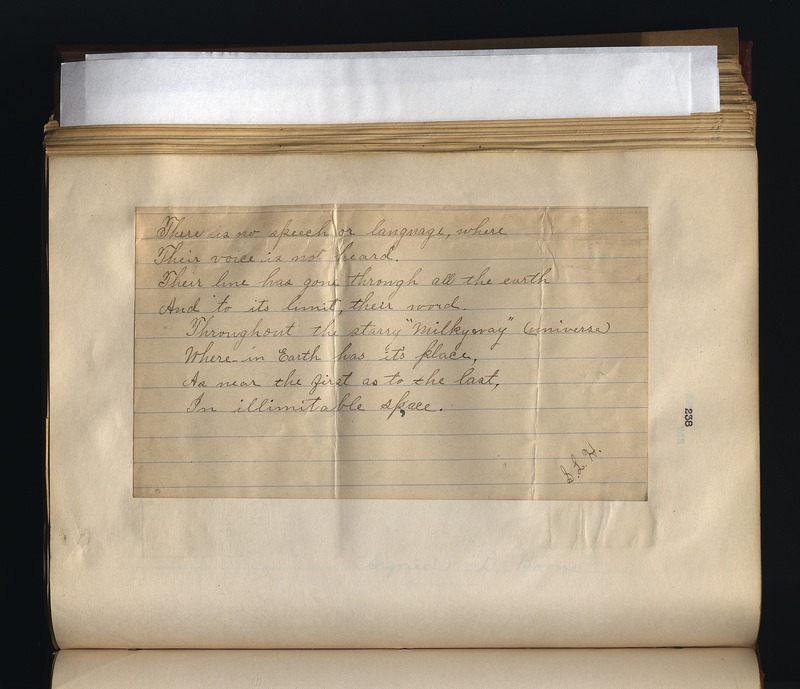 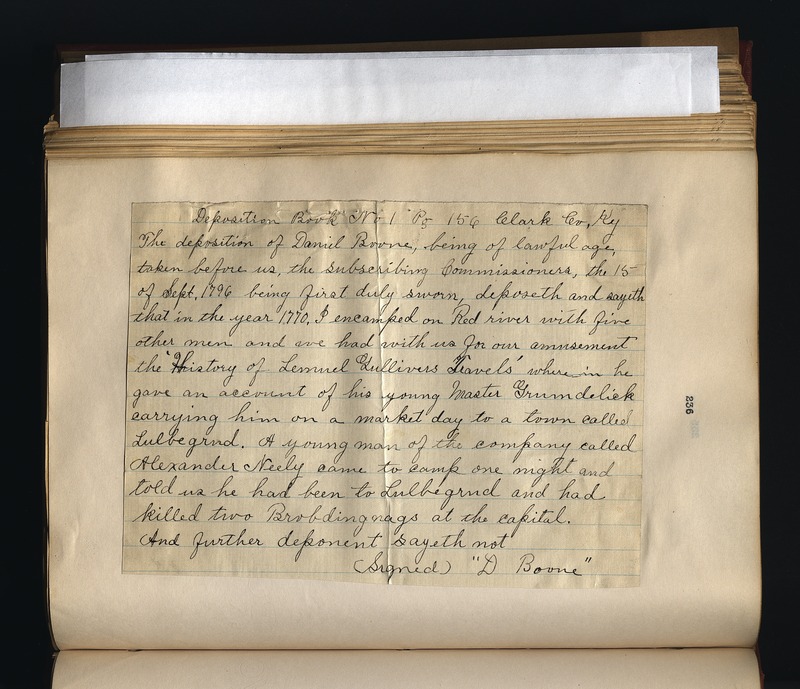 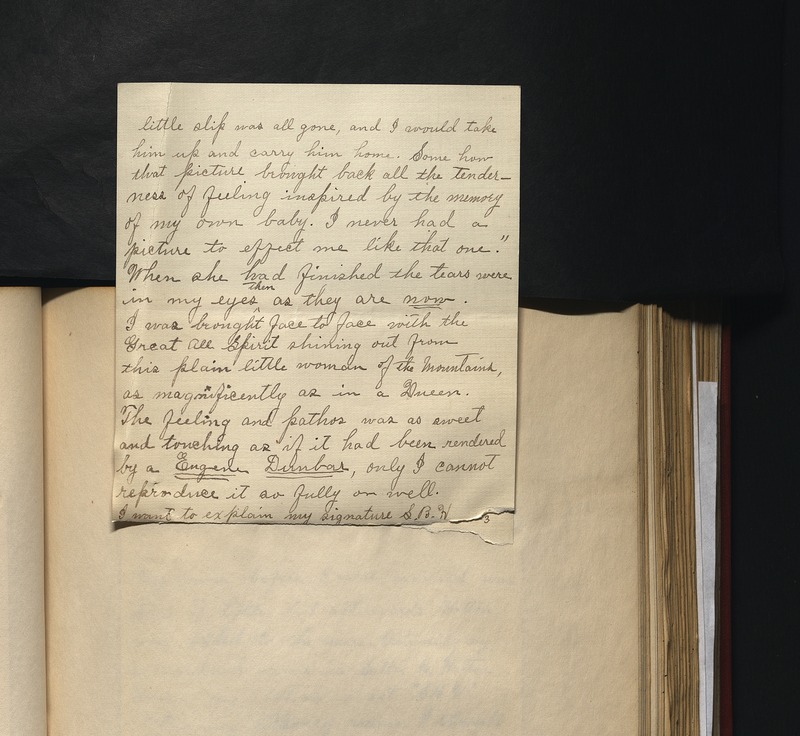 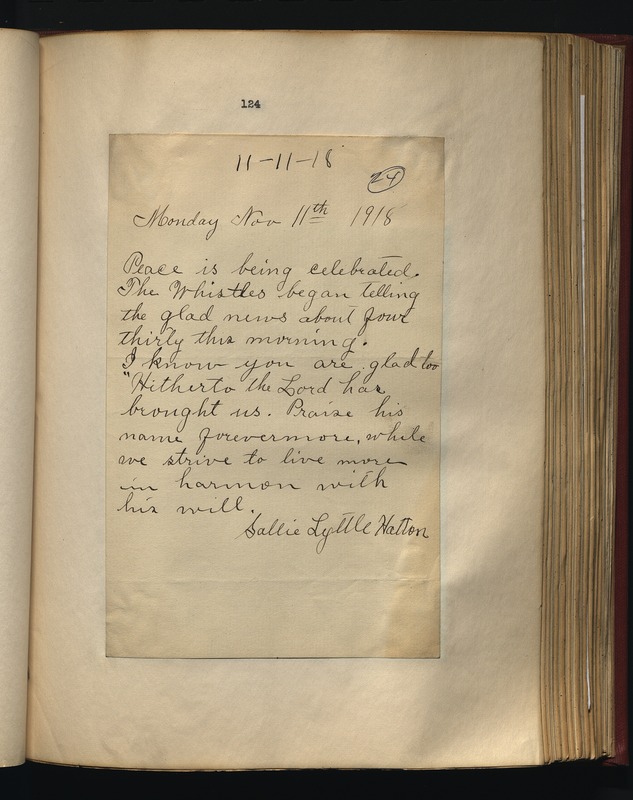 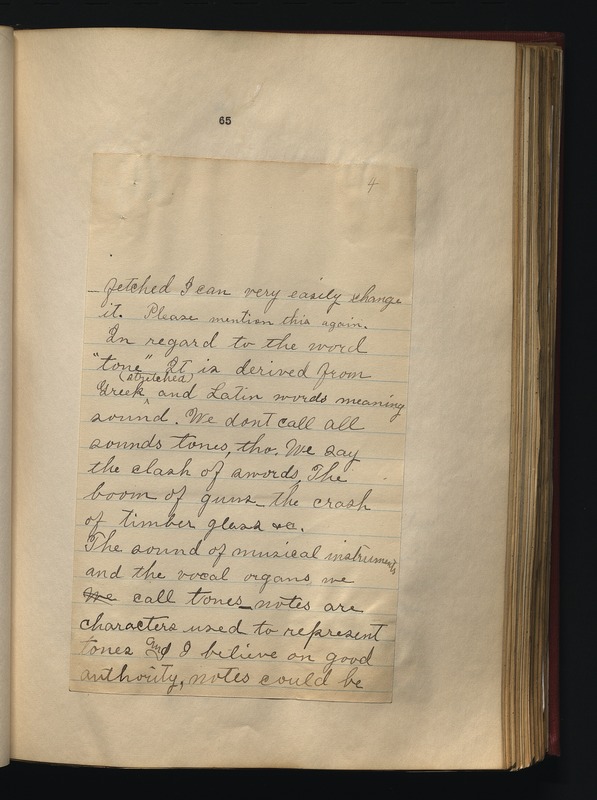 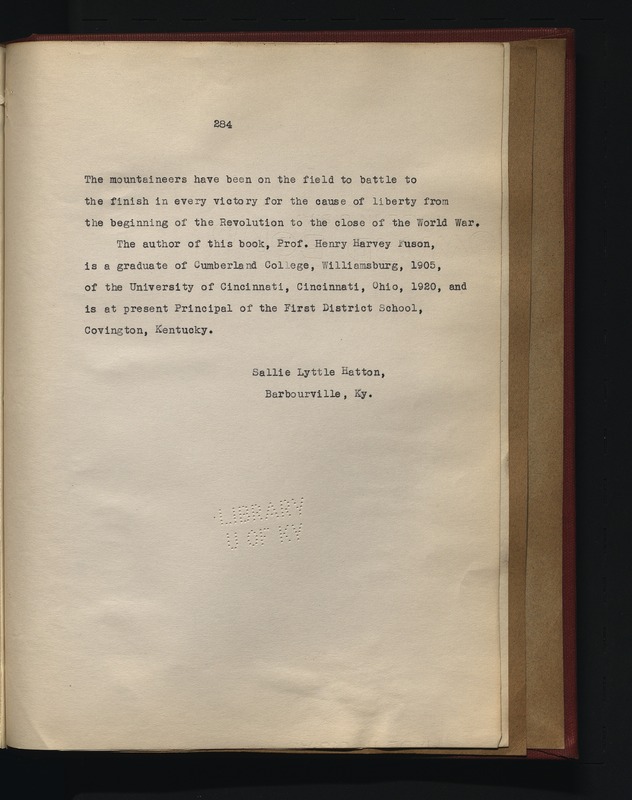 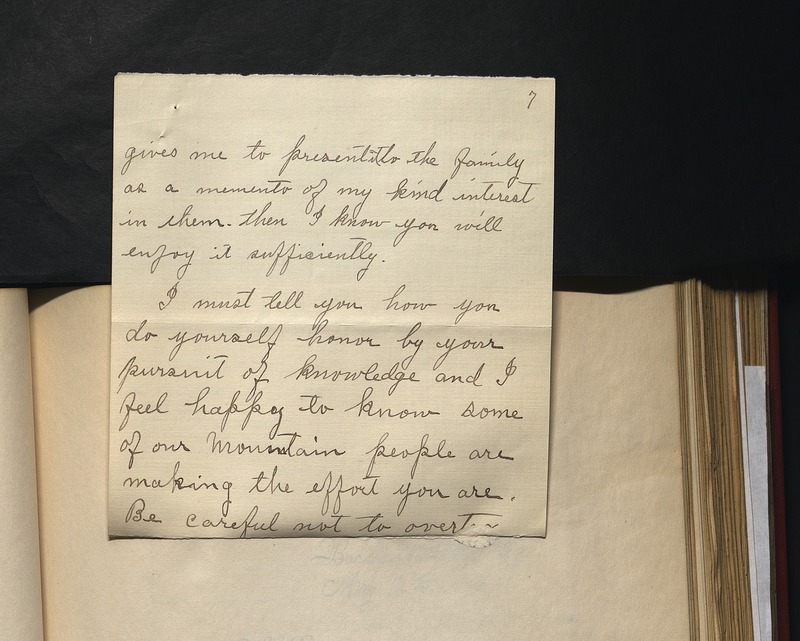 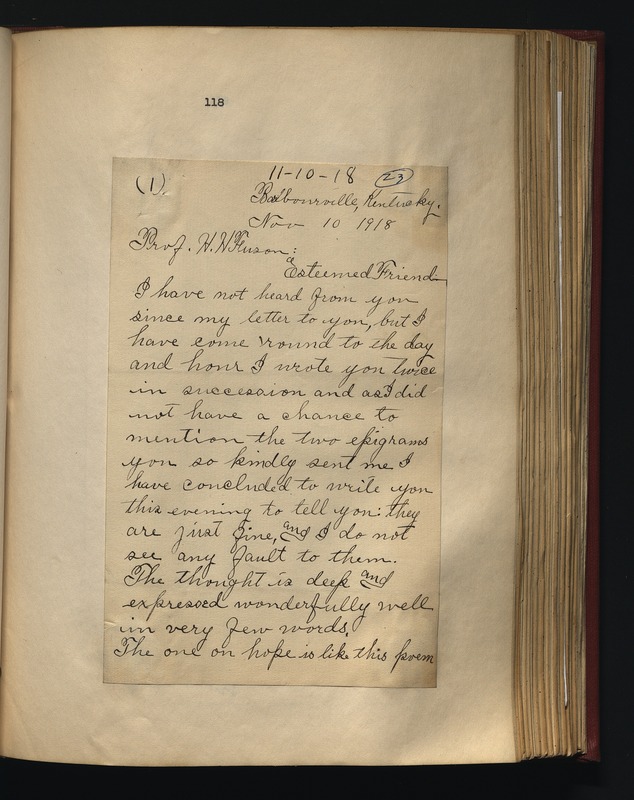 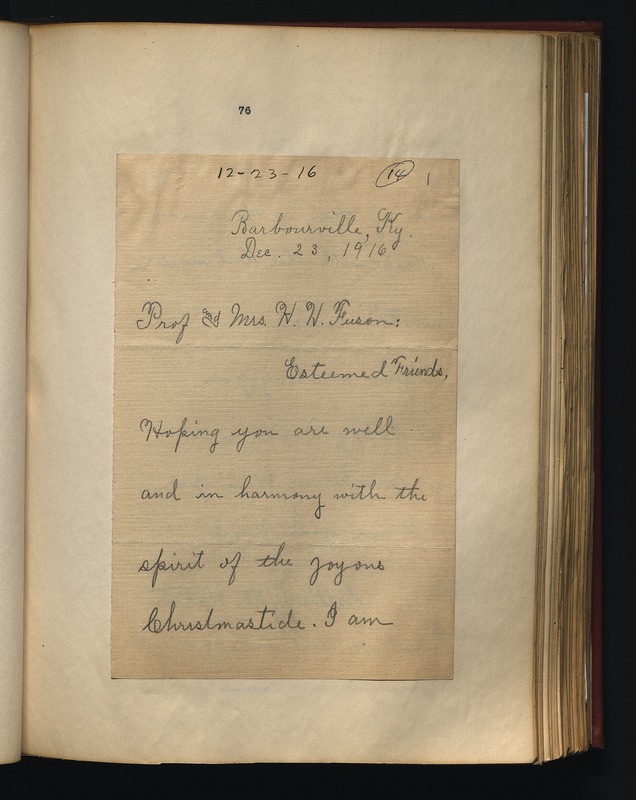 The letters provide information on life and culture in the Appalachian region of Kentucky during the first two decades of the 20th century, documenting World War I, the war effort, and the 1918-1919 flu epidemic. 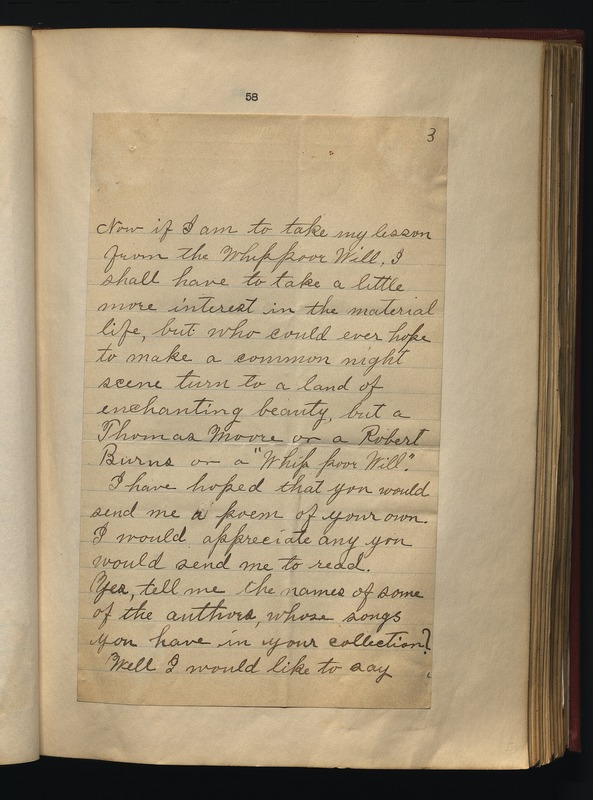 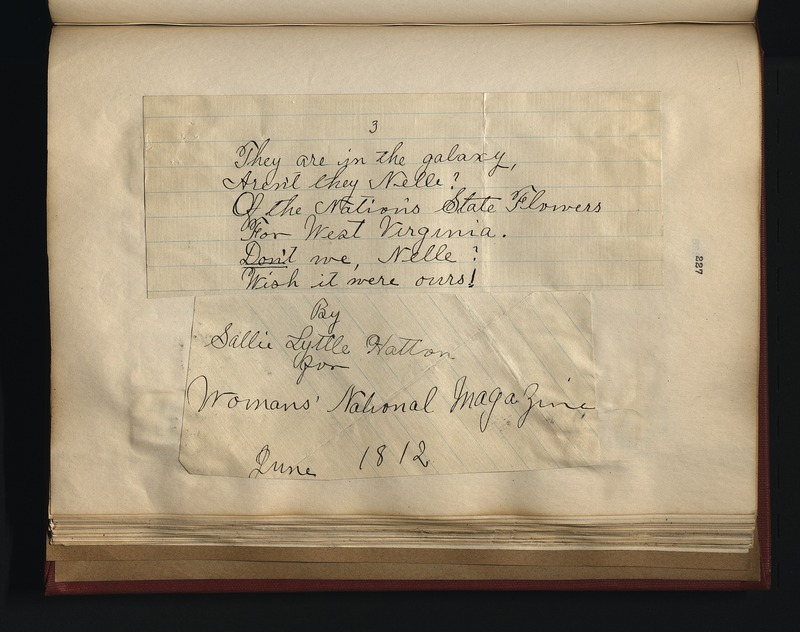 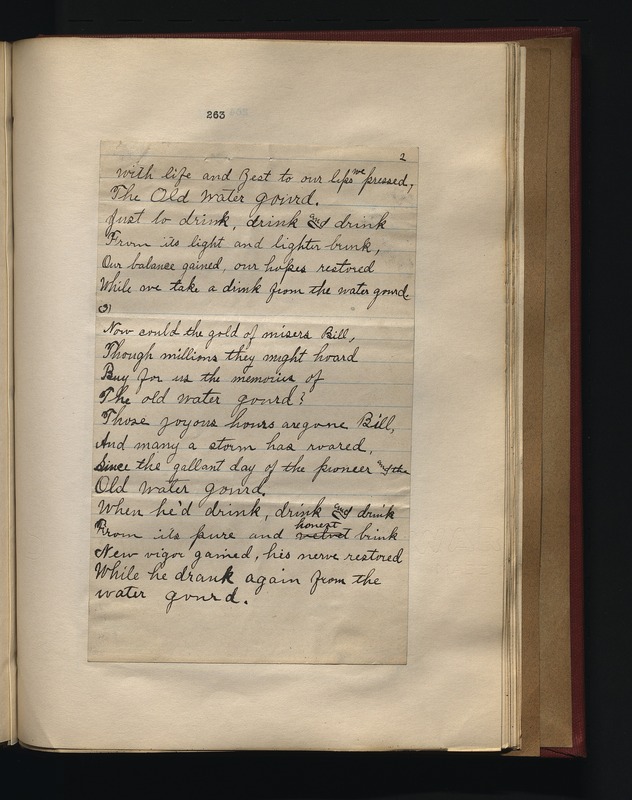 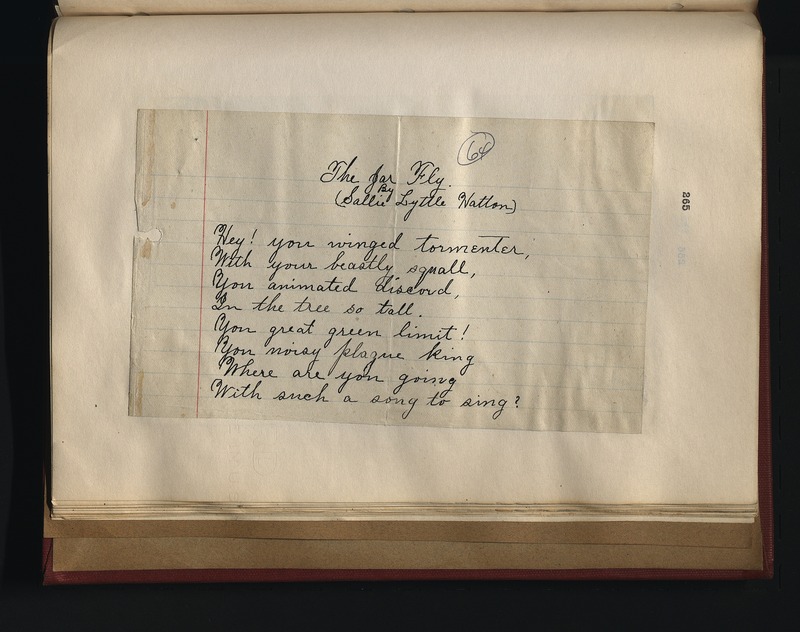 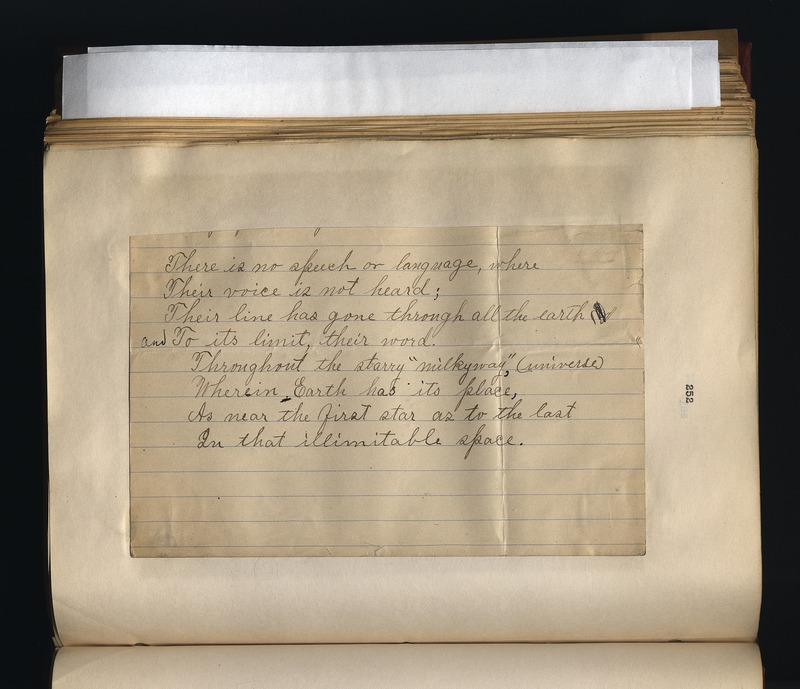 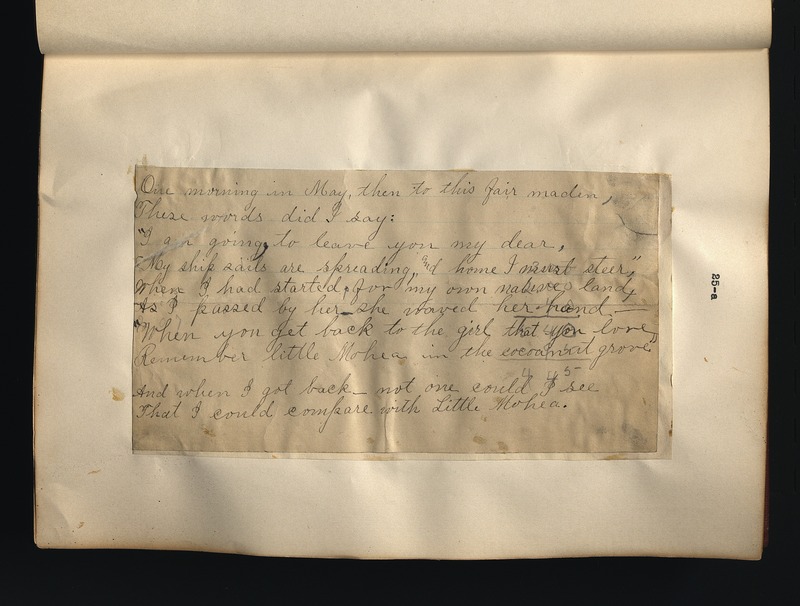 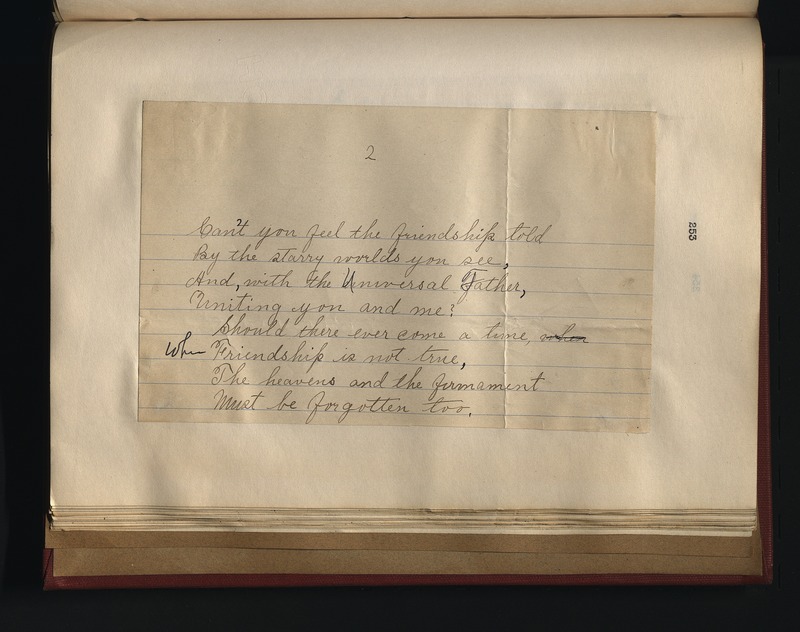 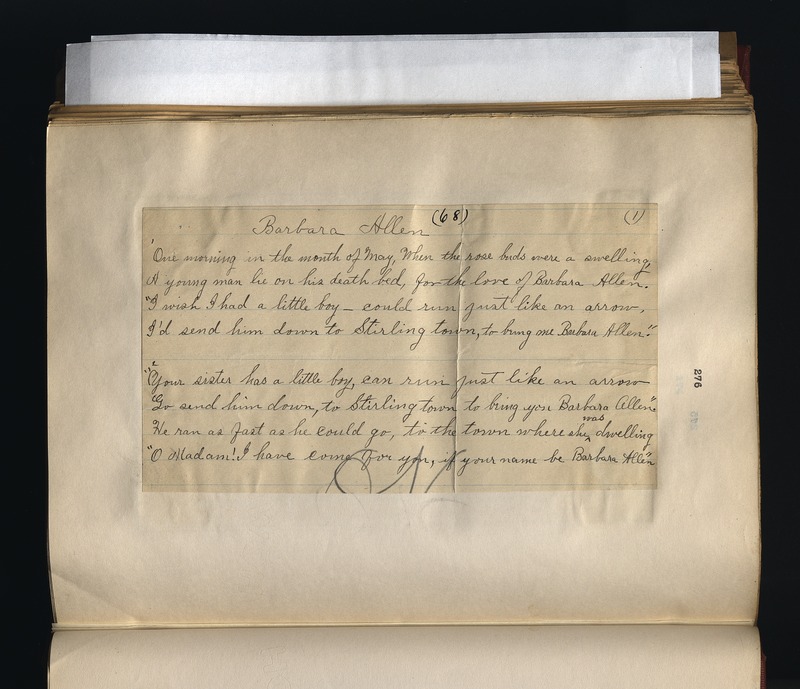 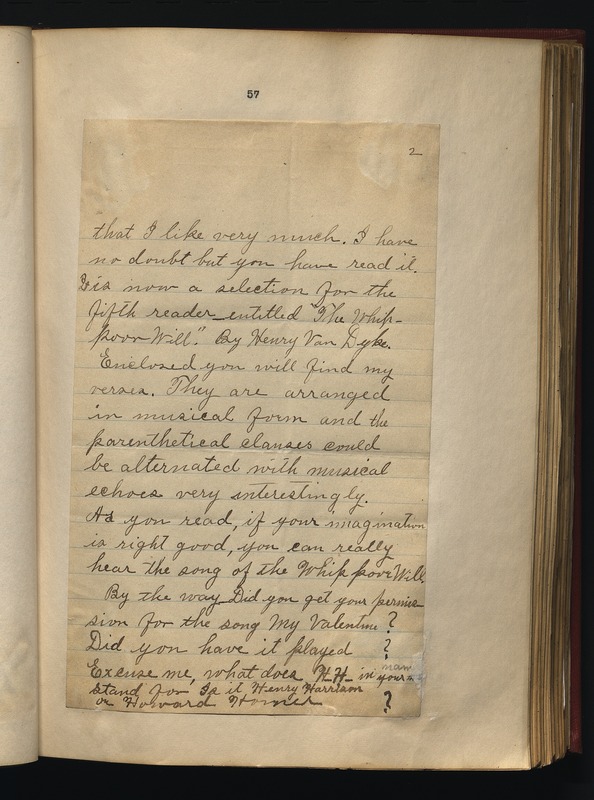 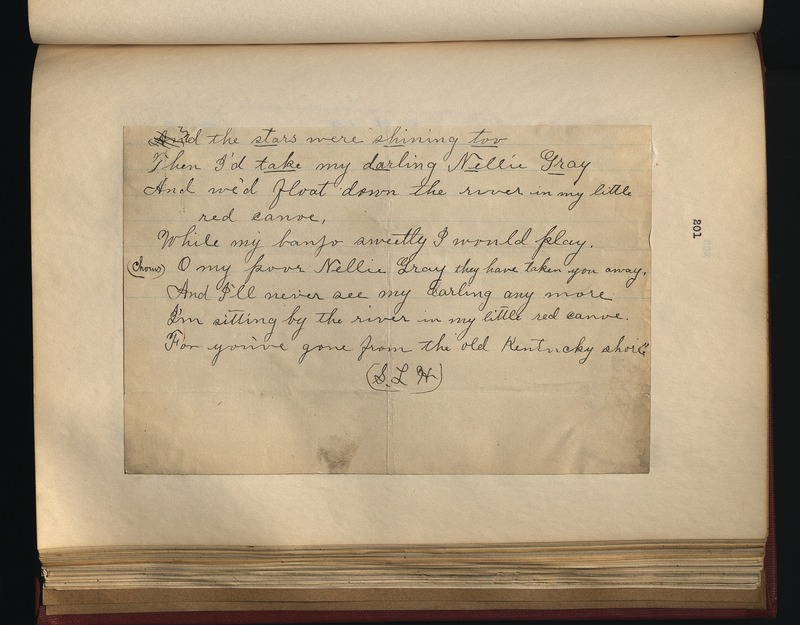 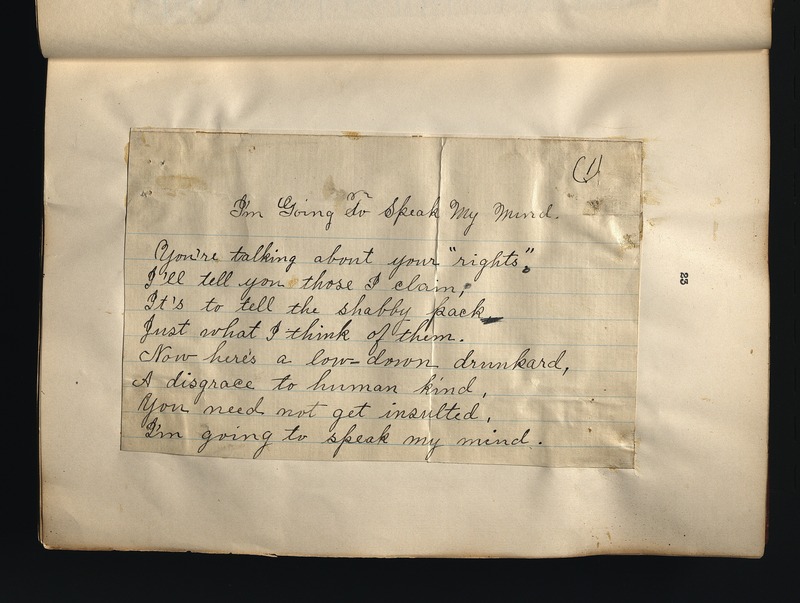 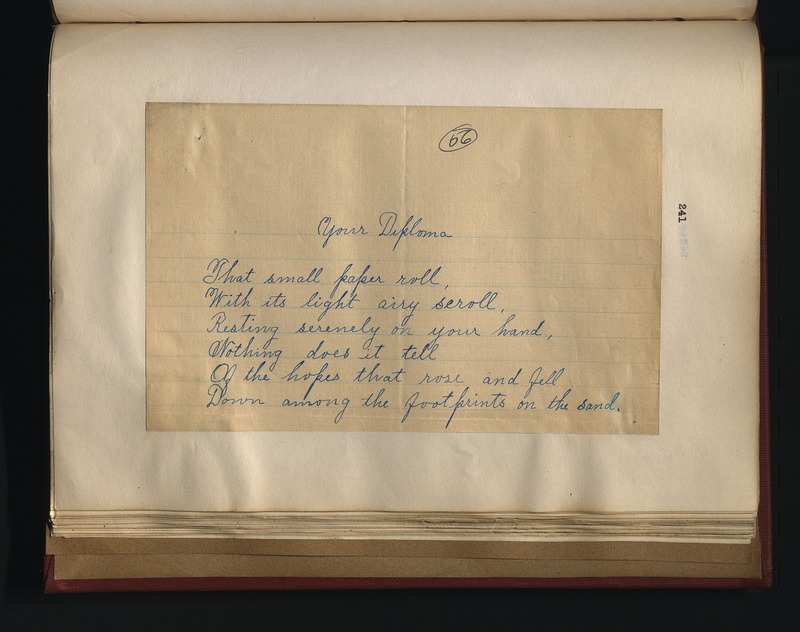 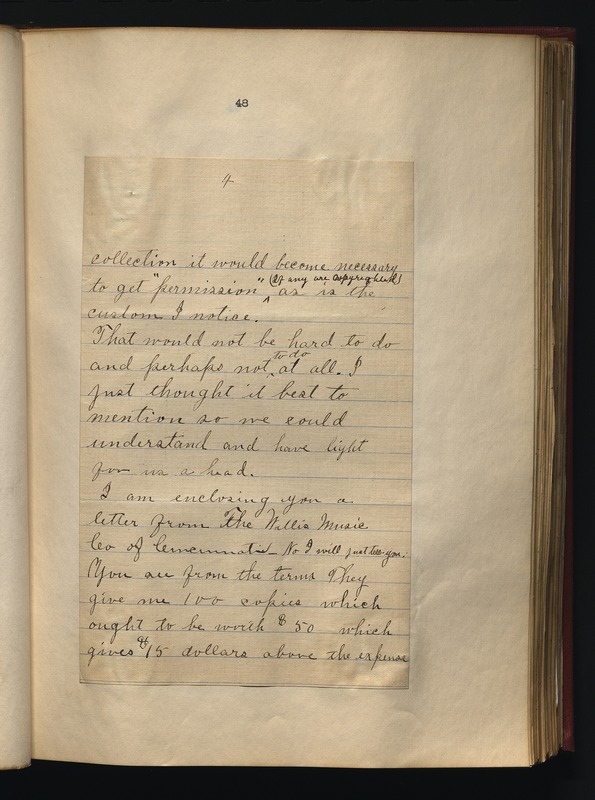 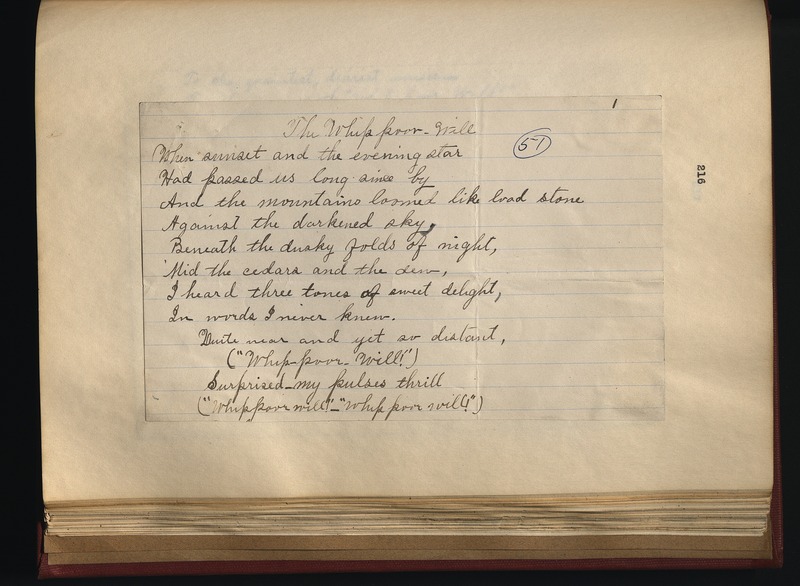 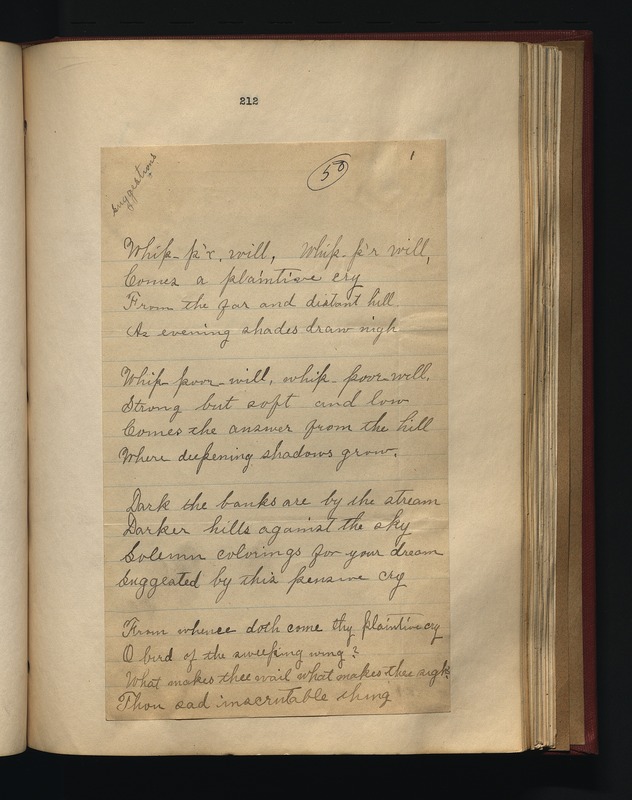 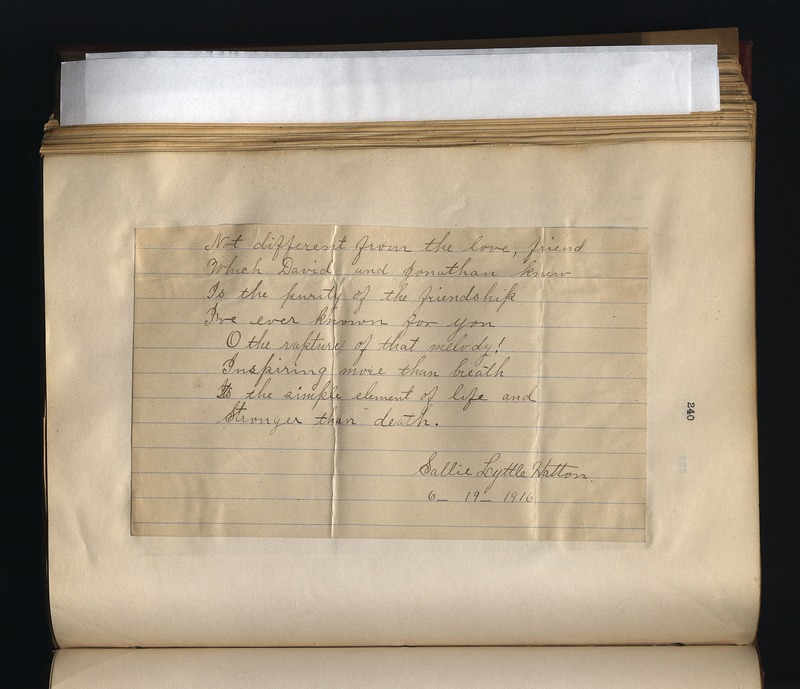 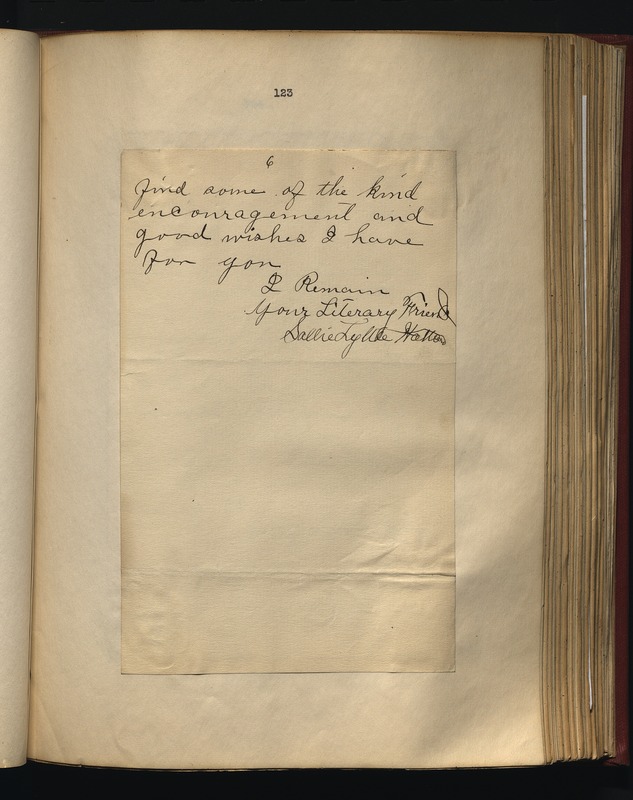 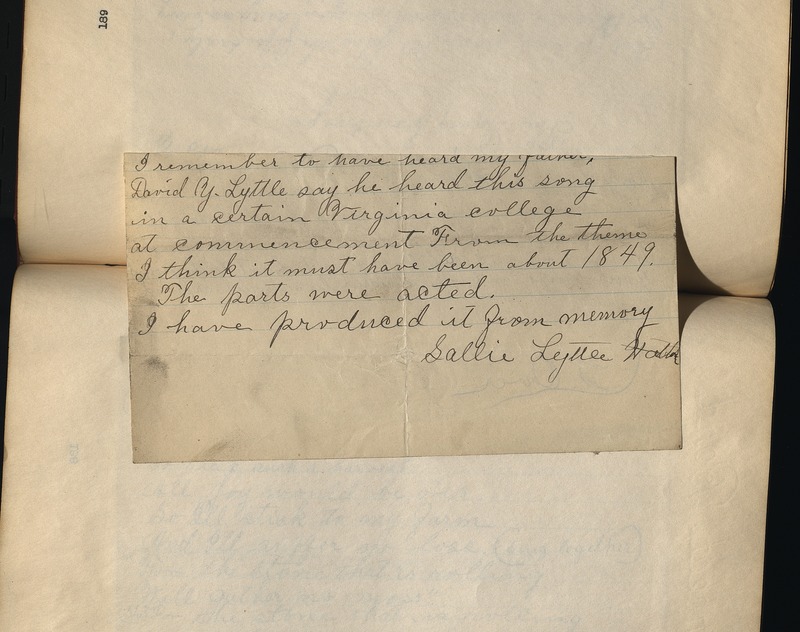 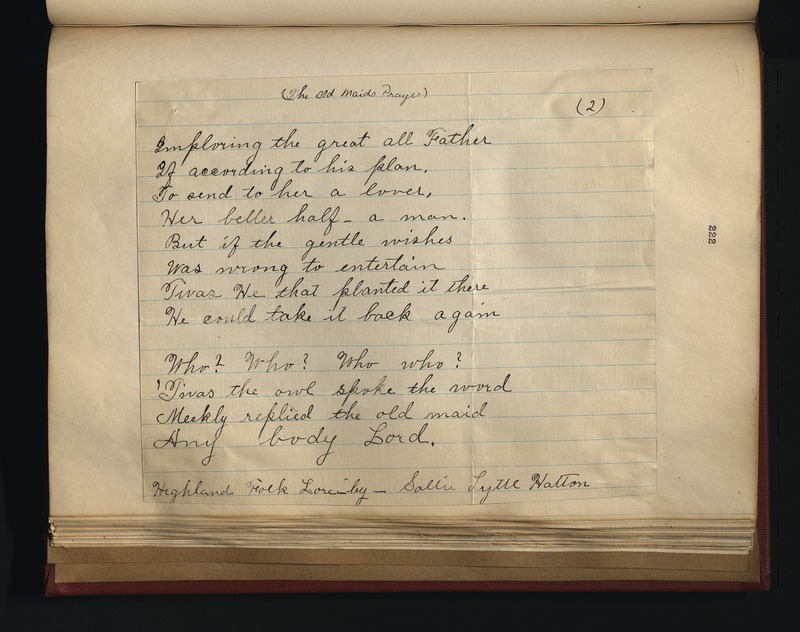 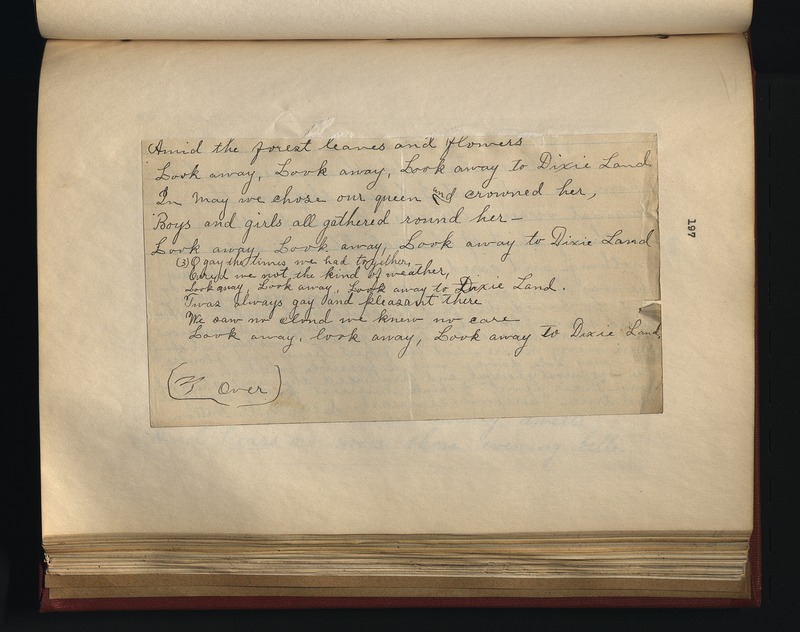 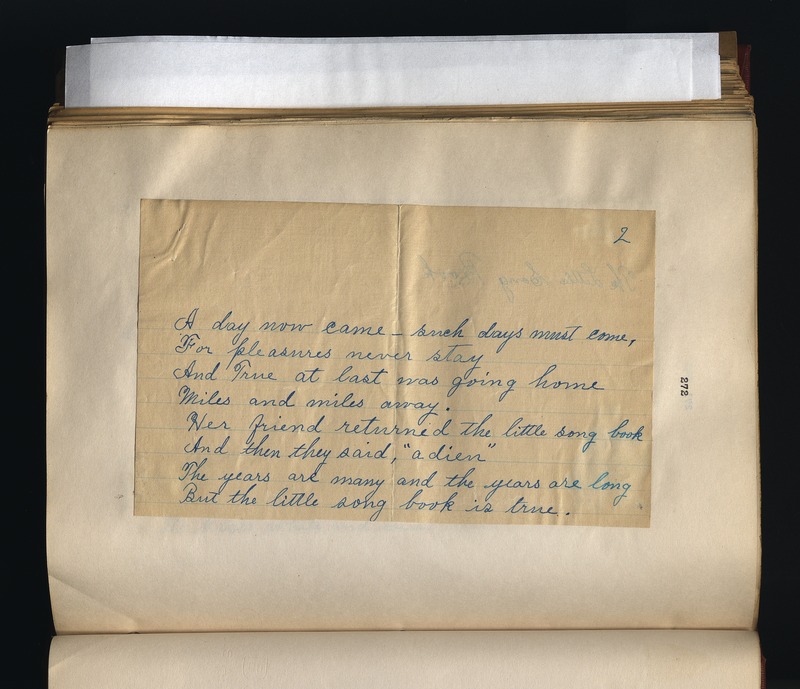 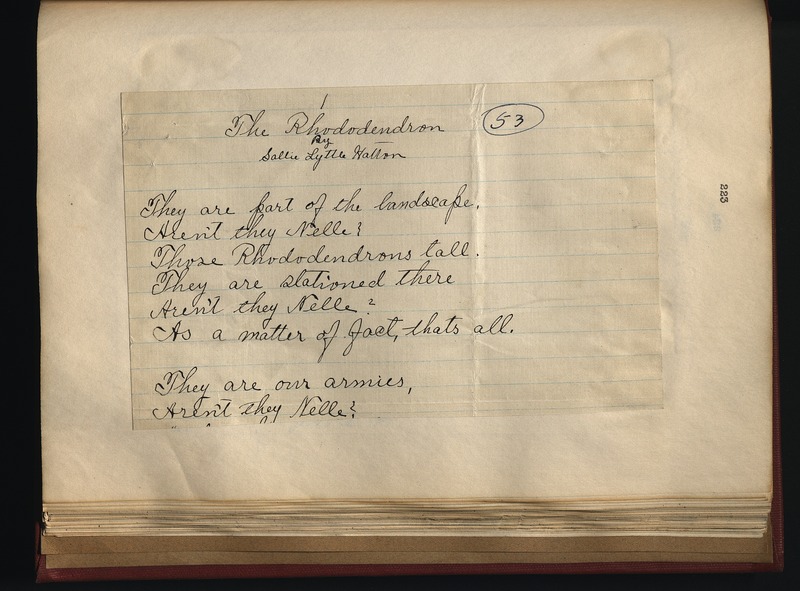 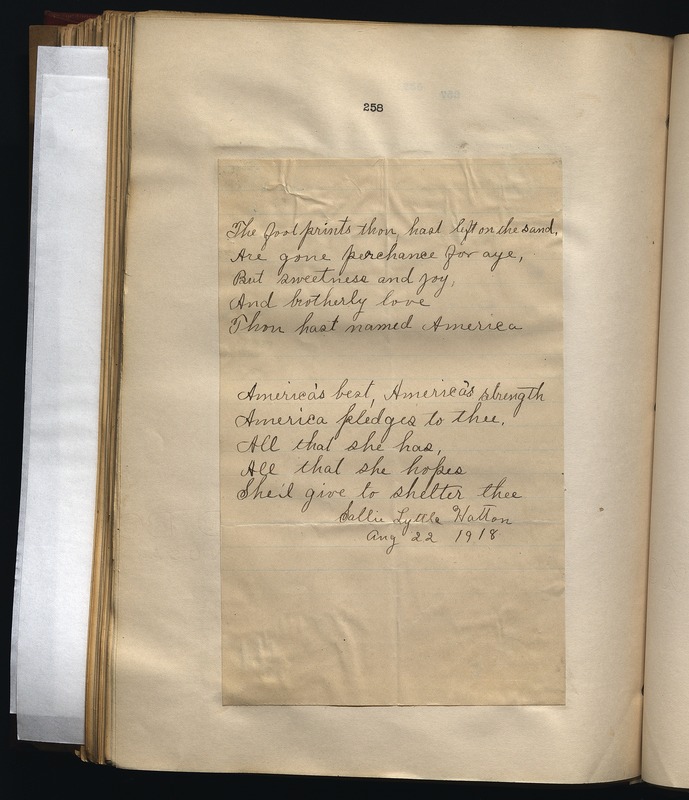 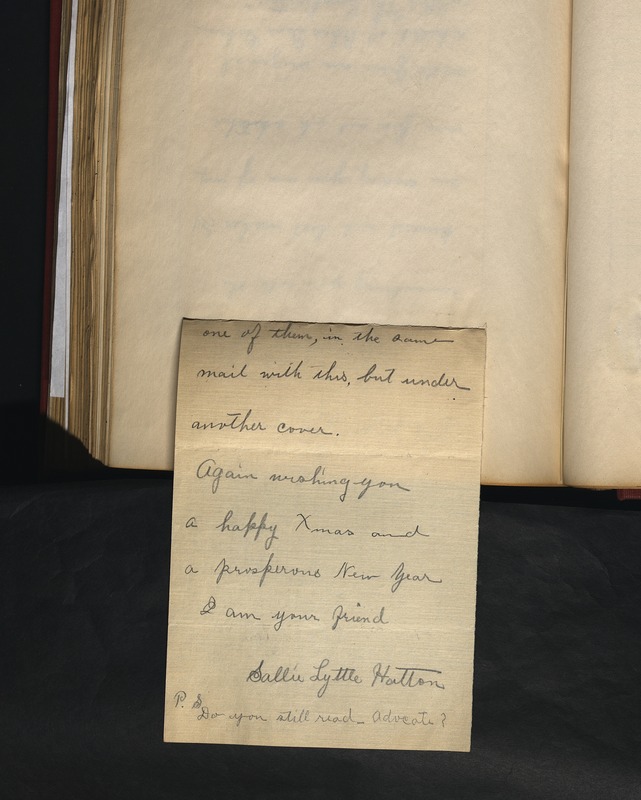 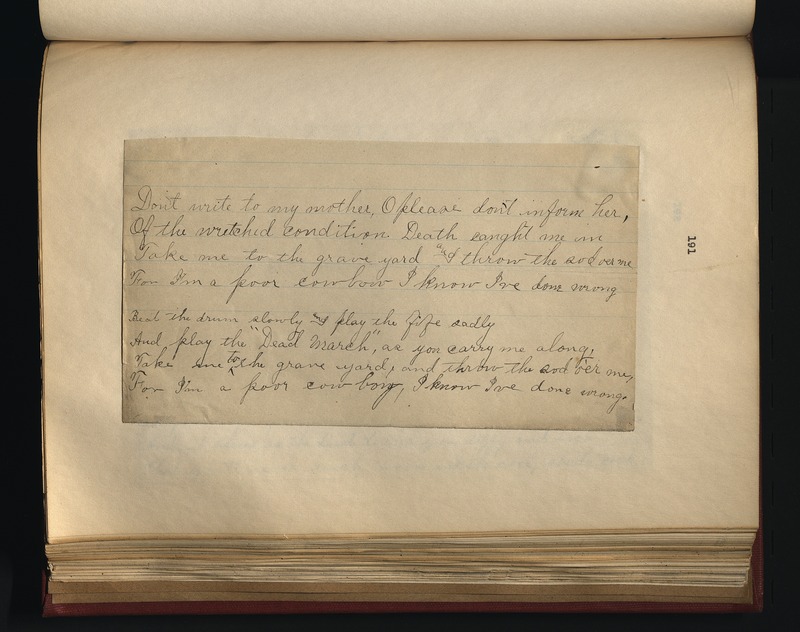 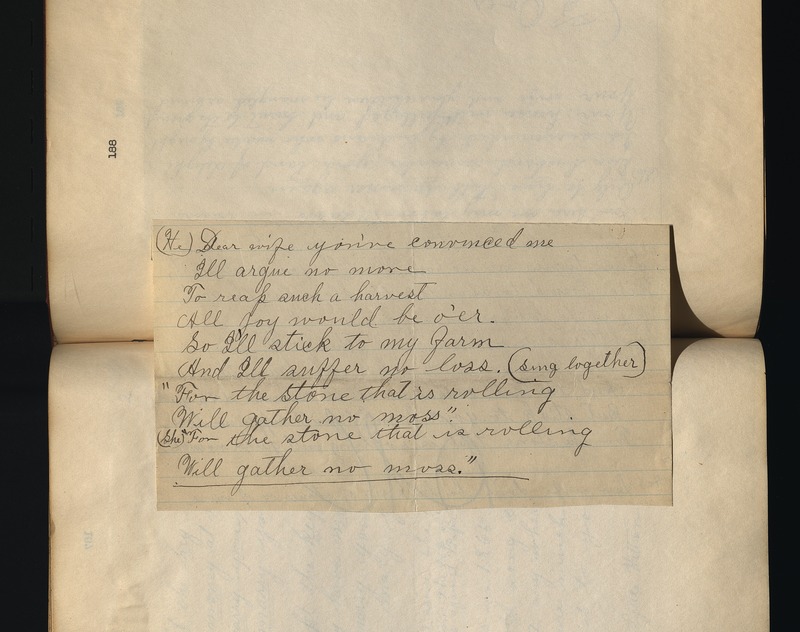 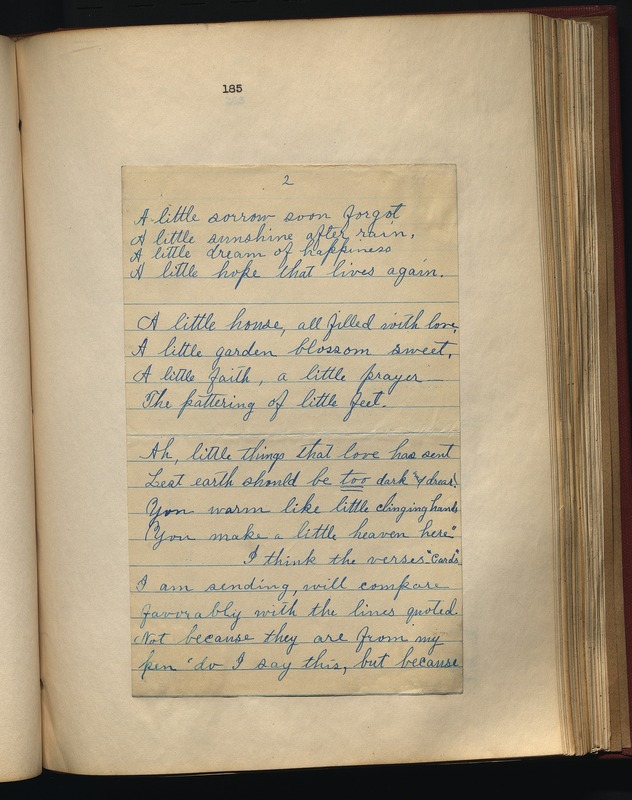 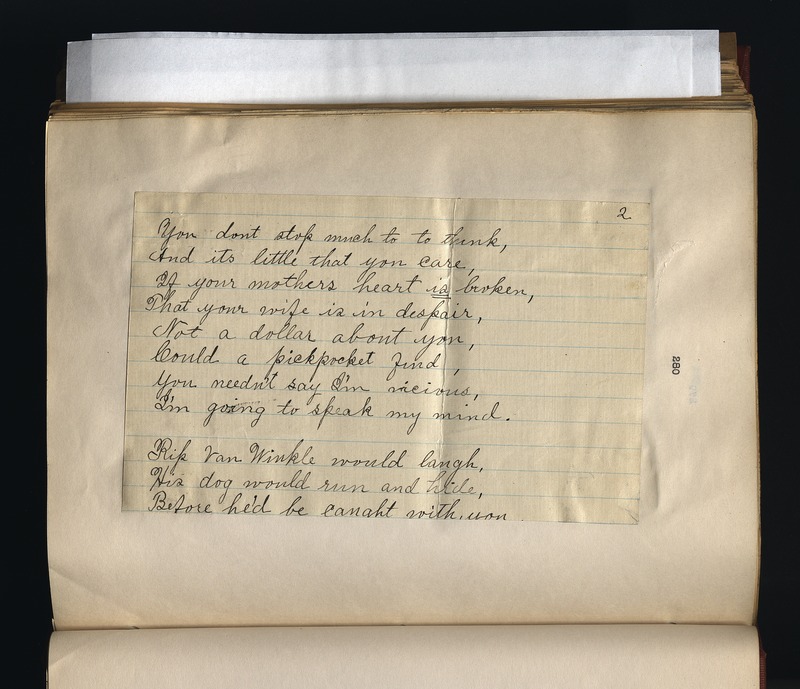 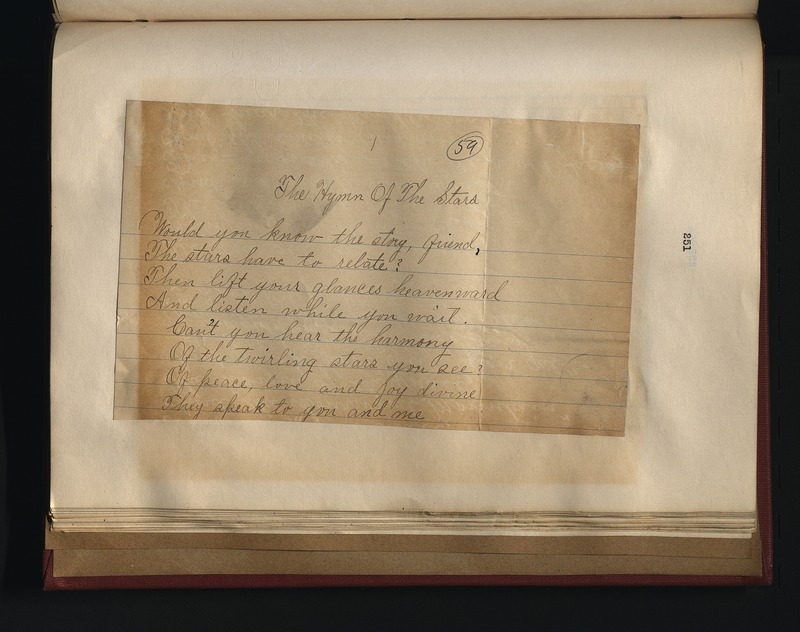 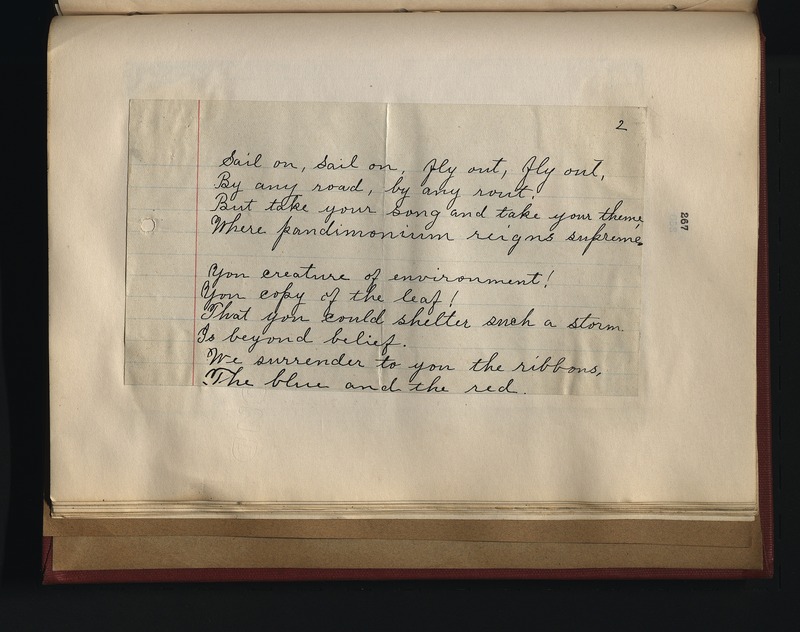 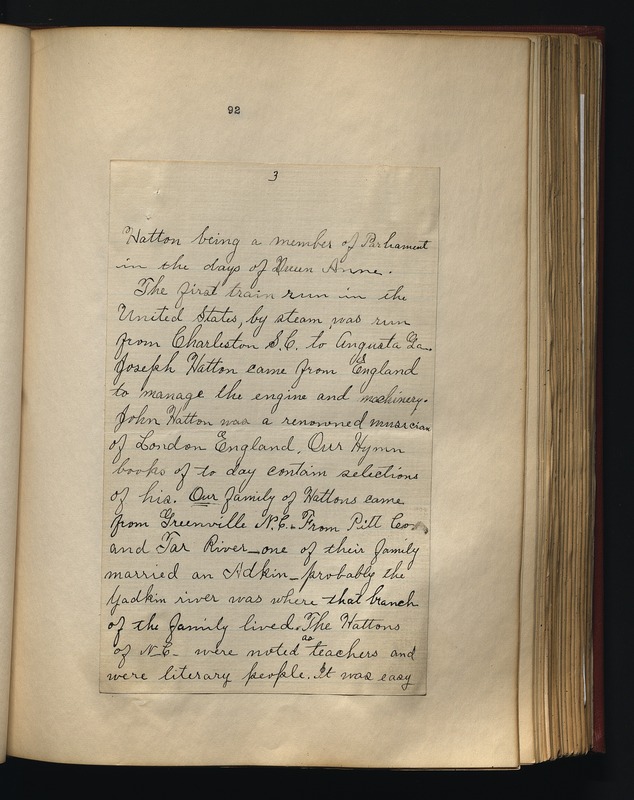 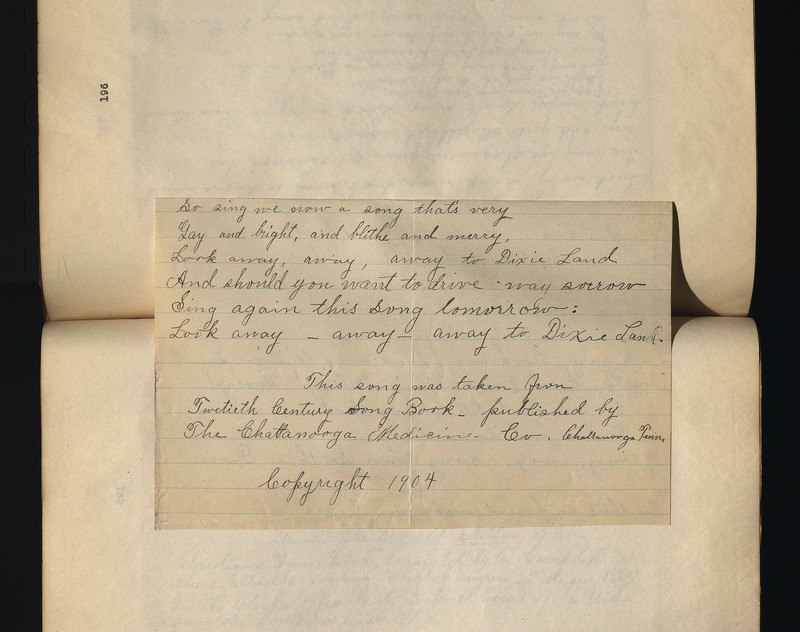 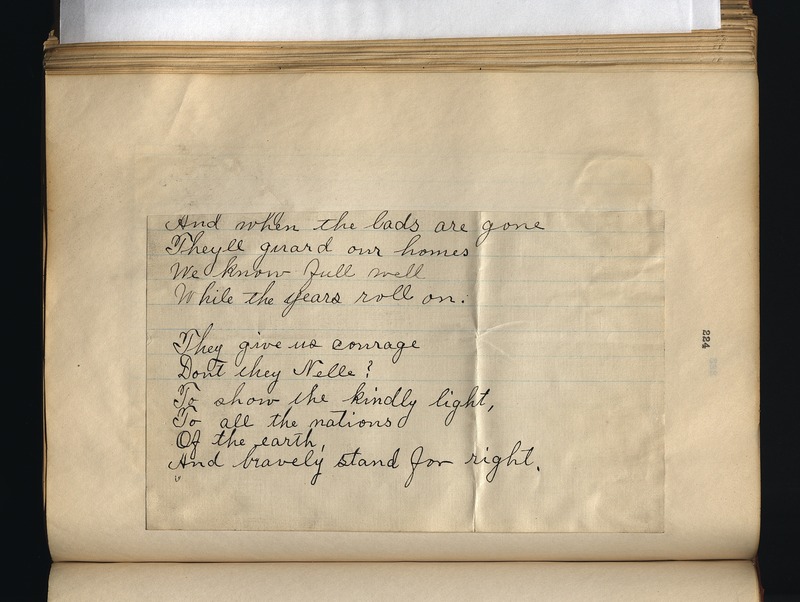 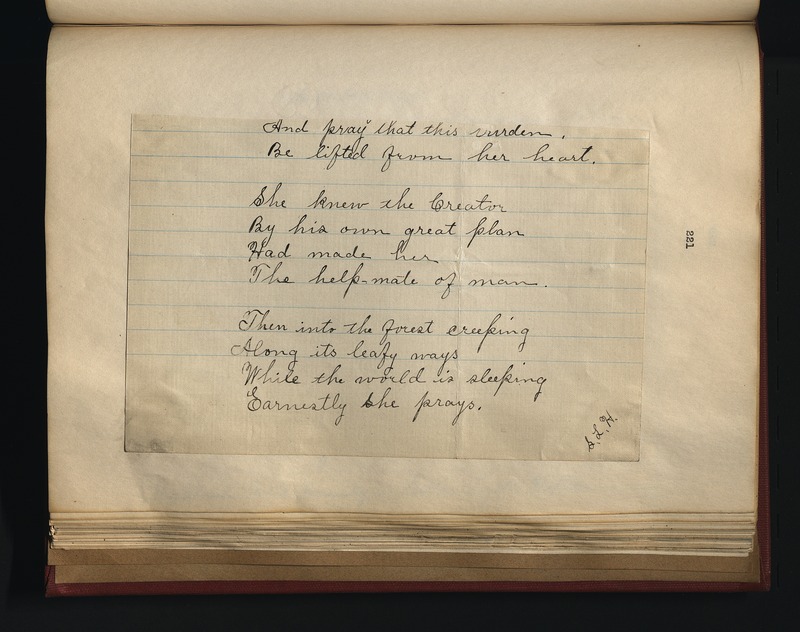 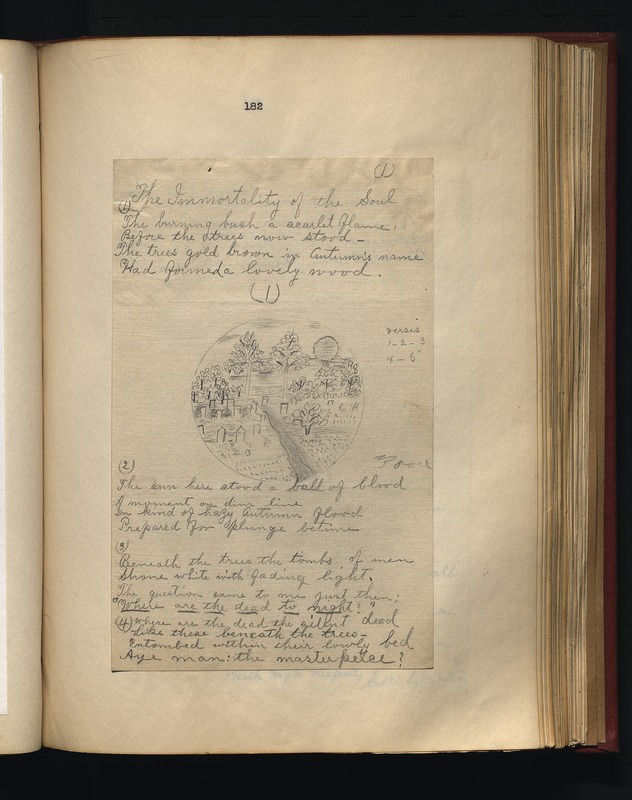 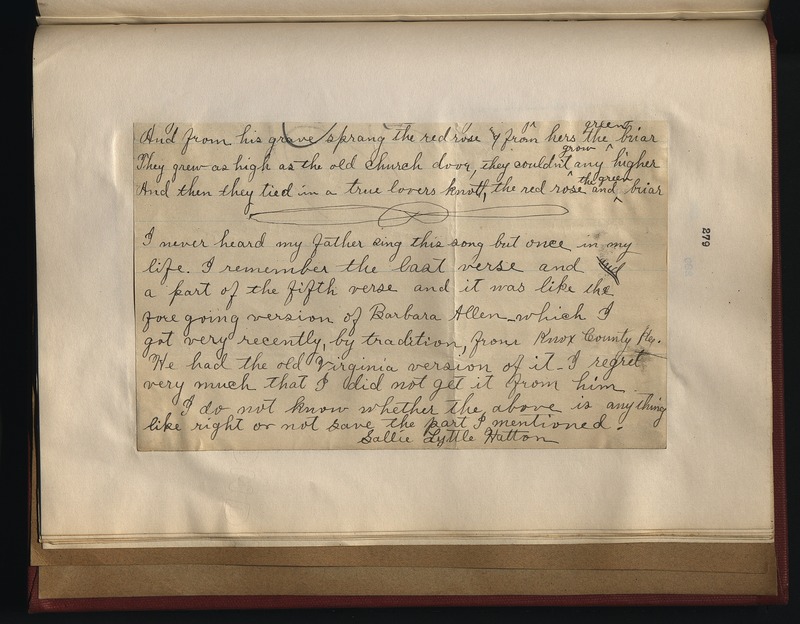 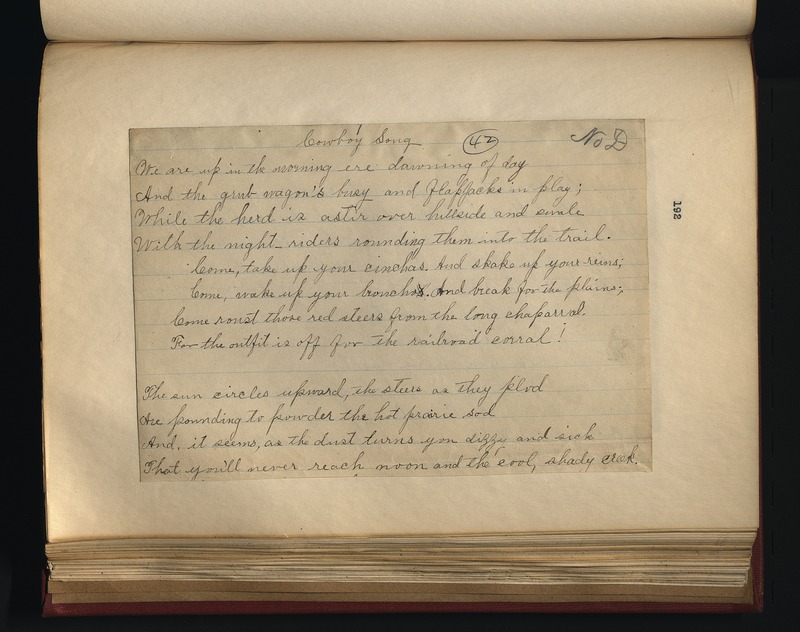 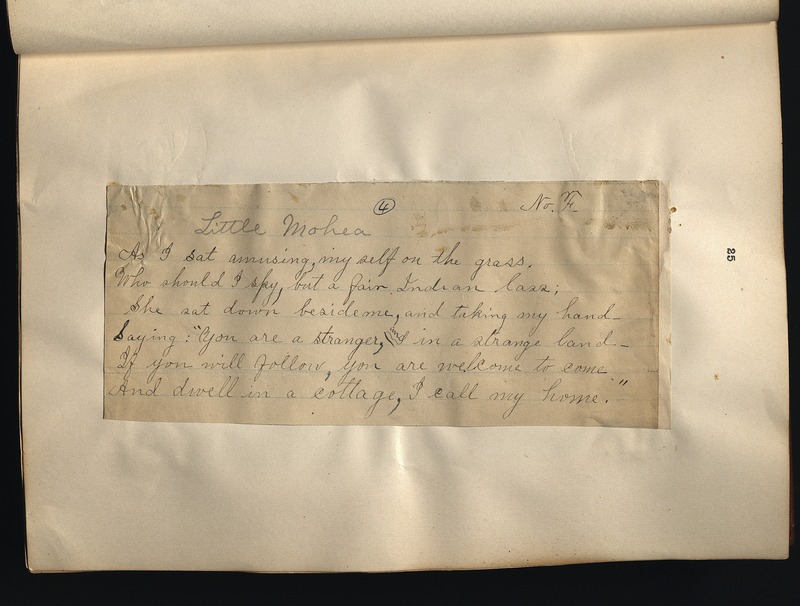 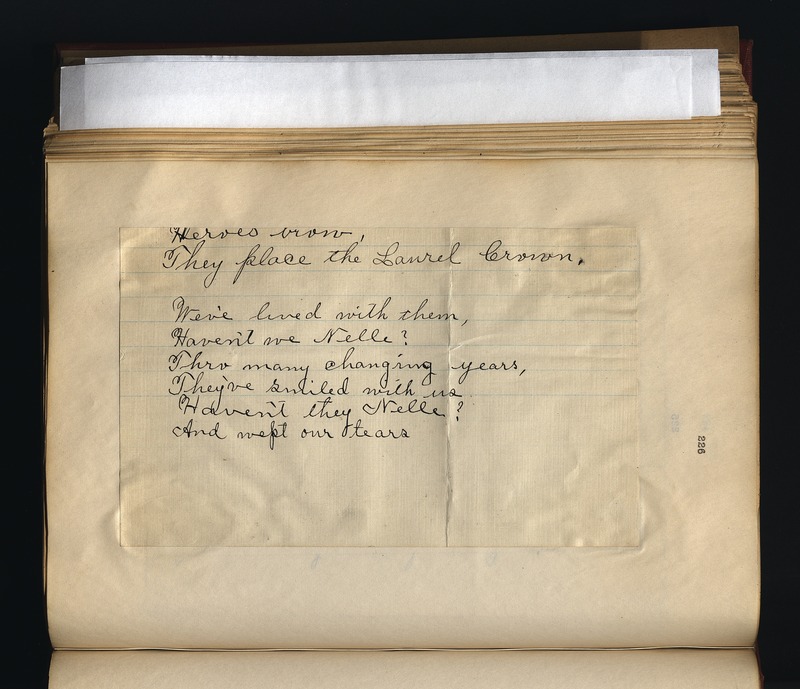 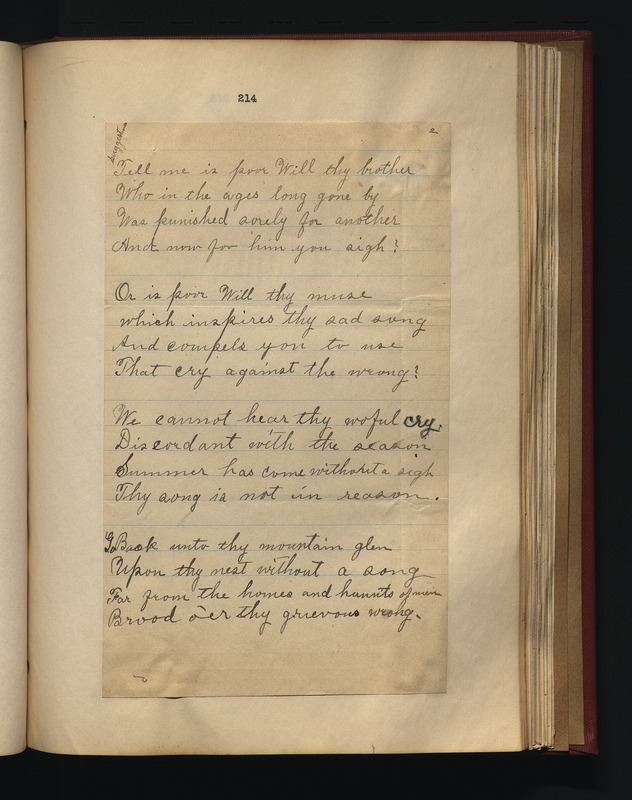 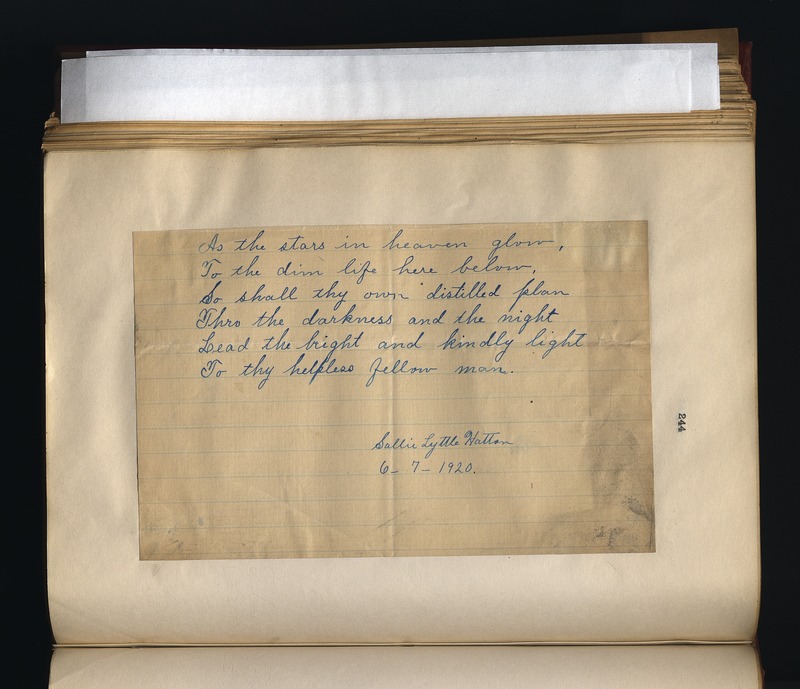 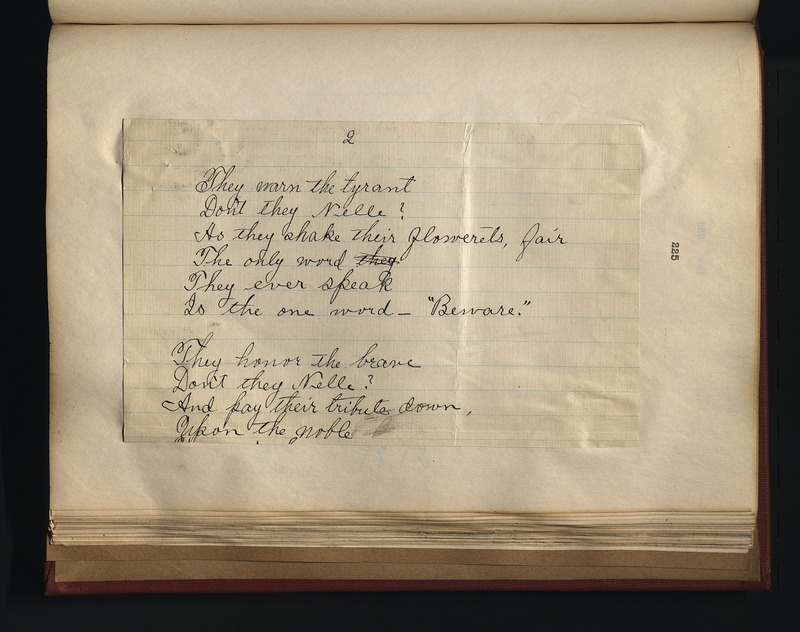 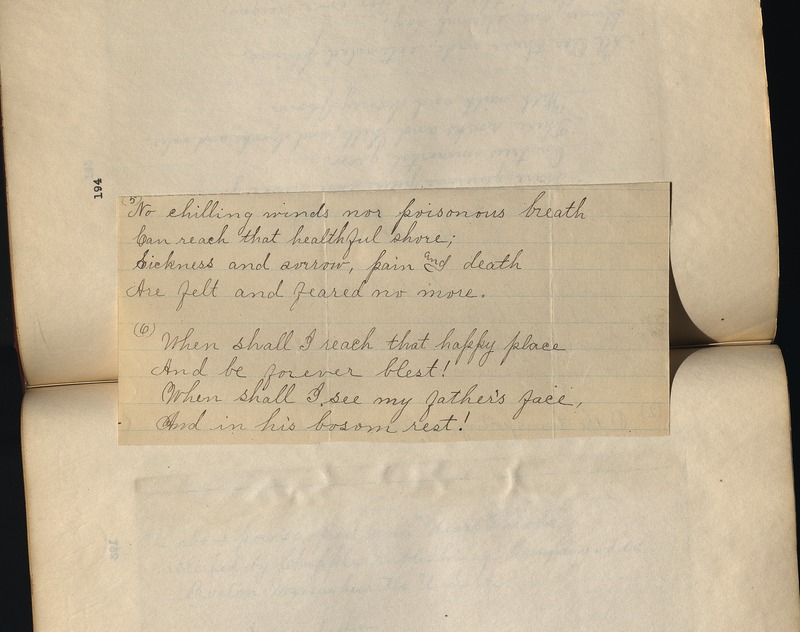 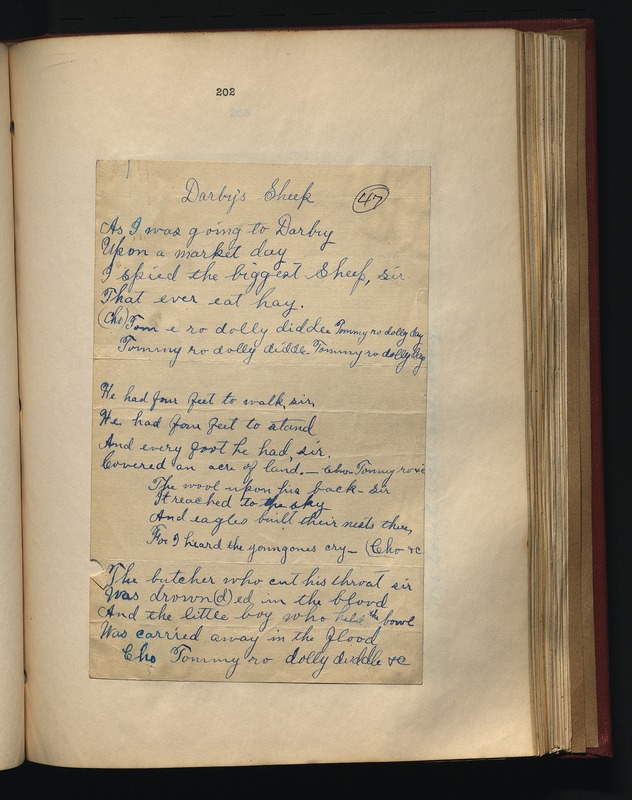 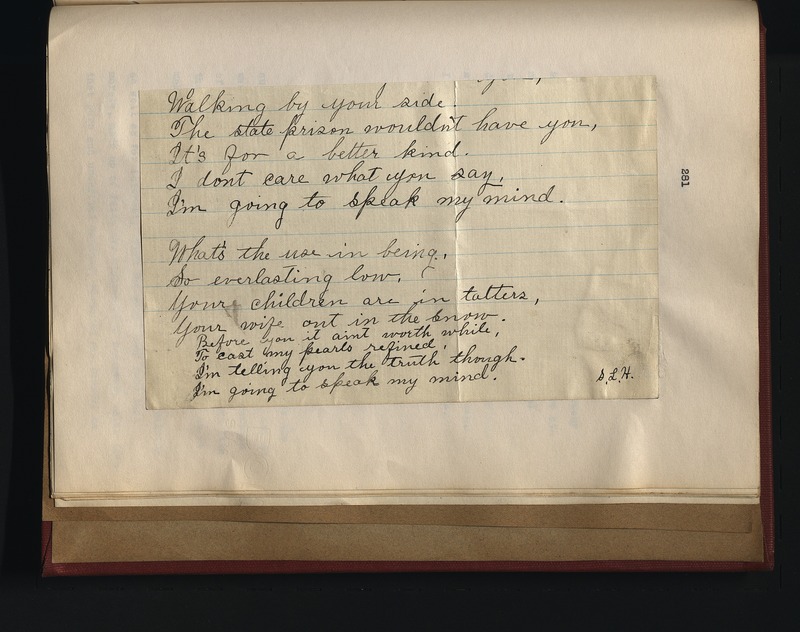 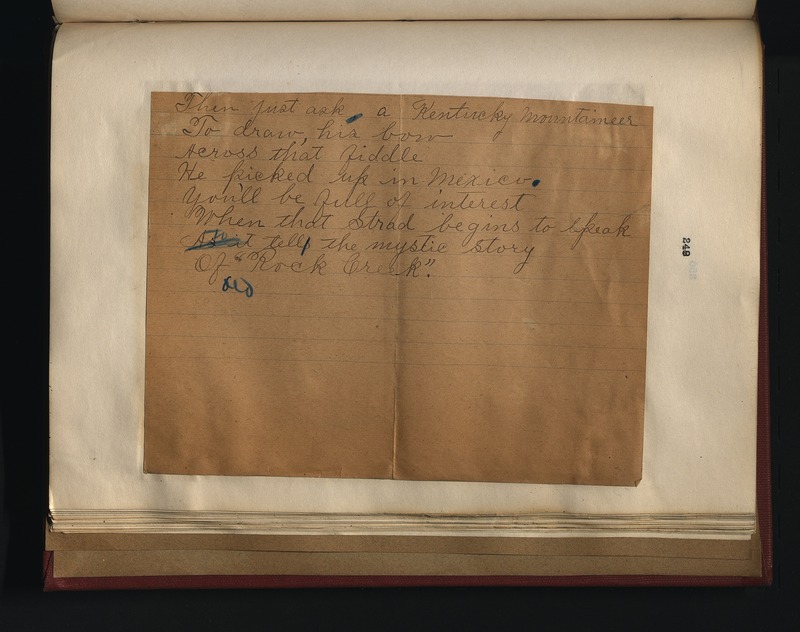 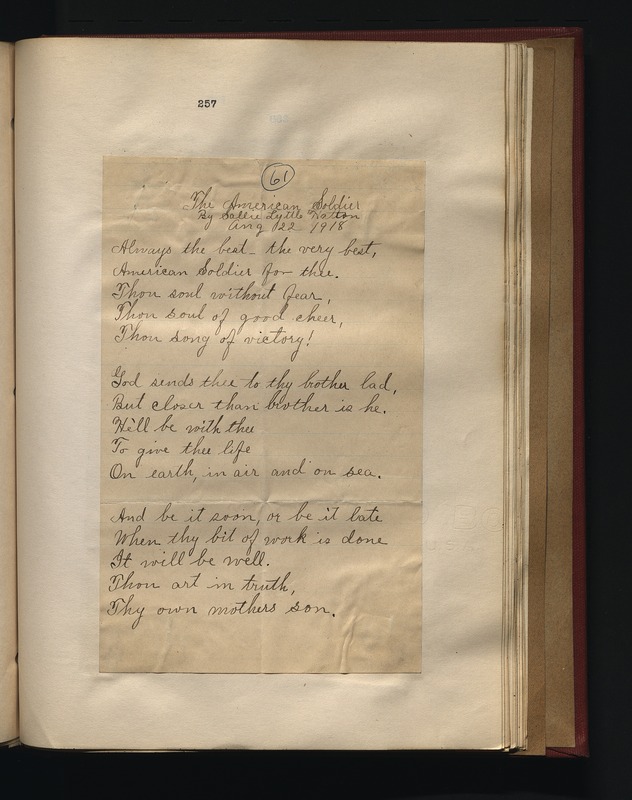 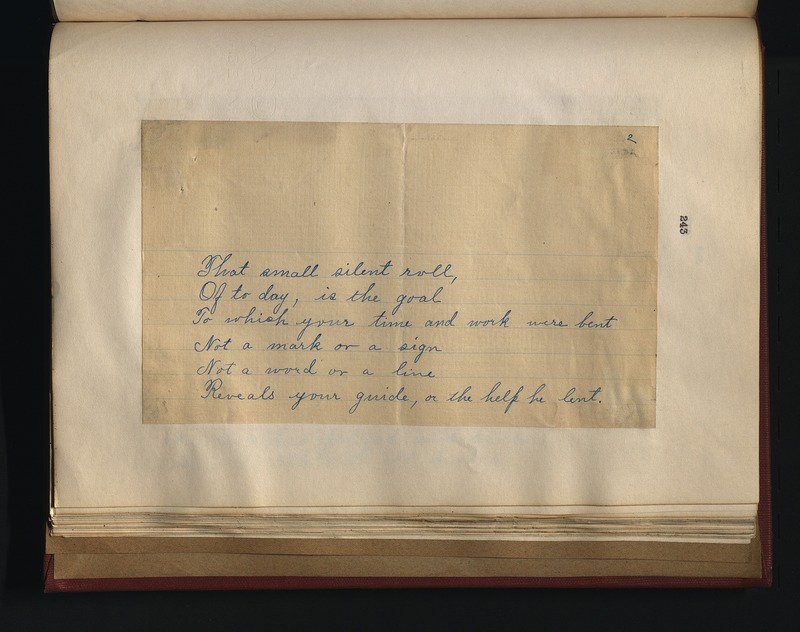 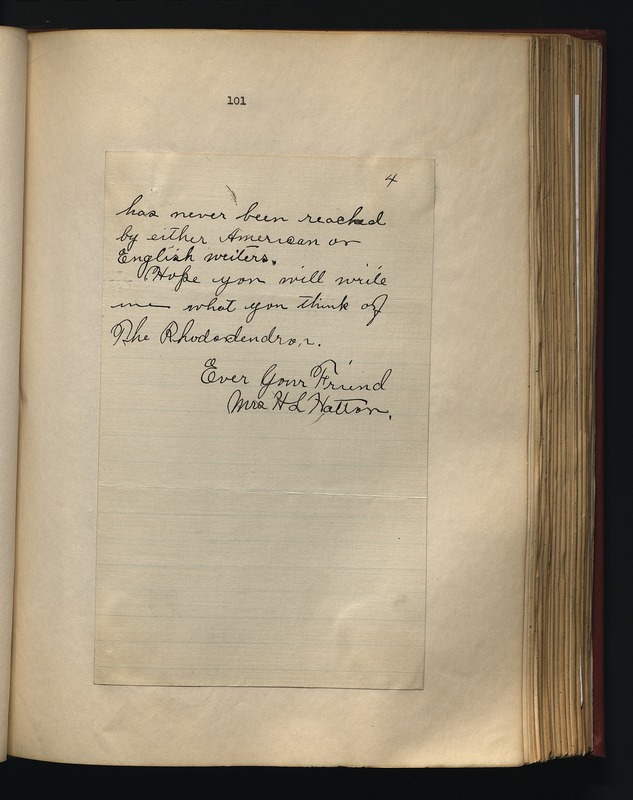 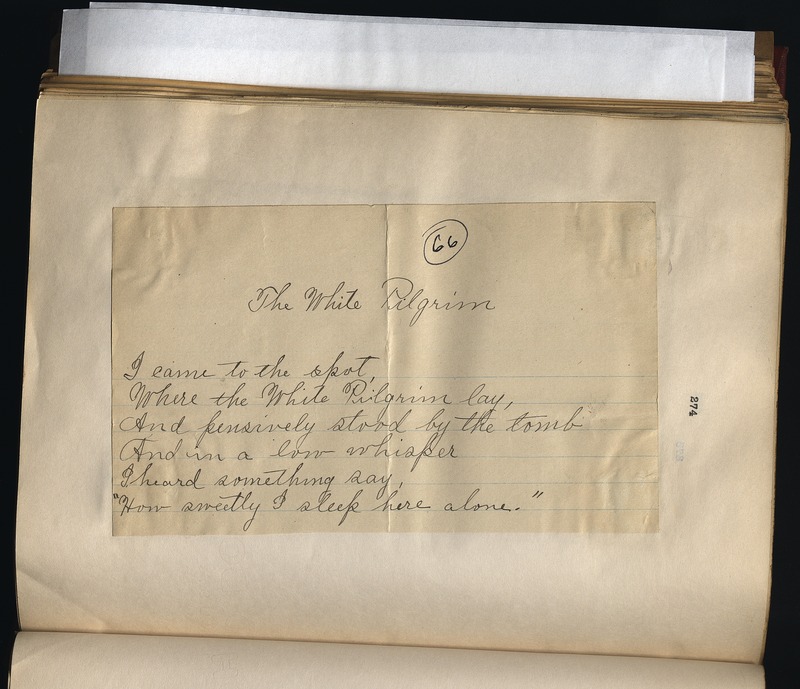 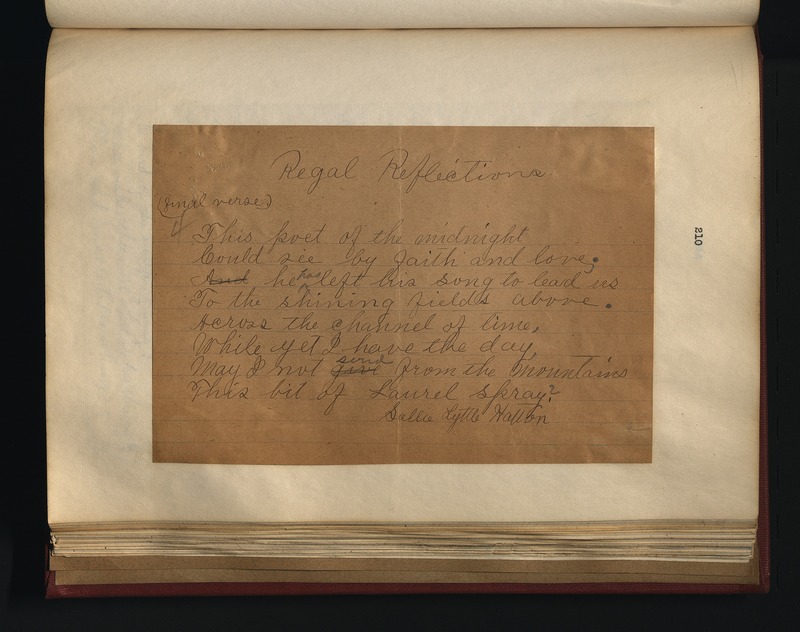 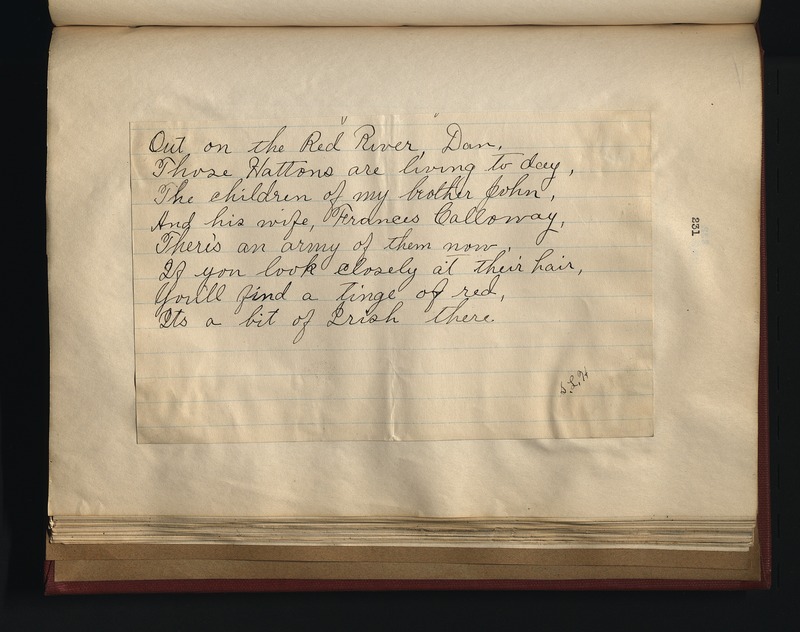 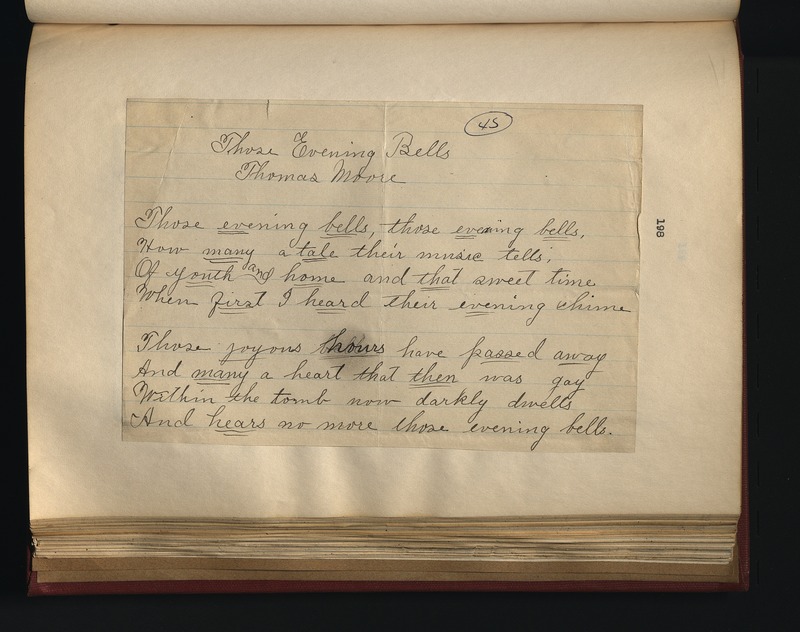 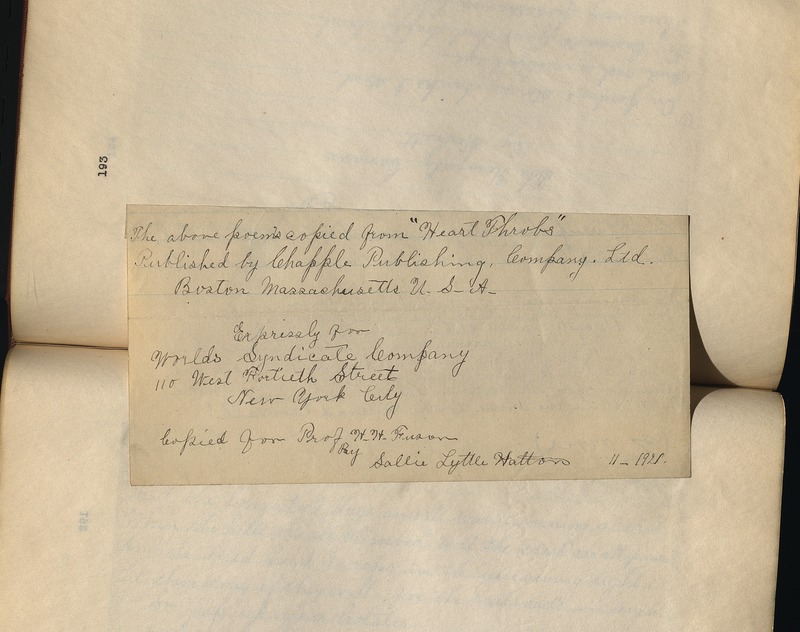 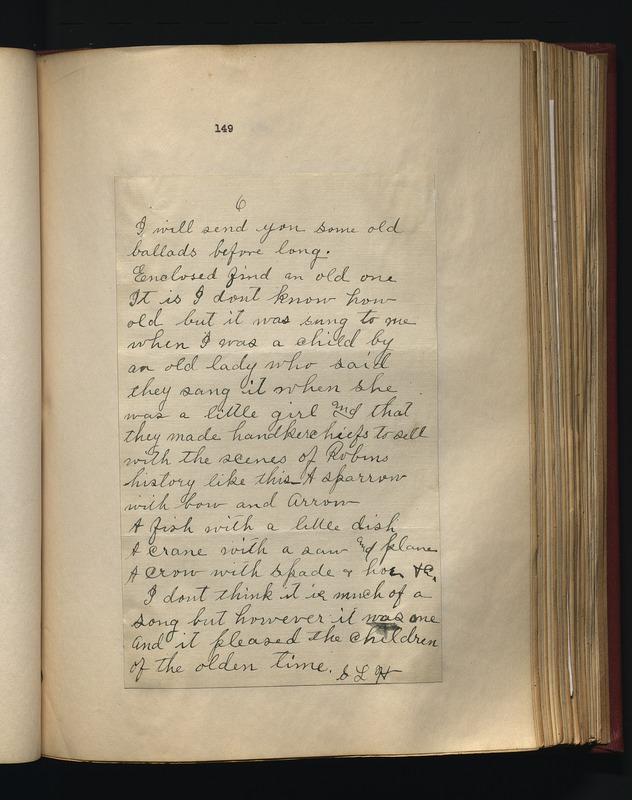 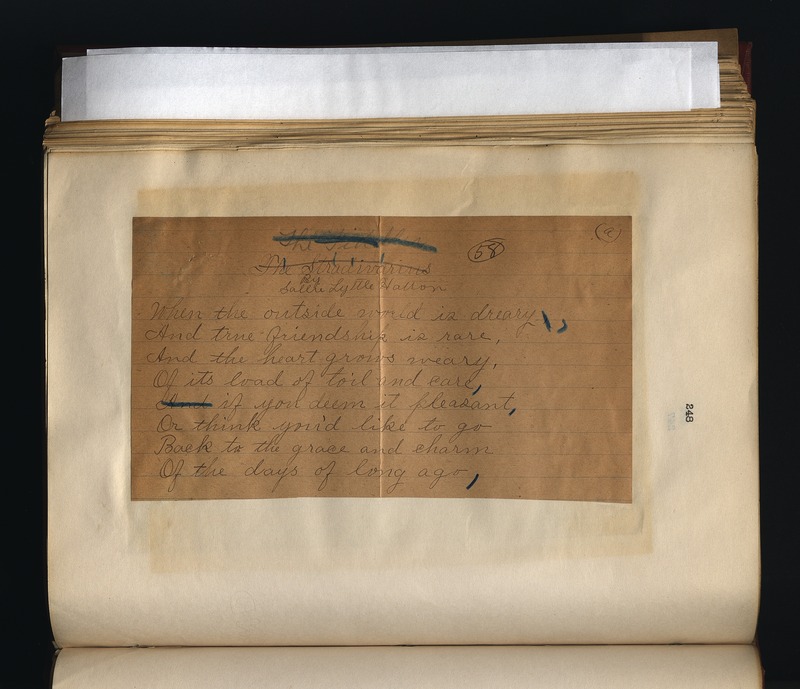 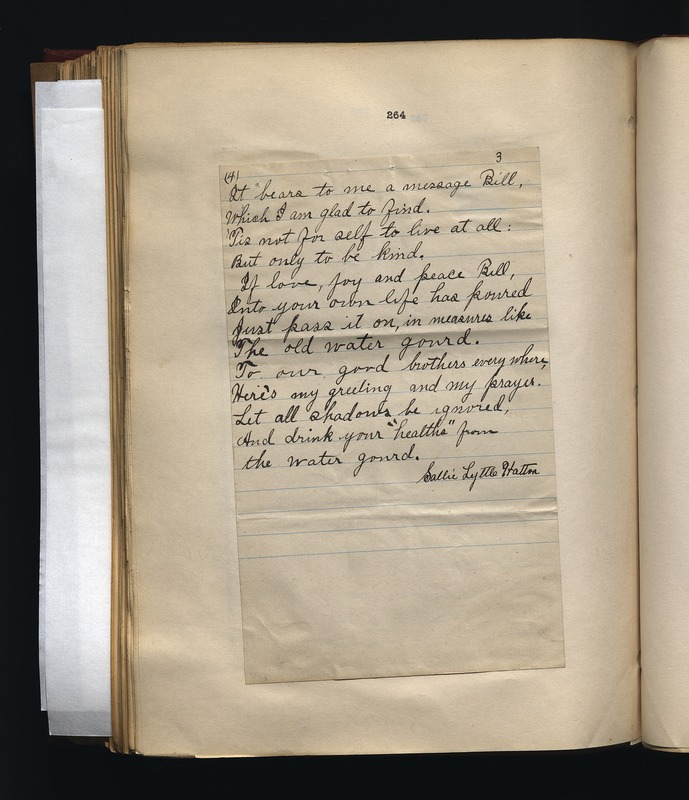 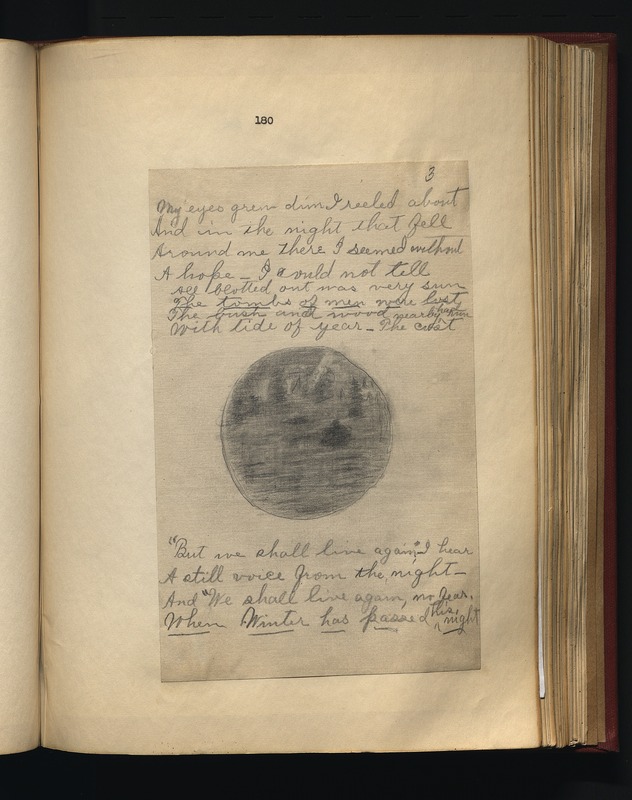 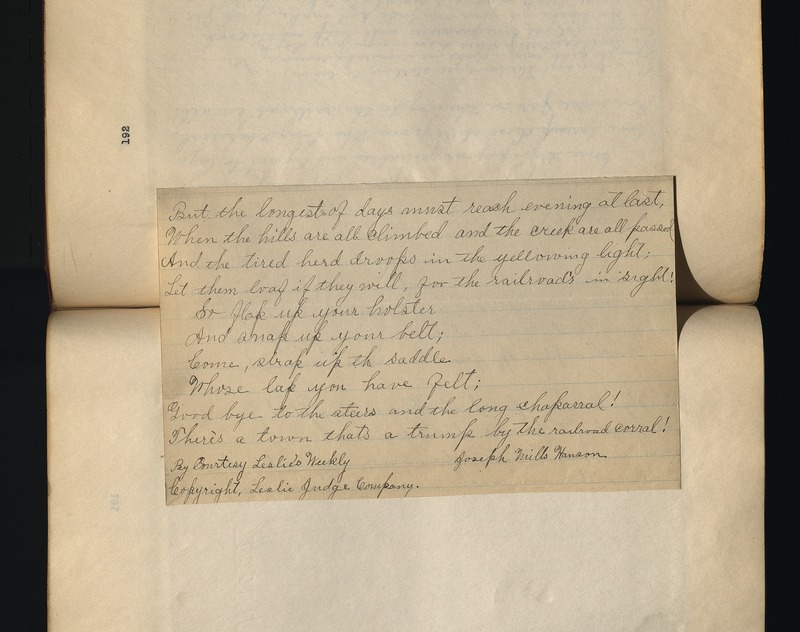 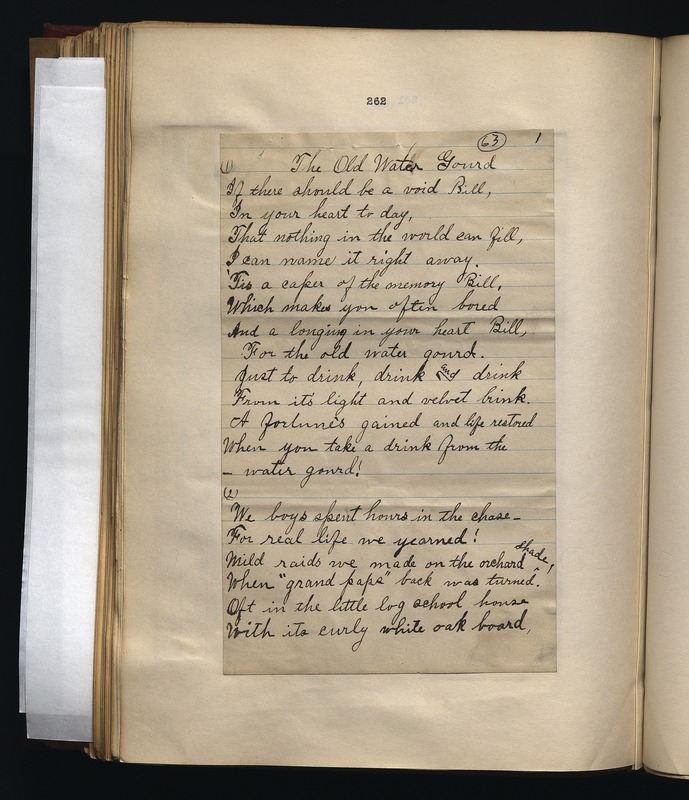 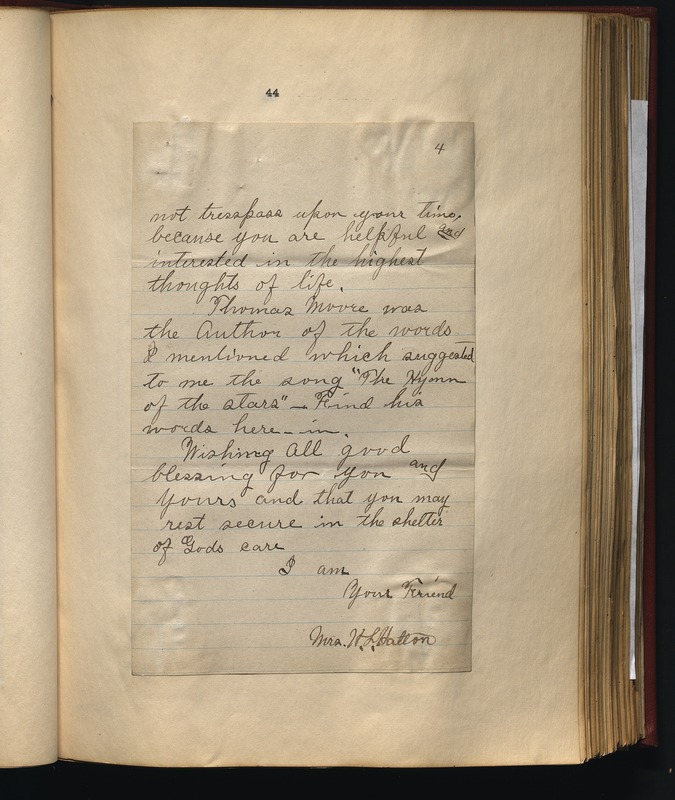 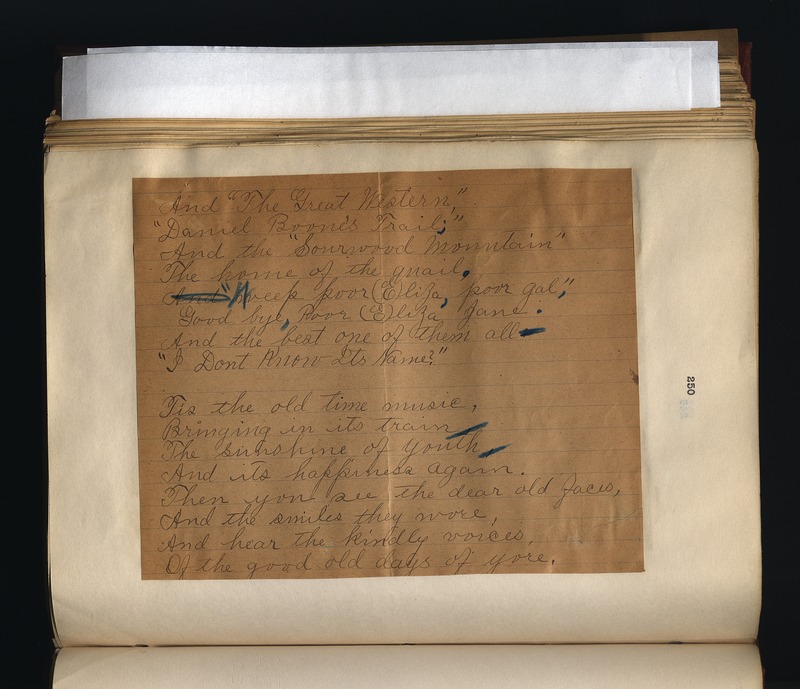 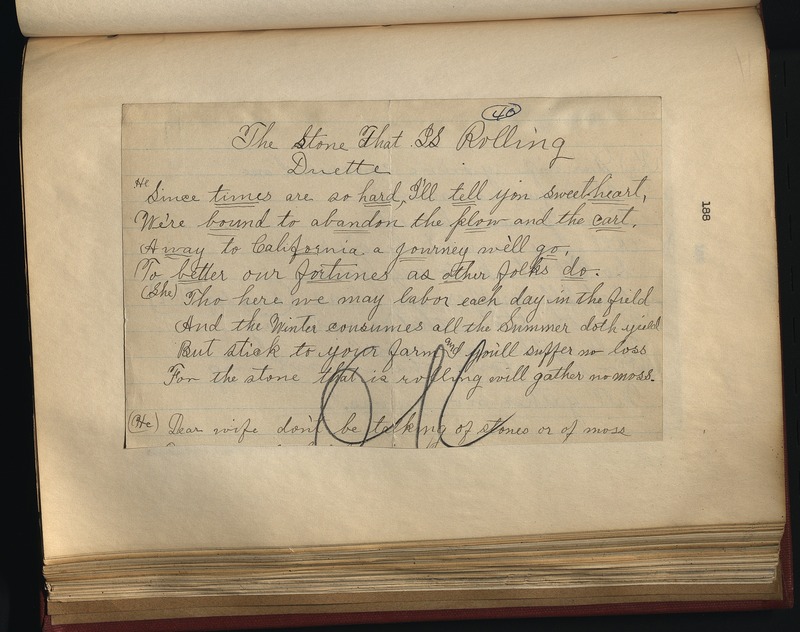 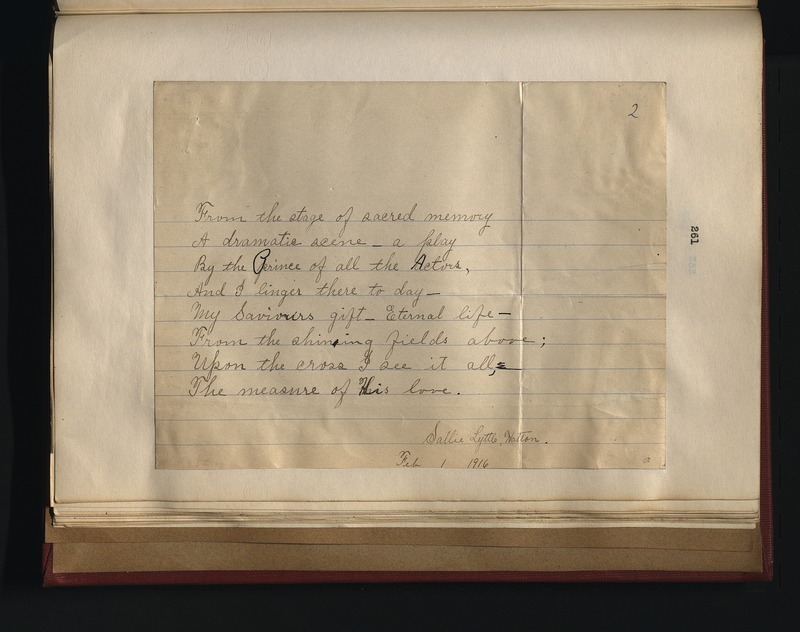 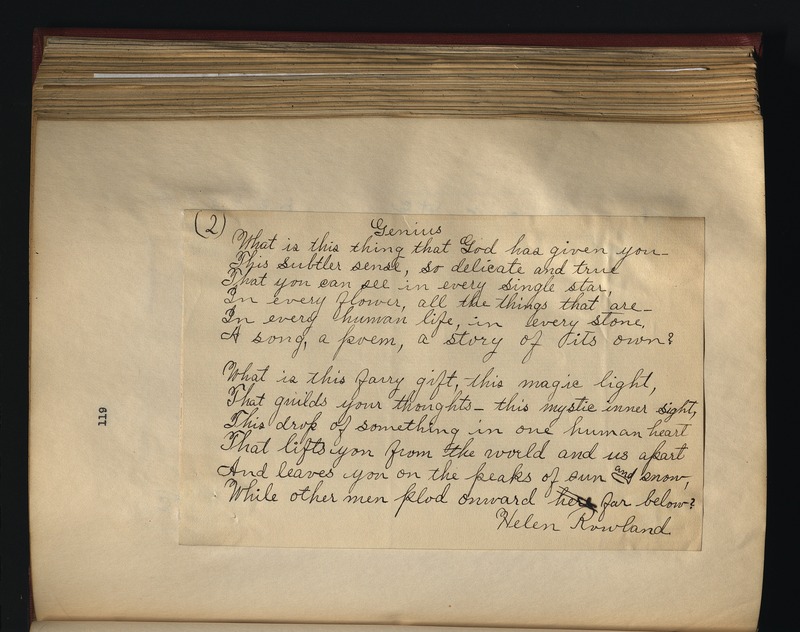 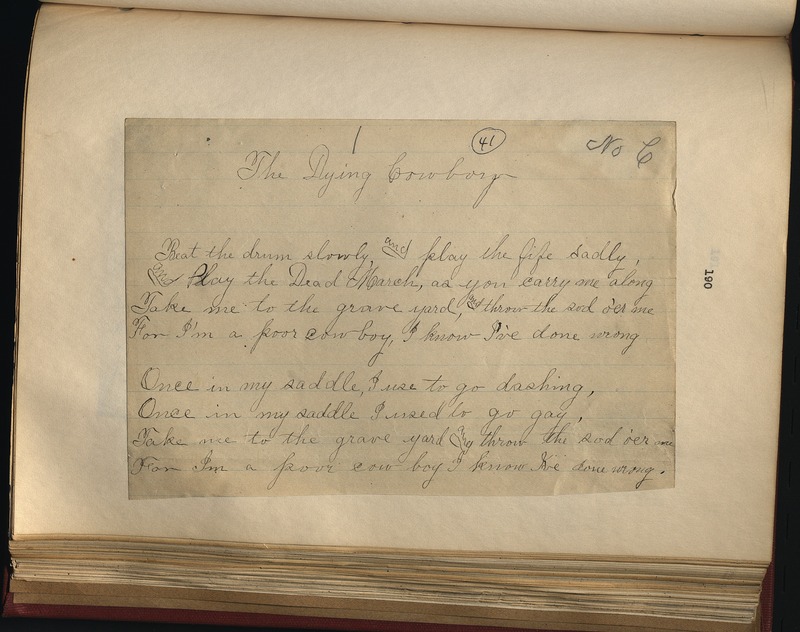 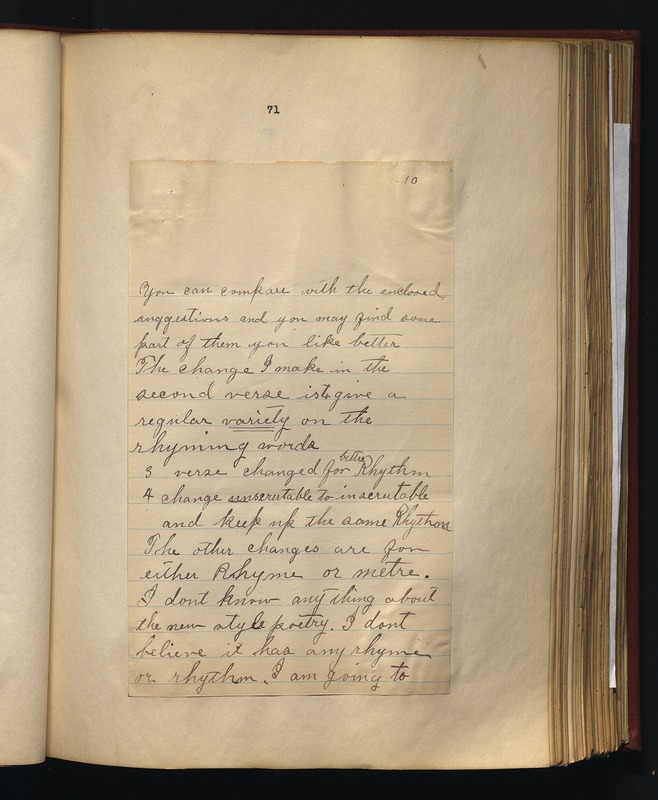 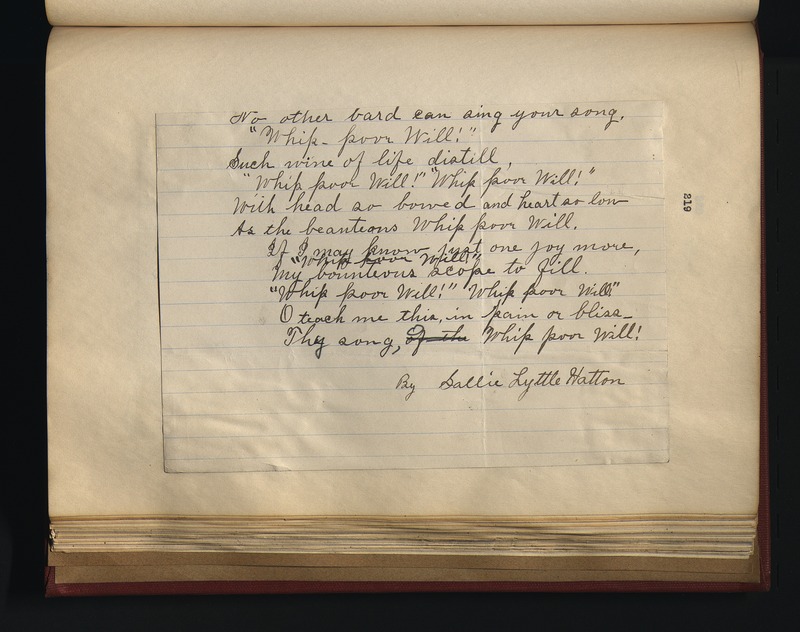 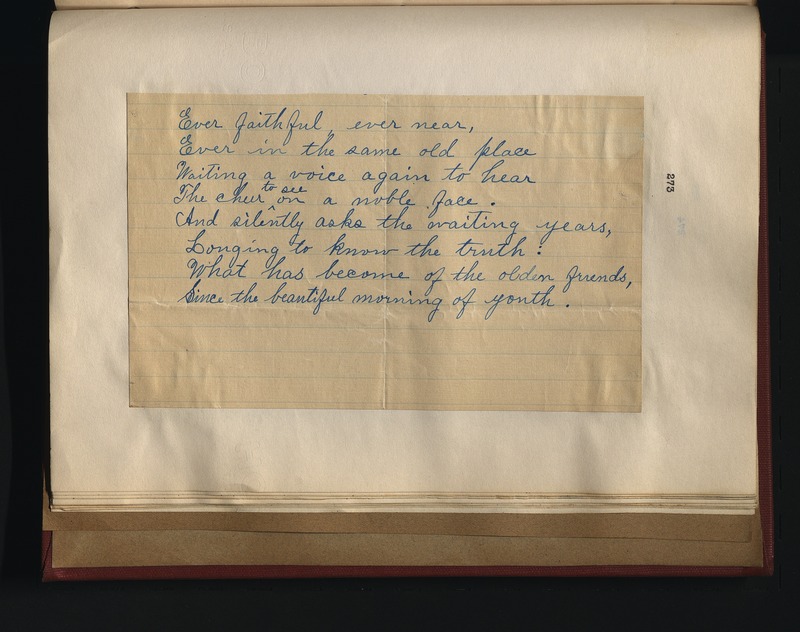 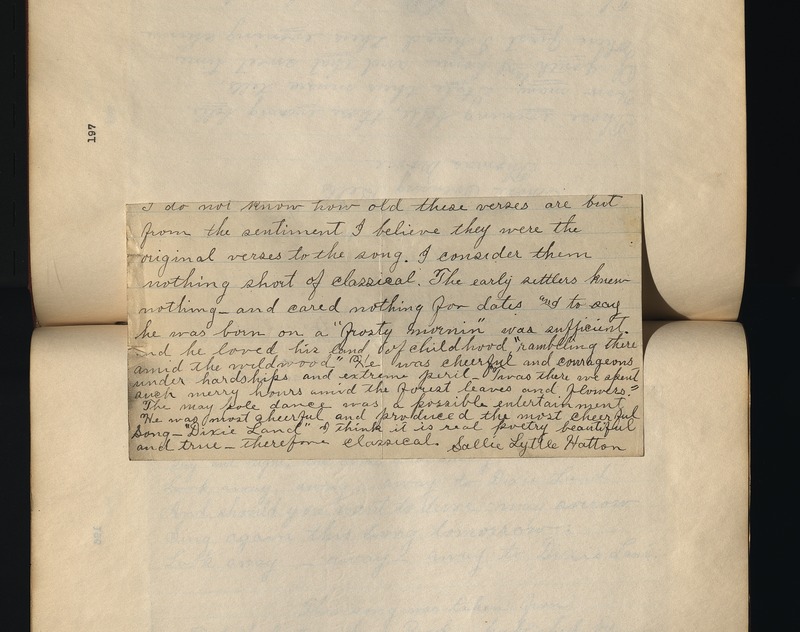 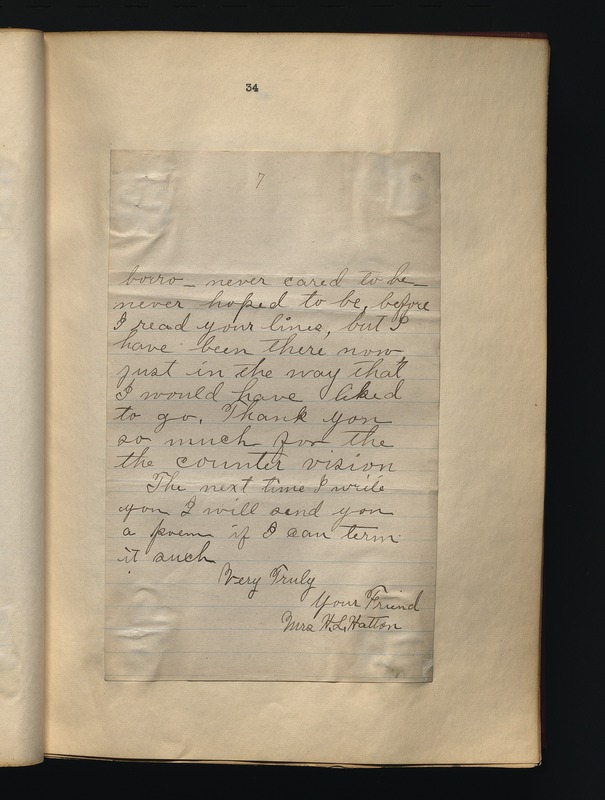 There are also copies of Appalachian ballads and folk songs that Hatton sent to Fuson for his research. 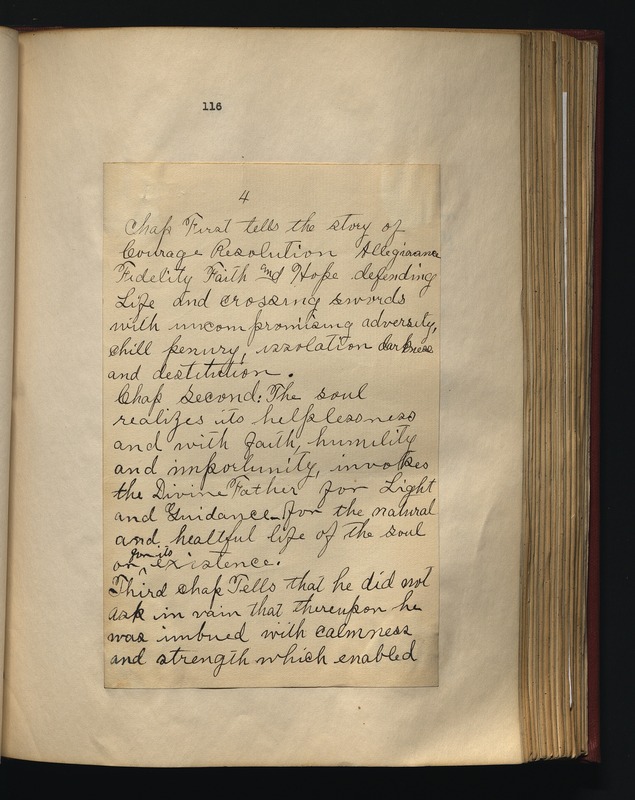 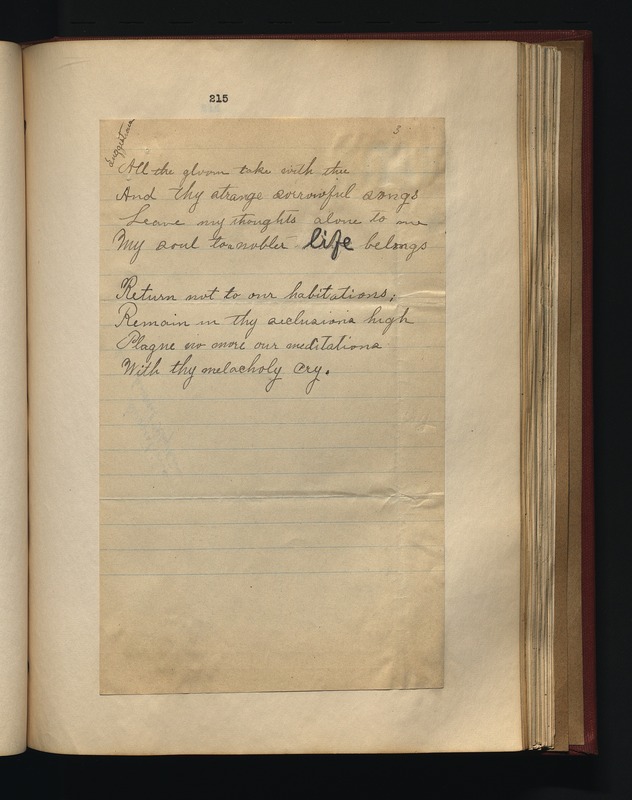 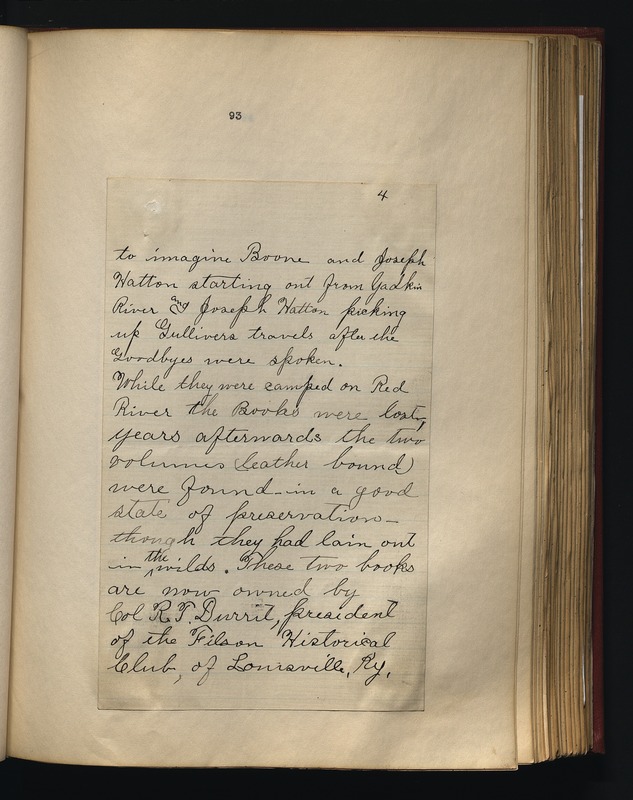 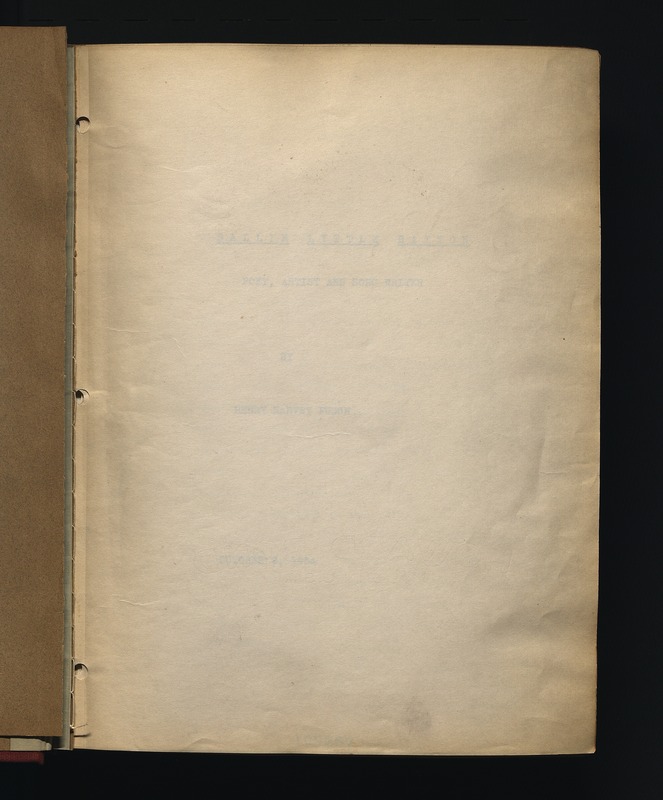 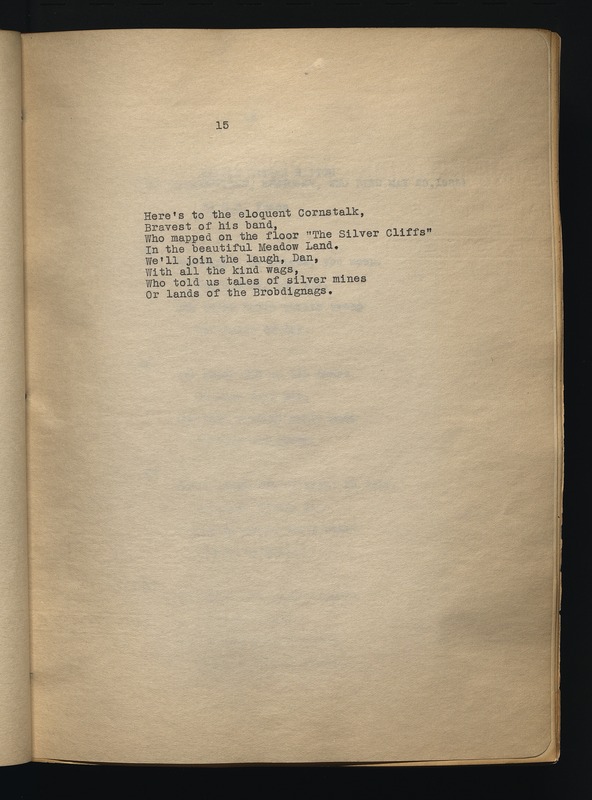 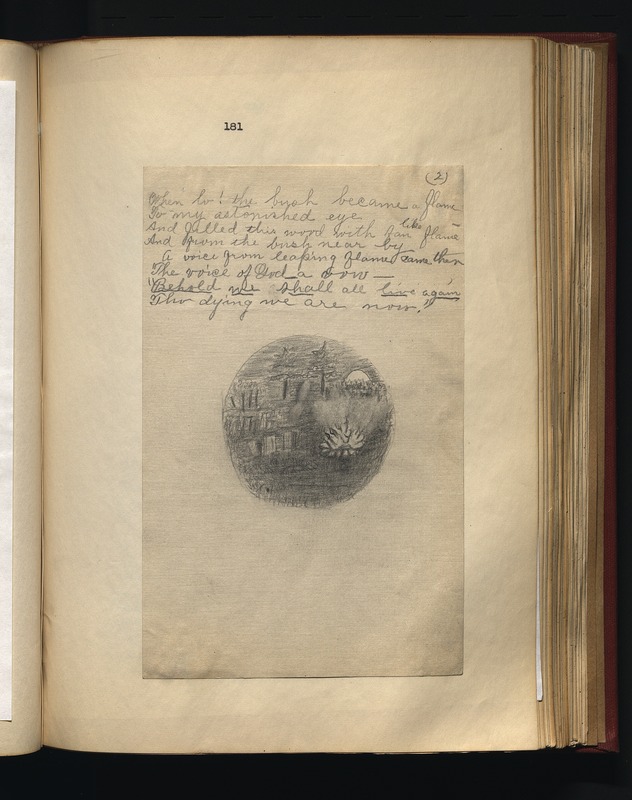 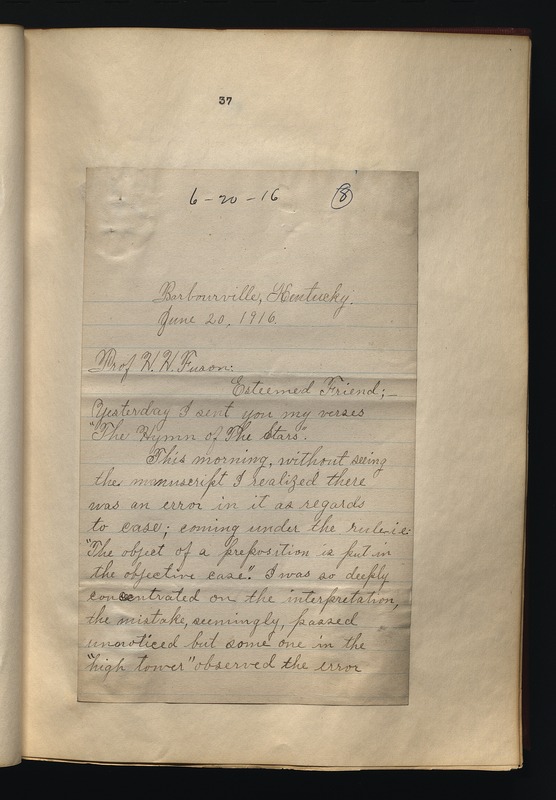 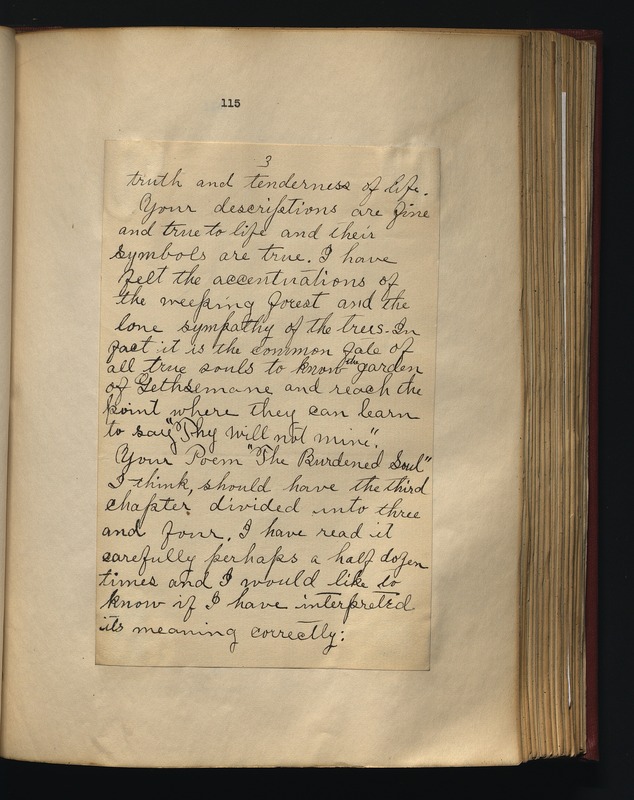 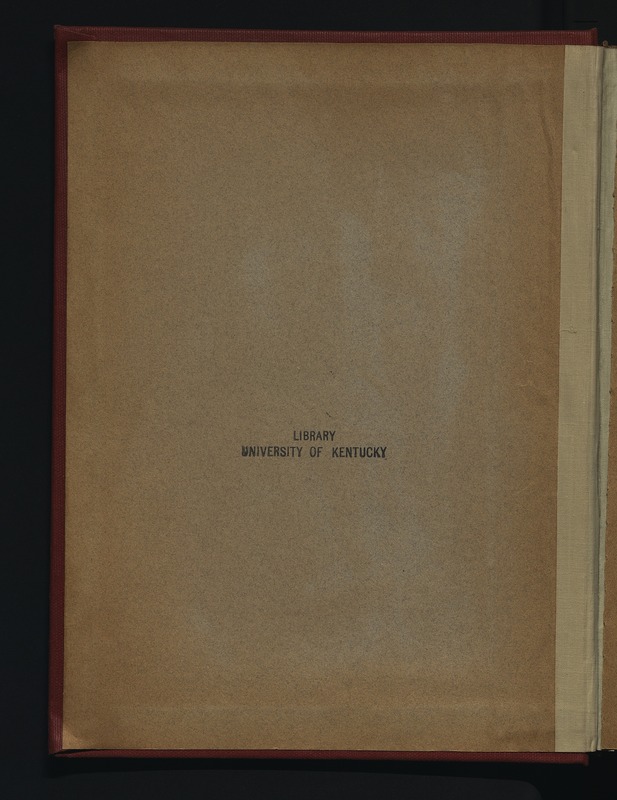 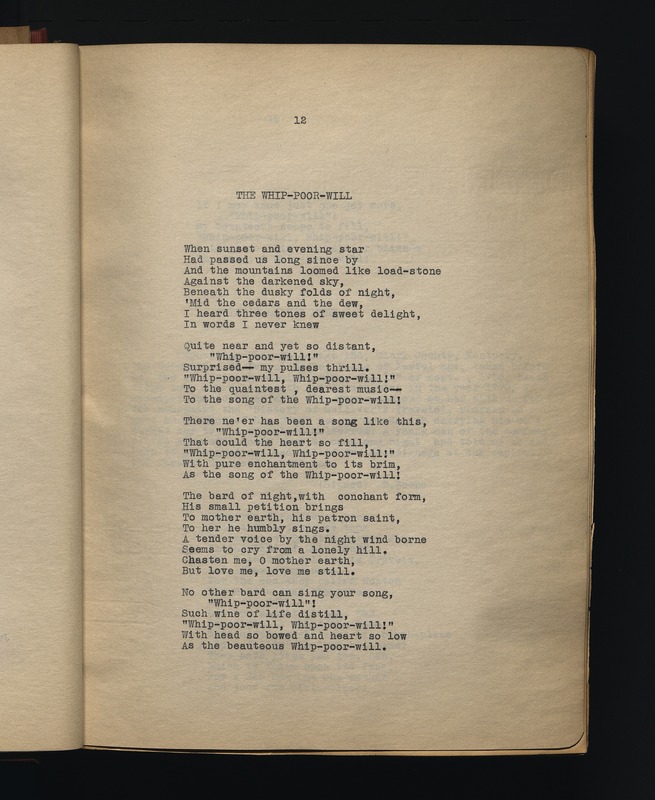 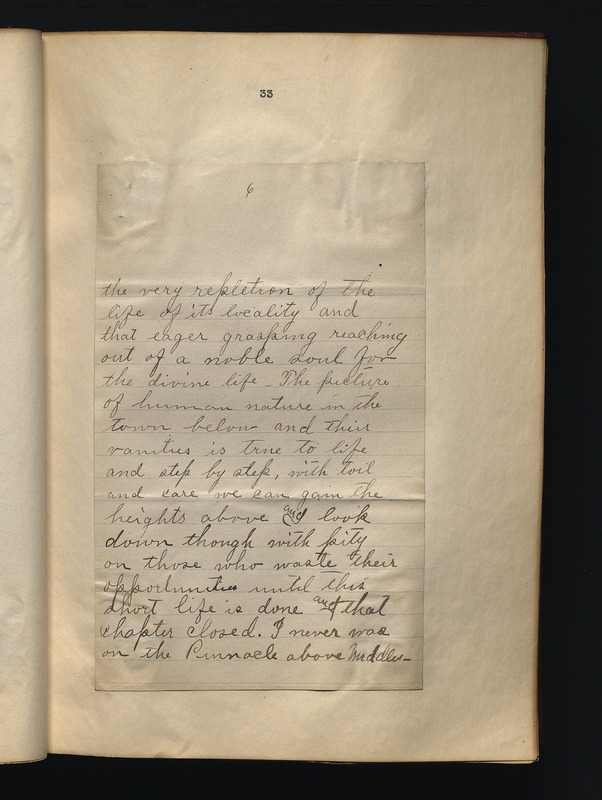 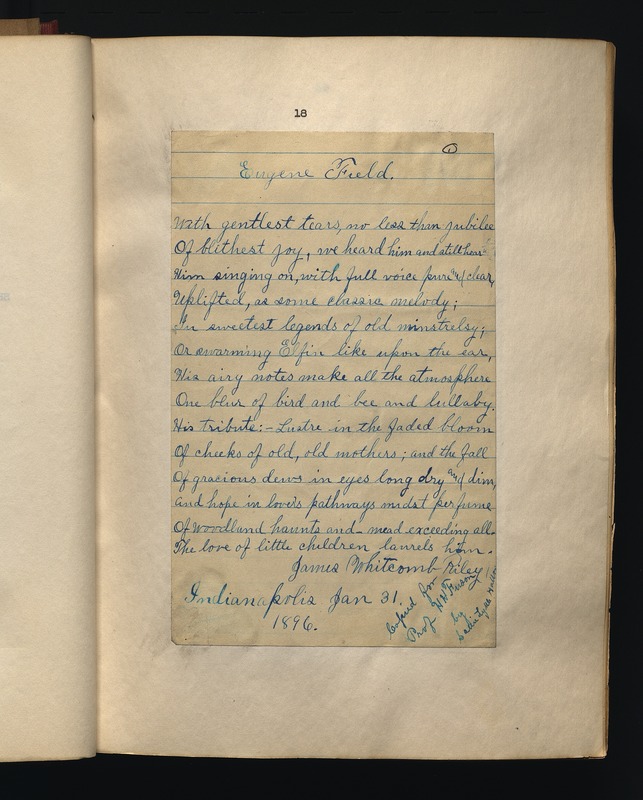 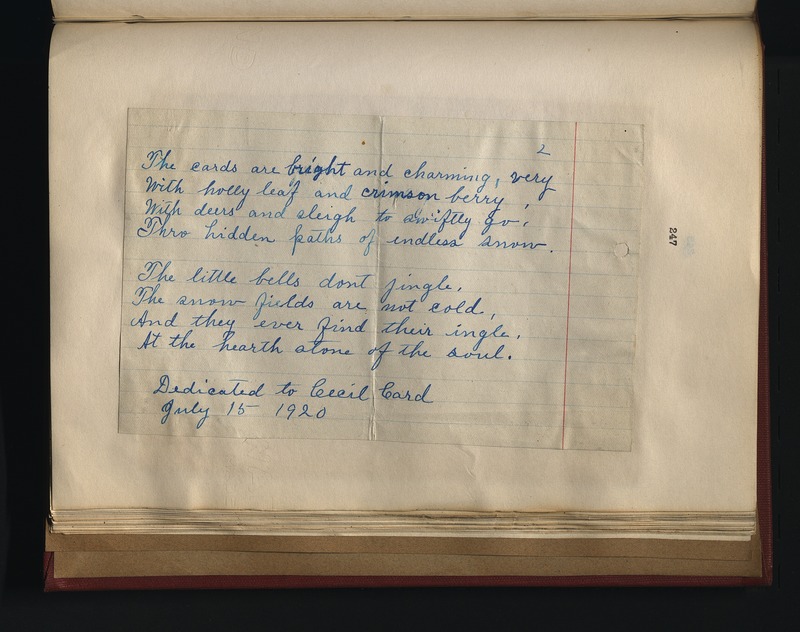 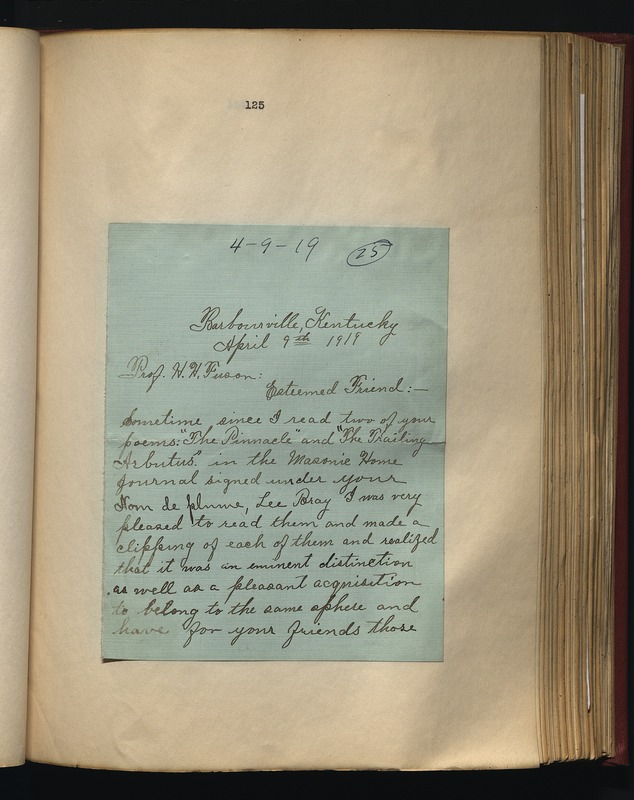 Also included is a brief biographical sketch of Hatton and an introduction by Hatton to Fuson's book The Pinnacle and Other Kentucky Mountain Poems (Louisville, Kentucky: J.P. Morton, 1921).